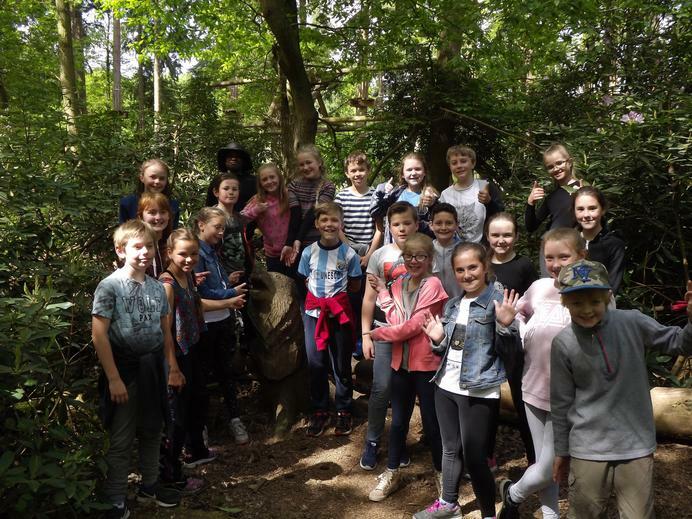 WELCOME TO THE WOLF CLASS PAGE! 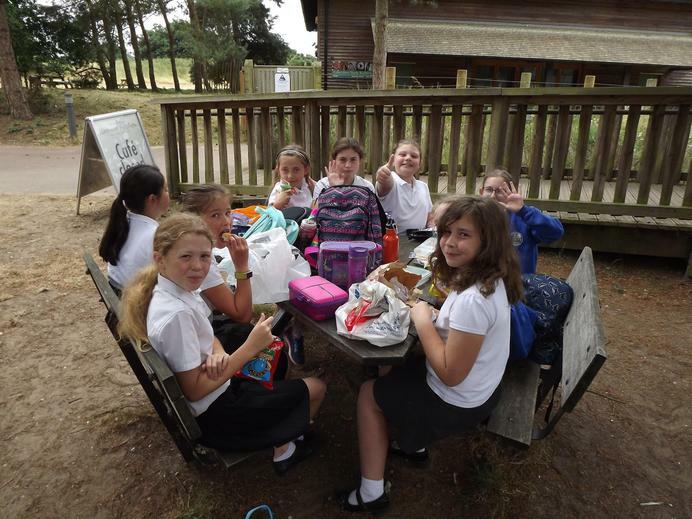 It has come to the end of the school year and time to say 'goodbye' and 'good luck' to a very special pack of Wolves. 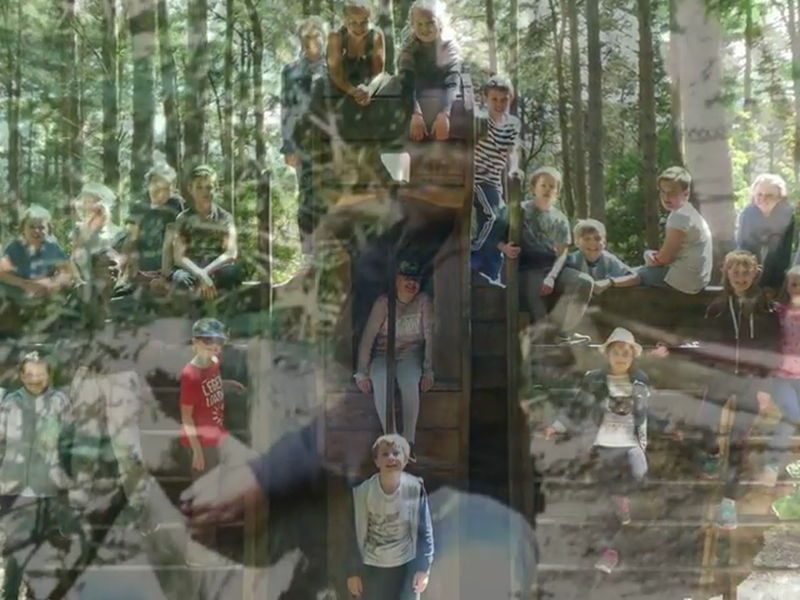 During their speeches the word 'Family' kept coming up and that is a wonderful description of them as a class. 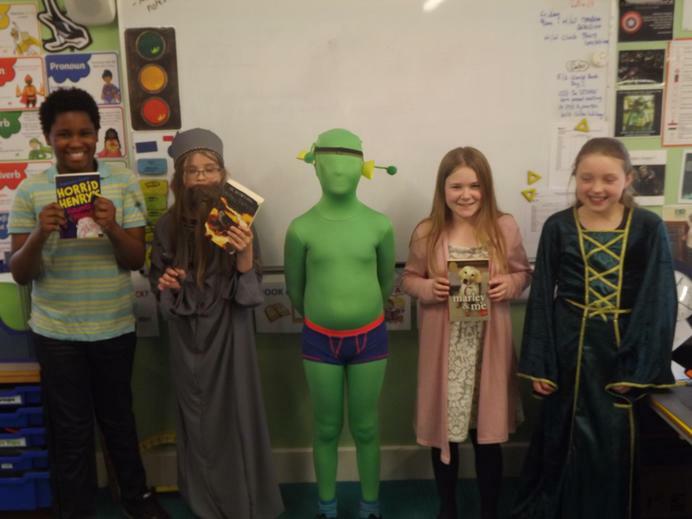 It has been an absolute pleasure to teach them (again) and I know that not only have they raised the bar in terms of the expectations of our Year 6 class but have left a huge hole in the lives of everyone at Acton. 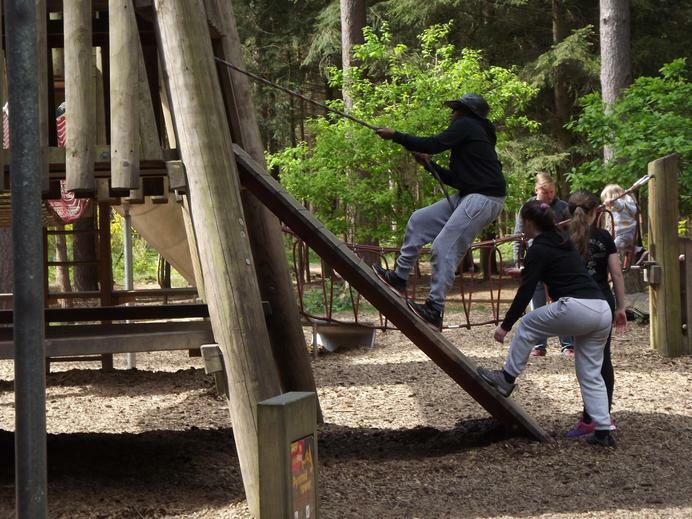 Good luck Wolf Pack 2018 - continue to be awesome! 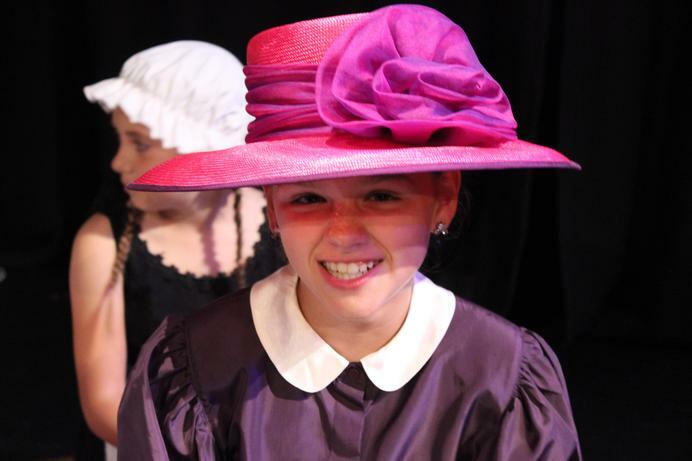 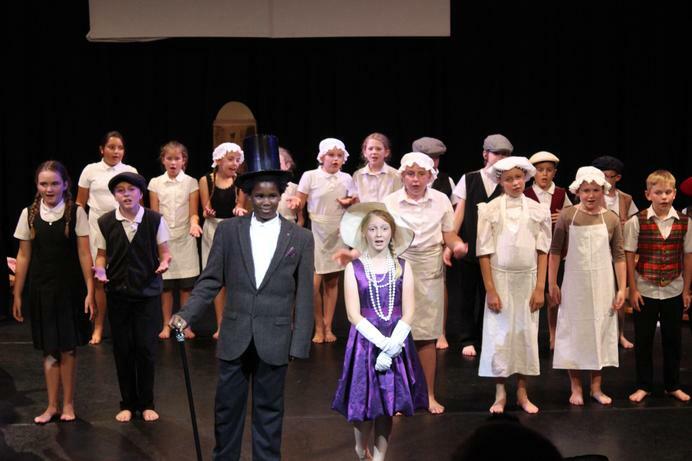 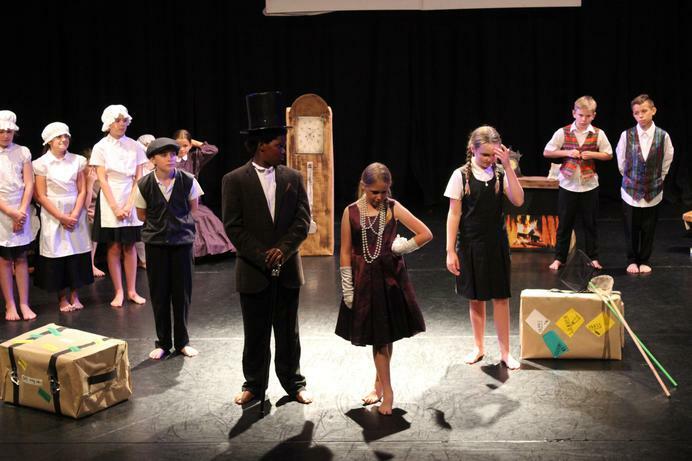 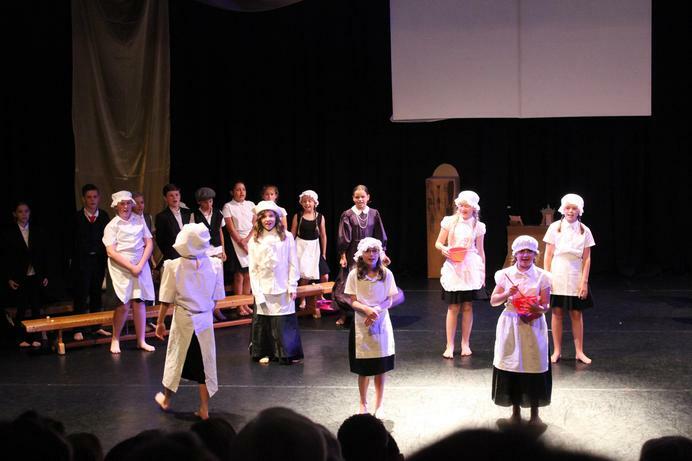 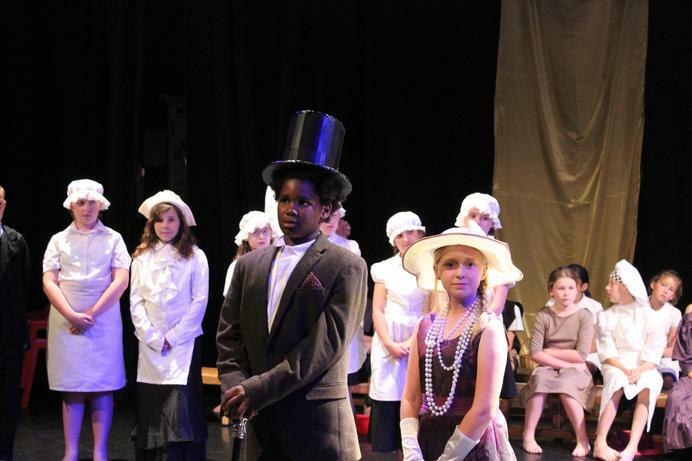 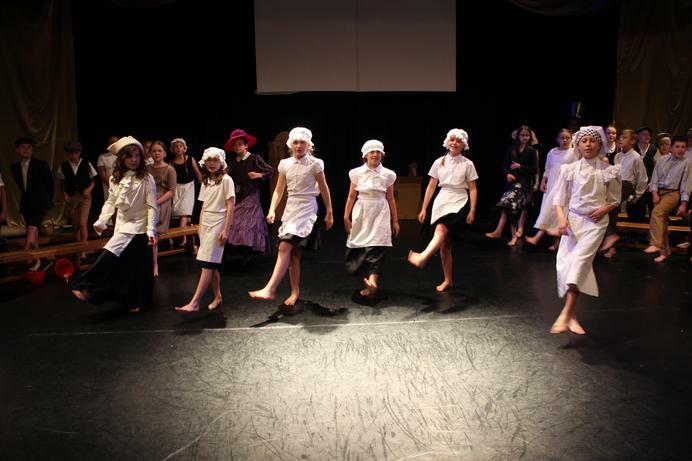 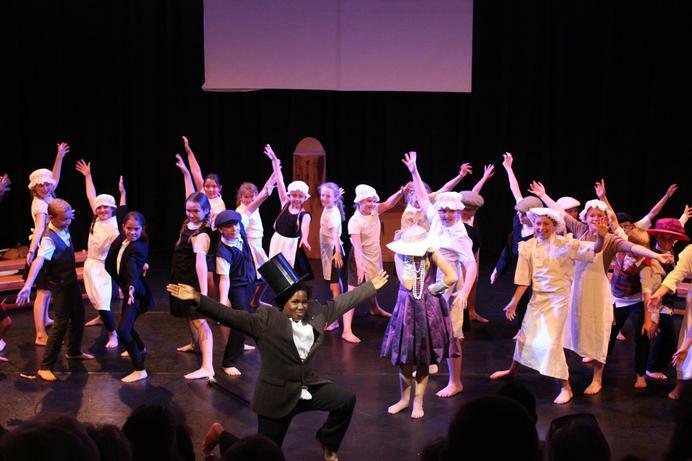 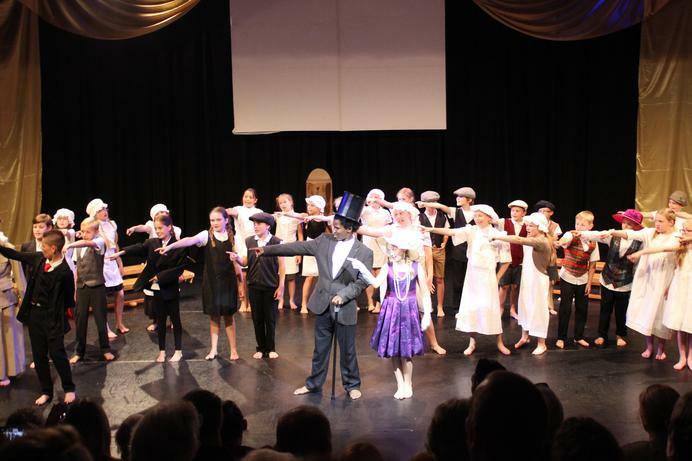 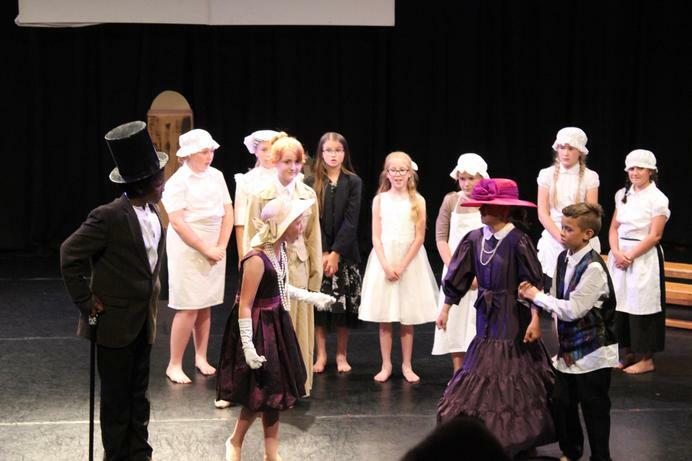 On Thursday 5th July, Year 5 and 6 gathered at OSA for their performance of Victorian Villainy. 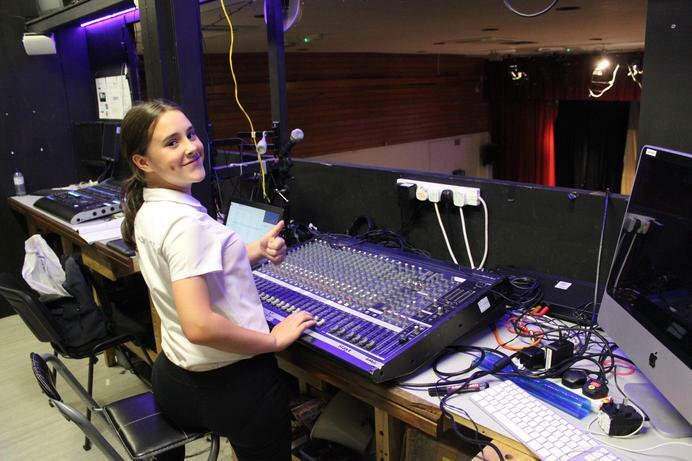 After all of the rehearsals, the time had finally come. 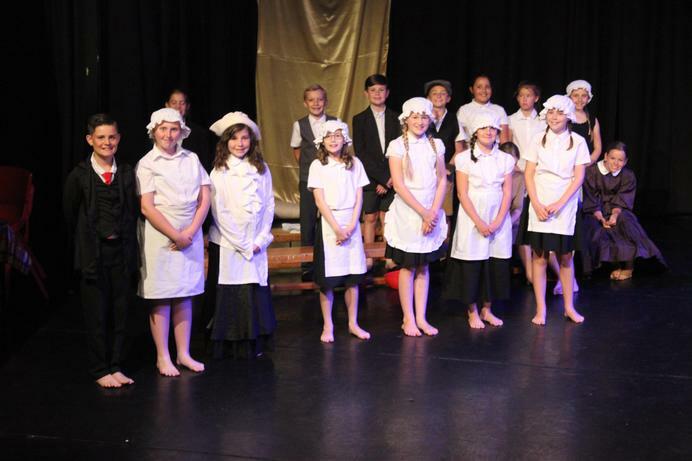 Everybody - nervous but excited - waited backstage while the audience took their seats. 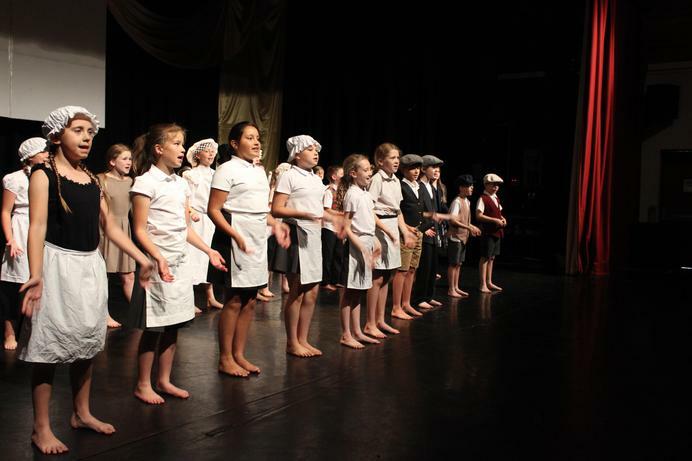 When Jorja turned up the introduction music, the cast filed in and the show began. 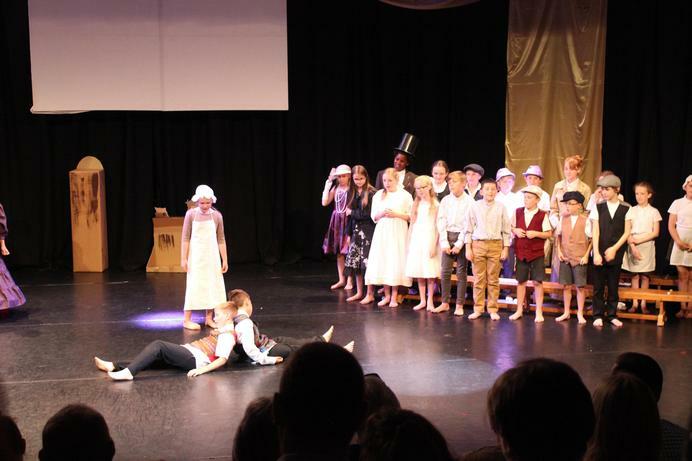 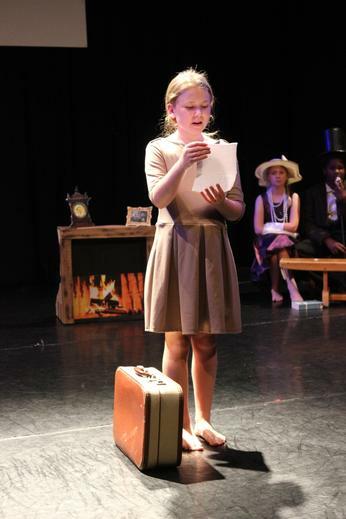 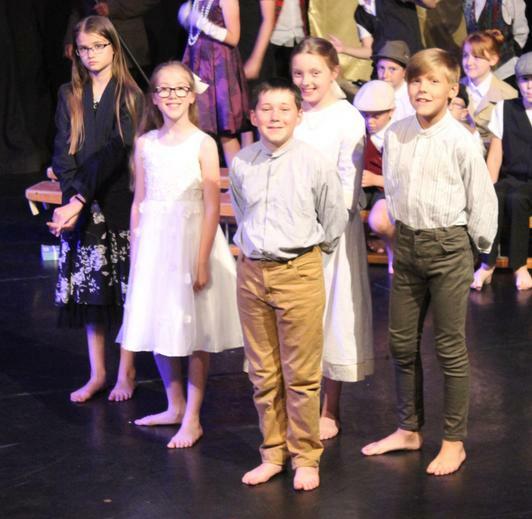 The cast performed brilliantly and enjoyed performing under the lights in the theatre. 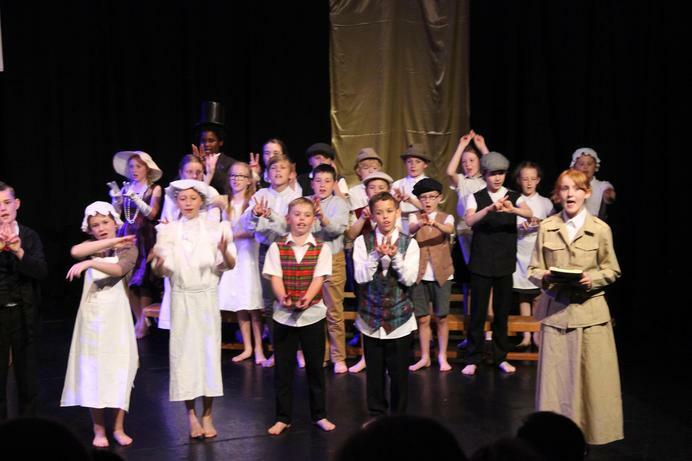 The songs sounded fantastic and everyone remembered their lines. 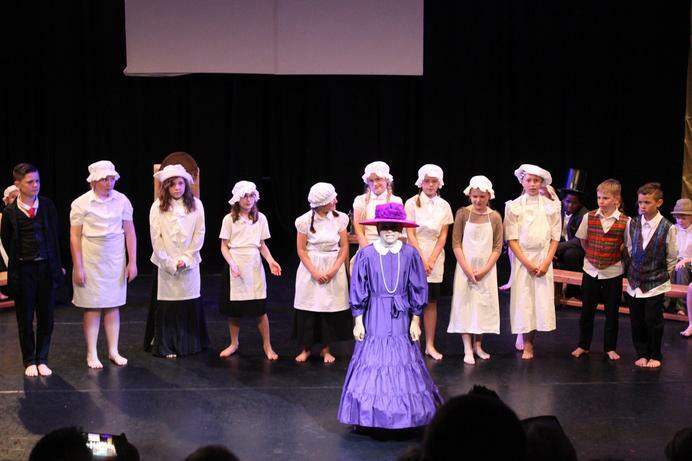 At the end as the audience left, still buzzing from the exciting mystery story, everyone in the theatre knew that Victorian Villainy had been a huge success! 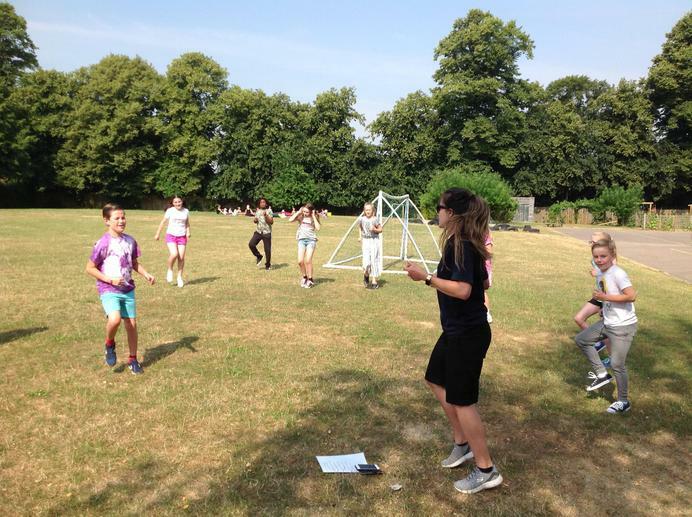 As part of our 6 week programme with OneLife Suffolk, today we were joined by Kat. 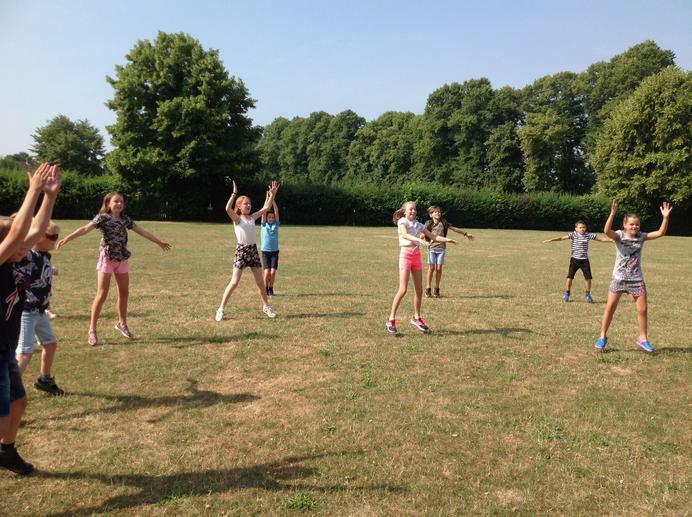 We were learning about exercise and a health lifestyle. 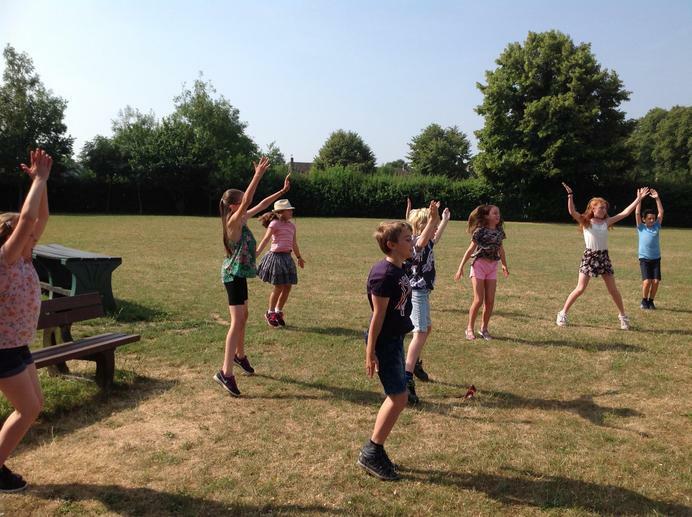 To teach us the importance of healthy snack choices we had to guess how long we would have to perform and exercise in order to burn off the calories. 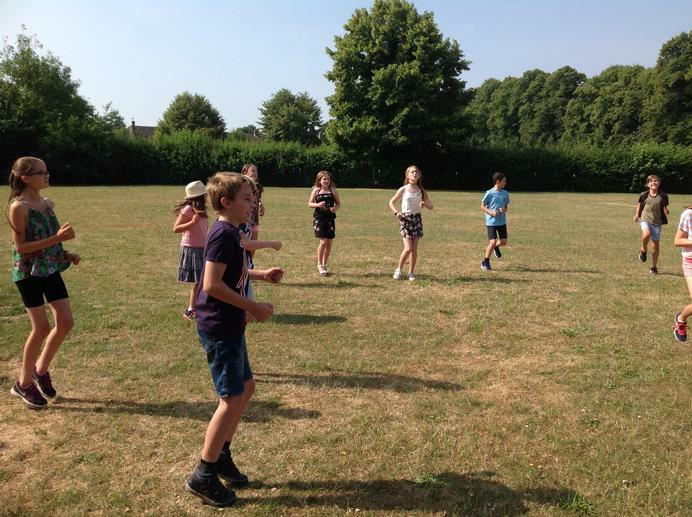 Did you know that you have to do 50 minutes of star jumps to burn off a Mars Bar and 2 hours of jogging for a portion of chips? 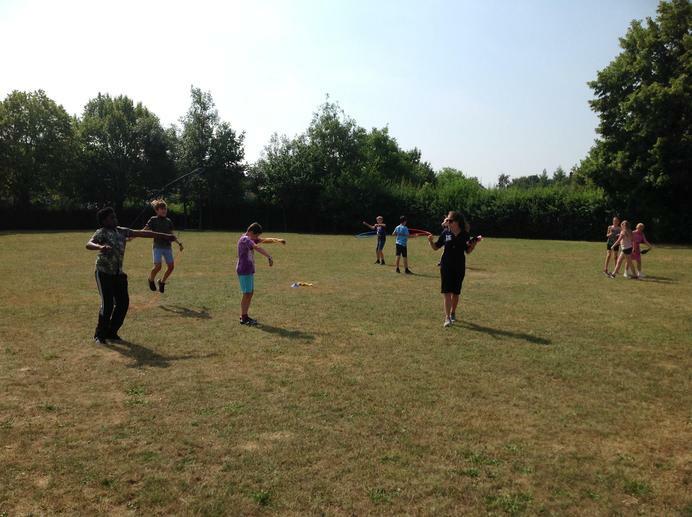 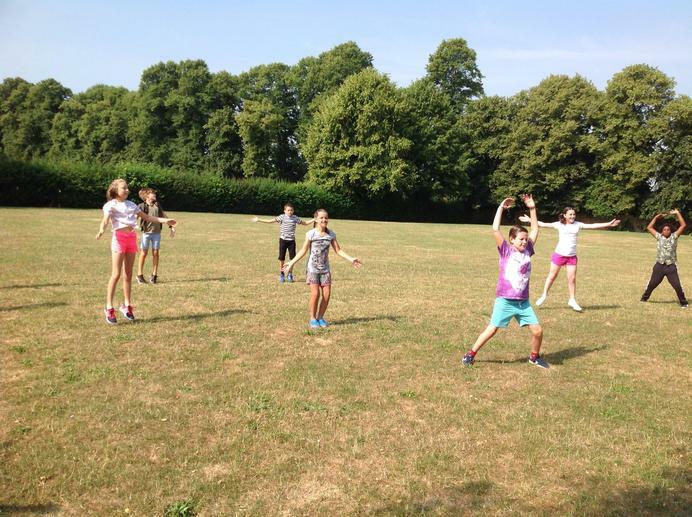 We then had a go at a circuit of different exercises, including hanging out washing, dusting and hula hooping, to help us understand the difference in exercise intensity. 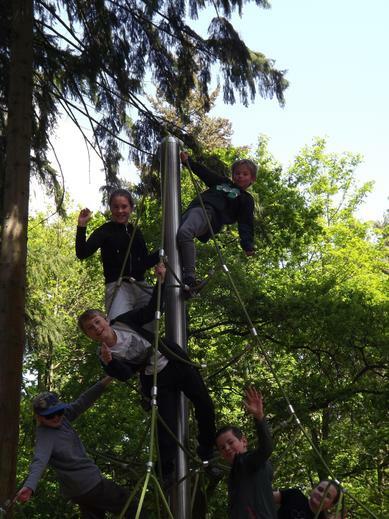 Although it was hard work at times, we had a lot of fun! 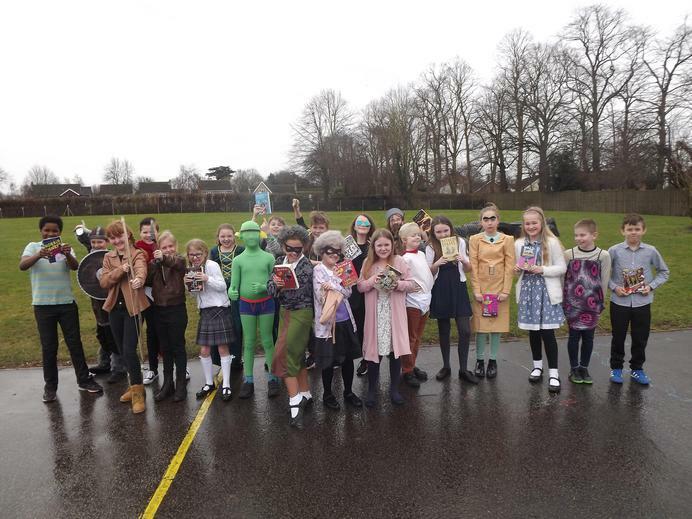 Quite simply the best dressing up theme ever! 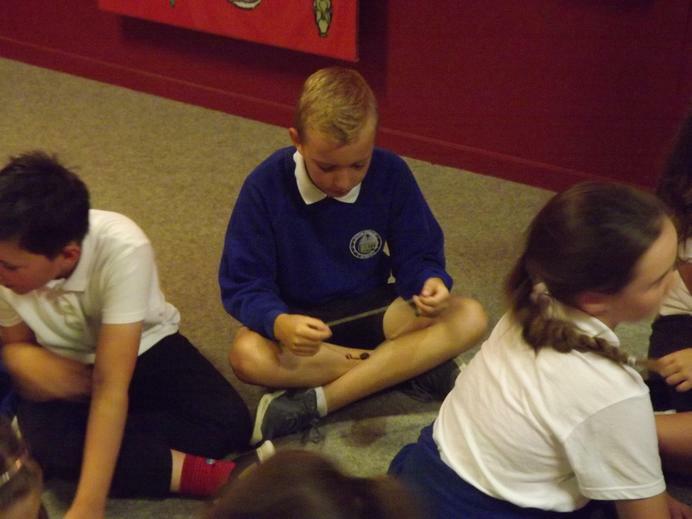 Today, 27th June, we have been having a lot of mathematical fun dressed as avatars from TimesTables Rockstars. 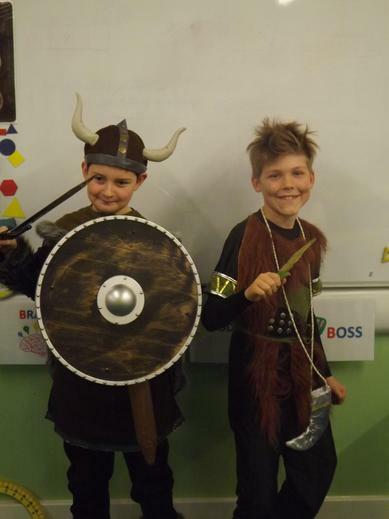 The costumes have been brilliant and the Wolf Pack represented every genre of rock from new-age through punk to hair rock and nu-metal! 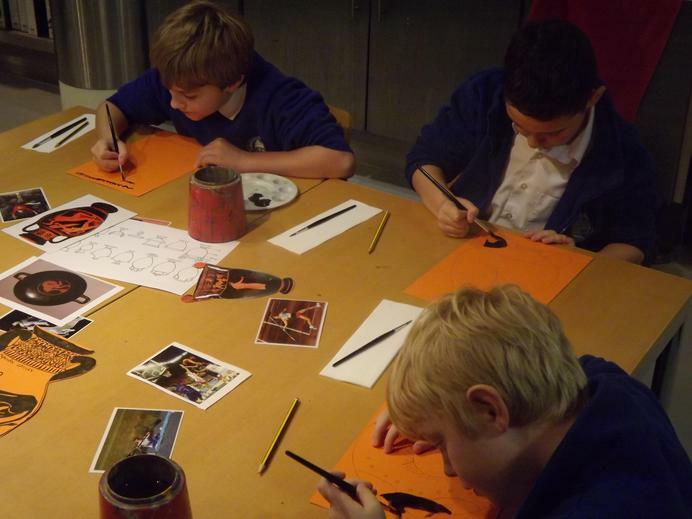 The Wolves looked awesome! 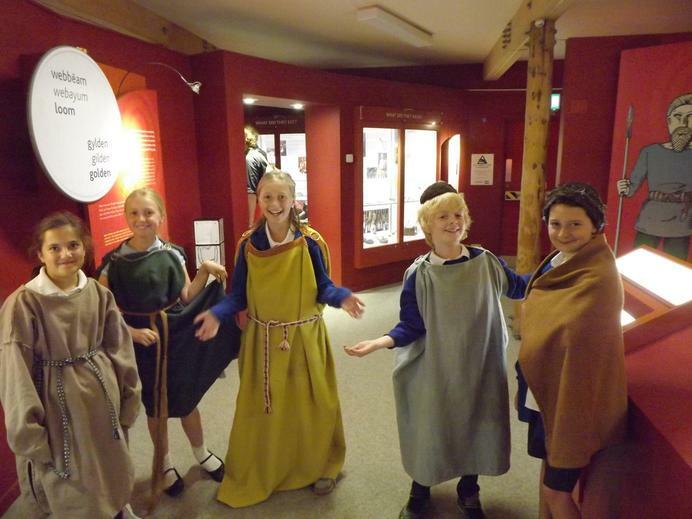 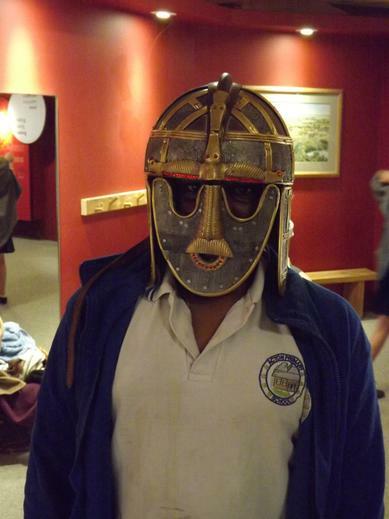 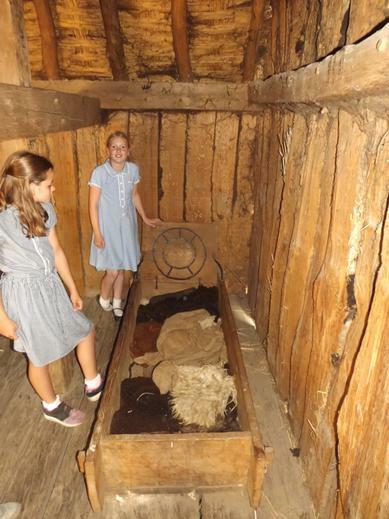 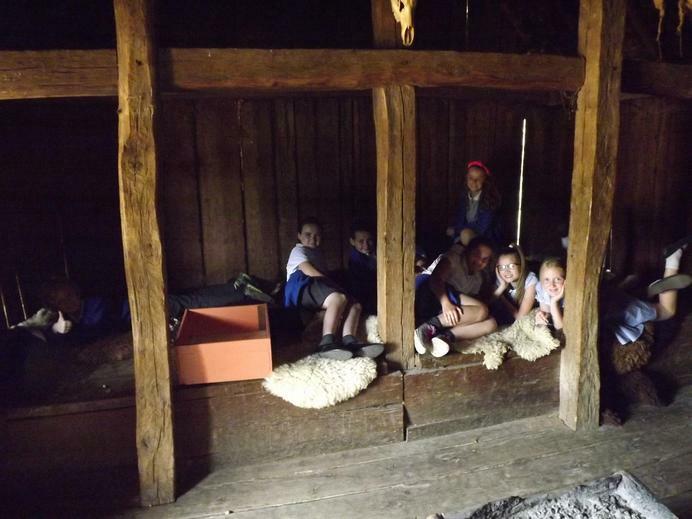 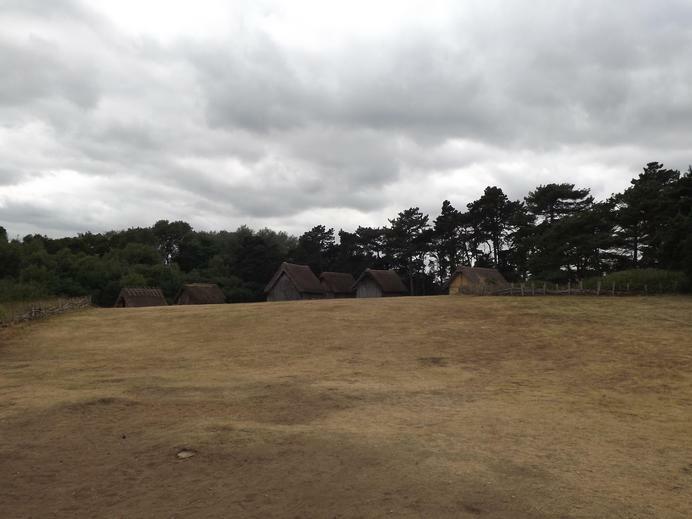 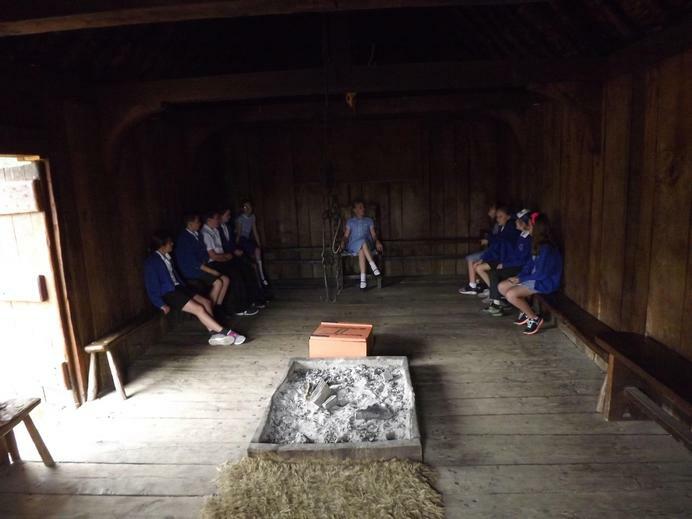 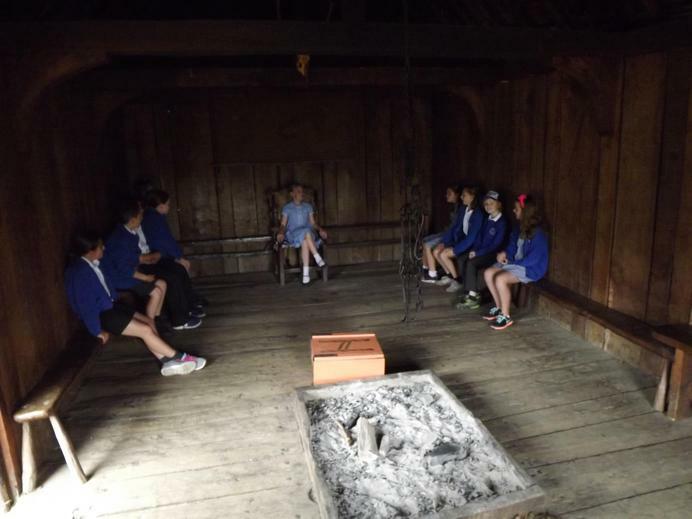 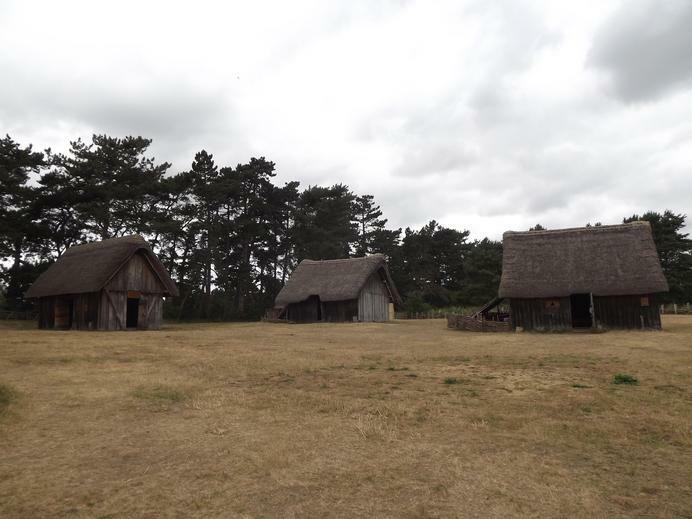 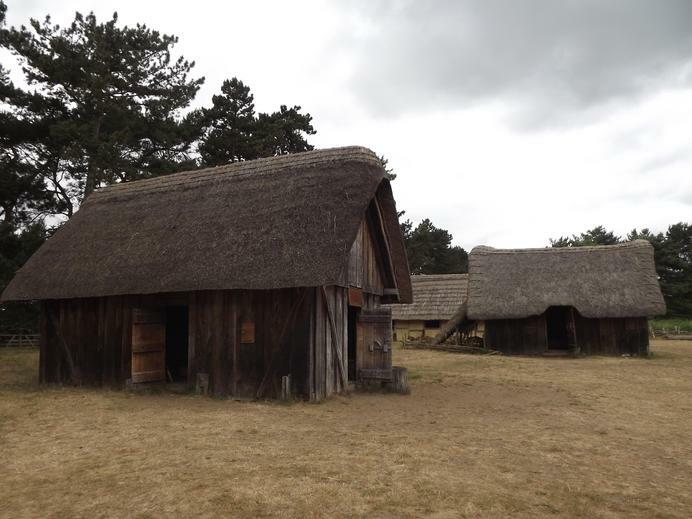 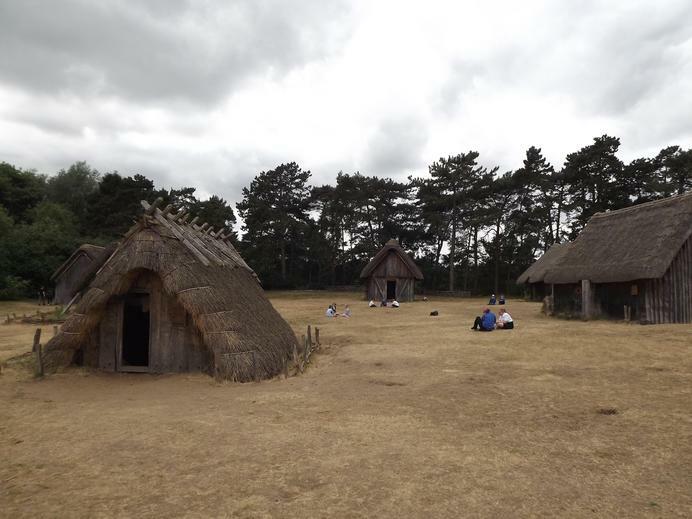 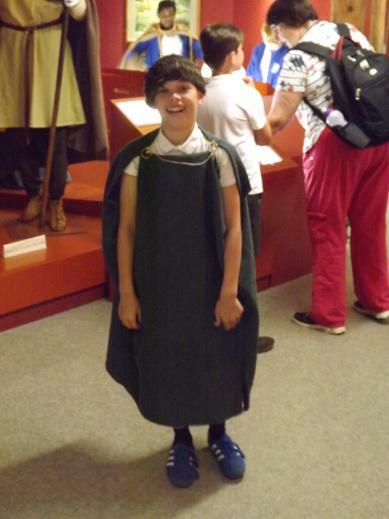 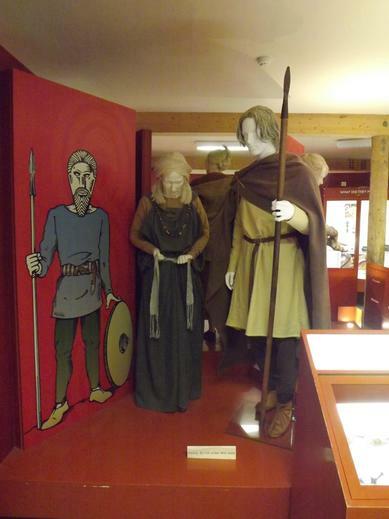 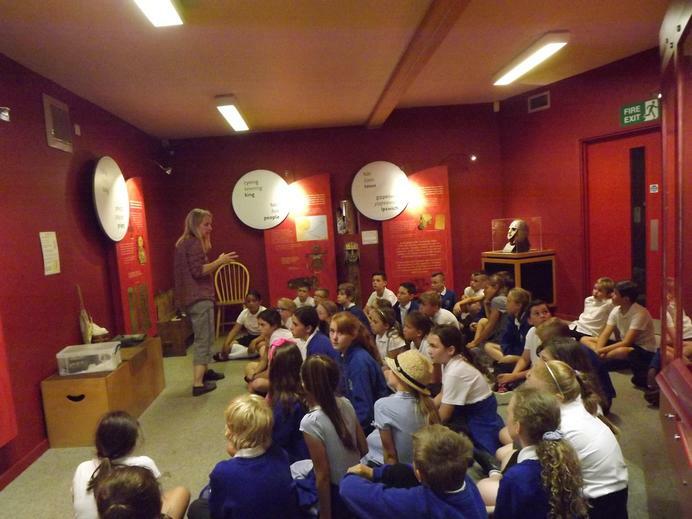 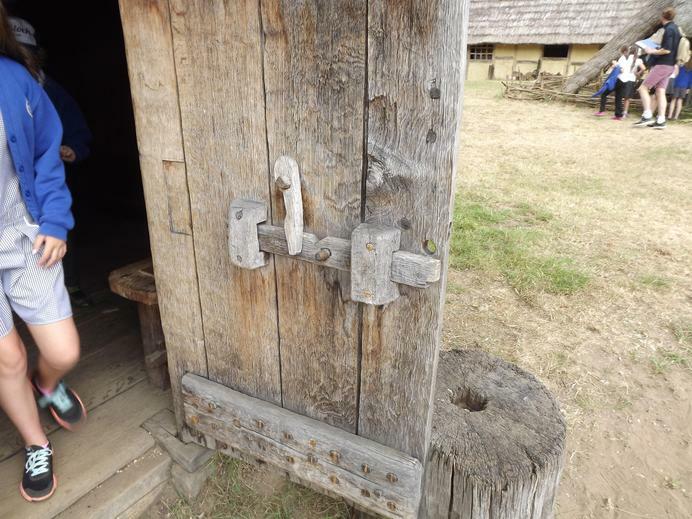 On Tuesday 19th June, Year 5 and 6 enjoyed a fantastic day at West Stow Anglo-Saxon Village as part of our History work. 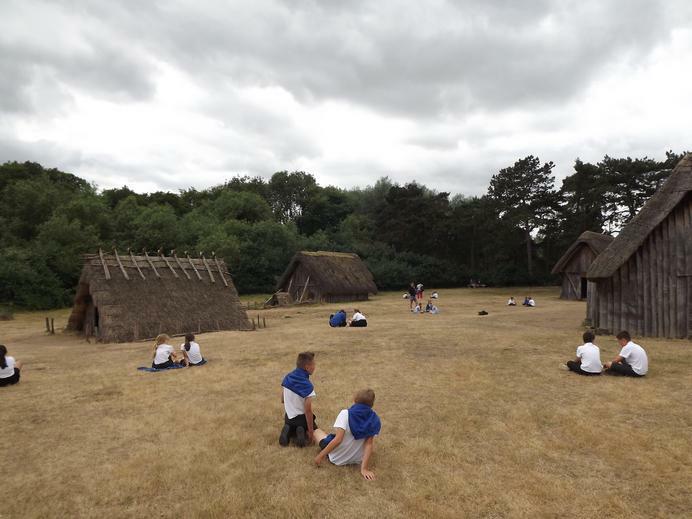 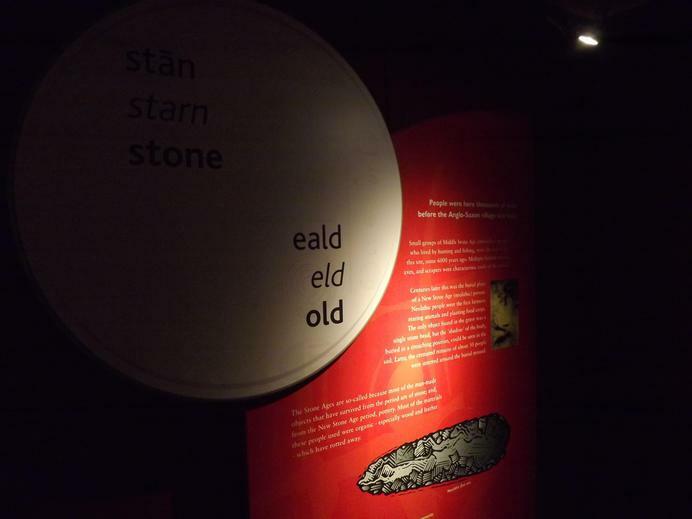 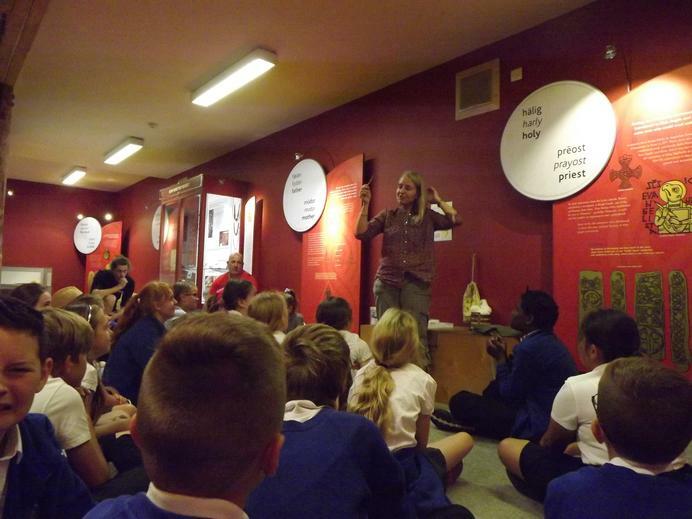 We started off our visit with a trip around the museum where we discovered how the Anglo-Saxon language has influenced how we speak today and studied a range of artefacts that were discovered in the area around West Stow. 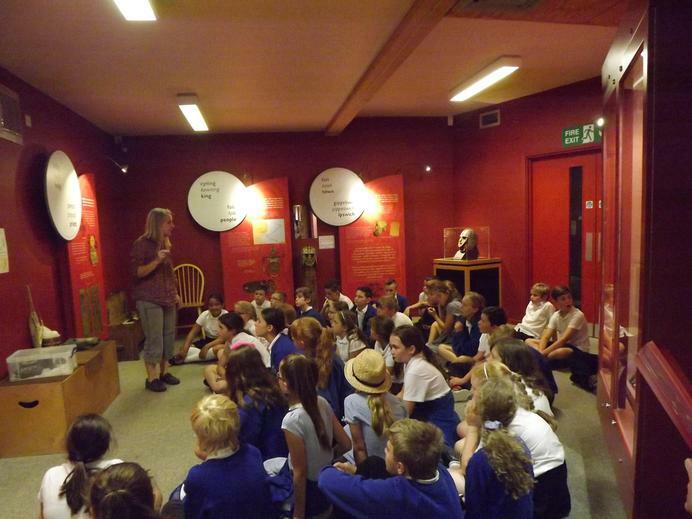 At the end of our time in the museum, Stephanie, our guide, produced a range of artefacts which we had to generate questions about. 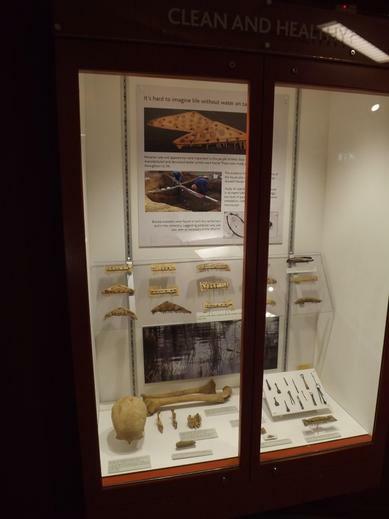 These ranged from a set of tweezers to an cow jaw to a piece of original Anglo-Saxon pottery. 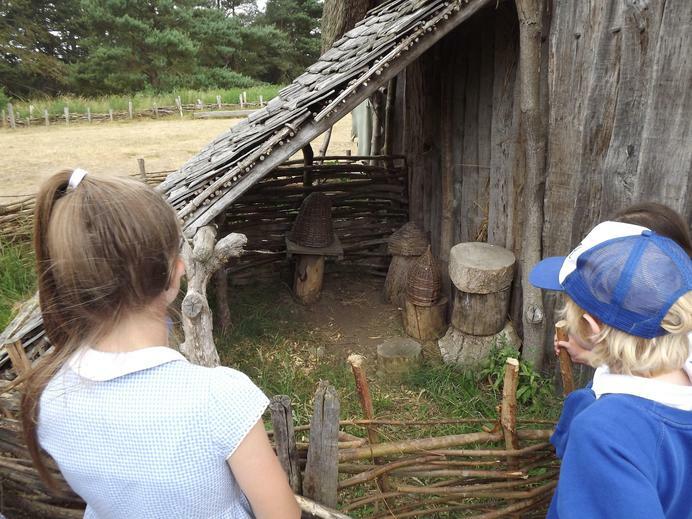 We were fascinated by the range of materials and skills that the Anglo-Saxons had. 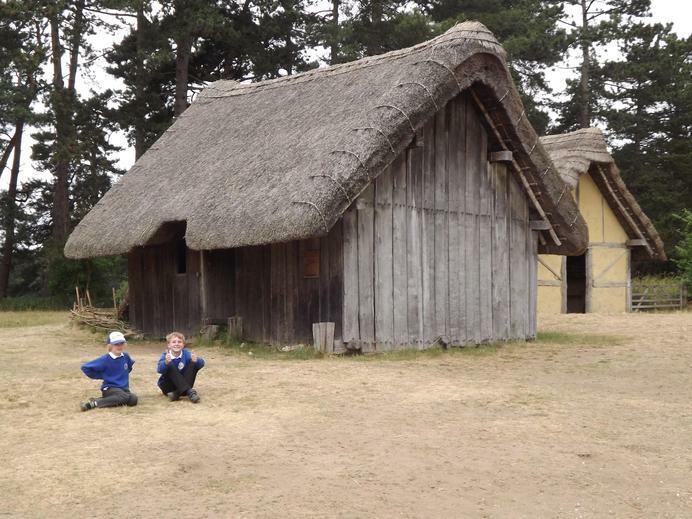 After lunch (and the traditional 'School Trip Lunchtime Photos'), we entered the Anglo-Saxon village. 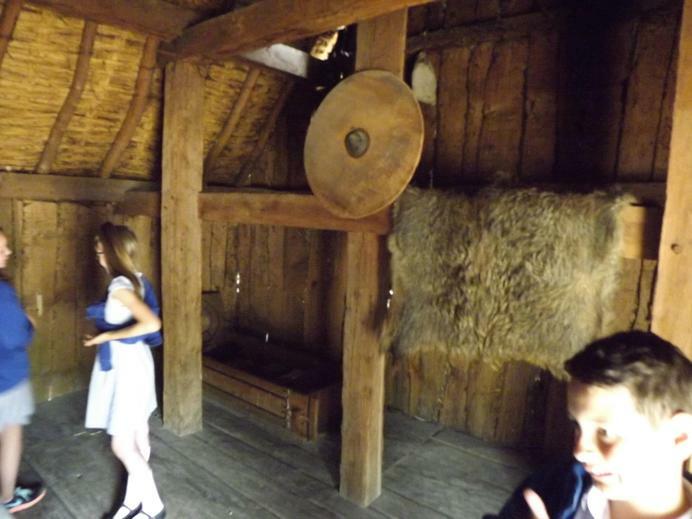 Here we wandered from house to house trying to answer questions and identifying the different building methods and thatching which had been used by the experimental archaeologists at West Stow. 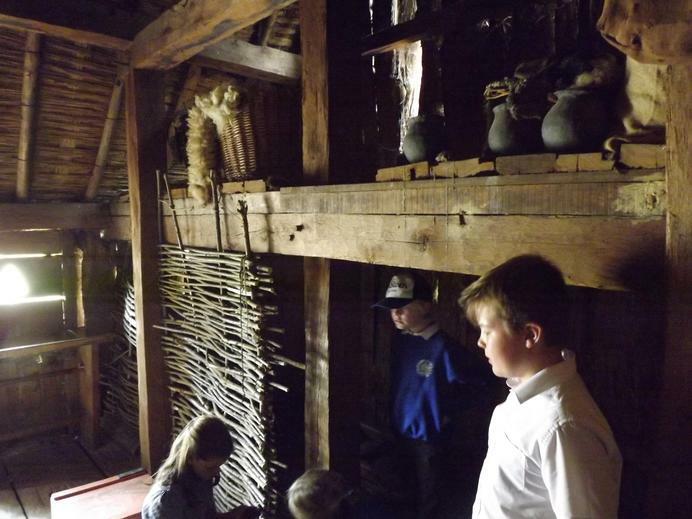 We visited a wealthy family's house, complete with wolf skin hanging on a post; the Sunken House, the first design of house which was built at West Stow; the Old House and the Work House, which contained a loom for weaving. 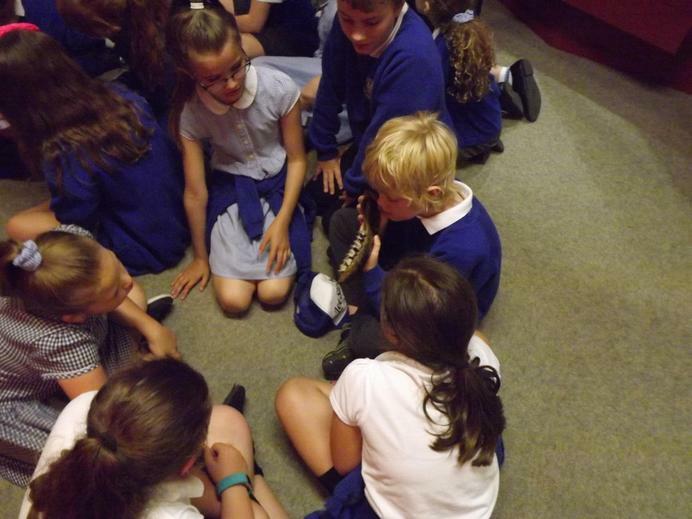 Before we left to come to school, we all met in the Hall to have a question and answer session with Stephanie. 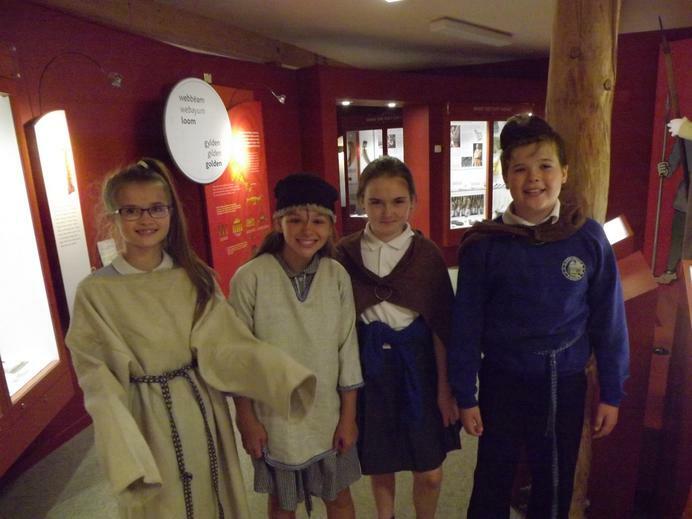 It was brilliant to have our questions about the Anglo-Saxons answered by an expert (rather than relying on Mr. Gray's and Mr. Newcombe's limited knowledge!) 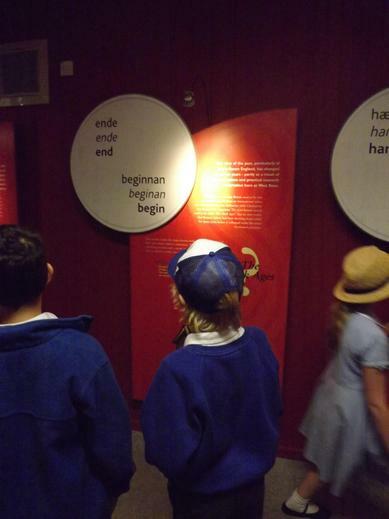 and we learnt so much. 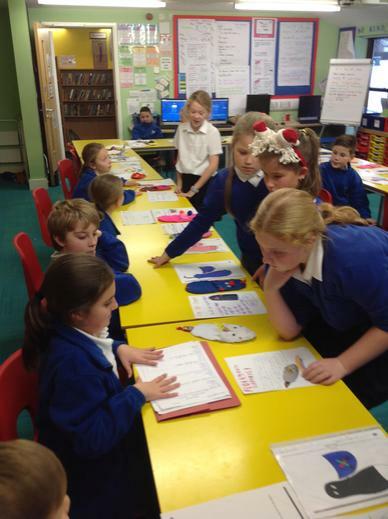 Today we were visited by PCSO Skeggs. 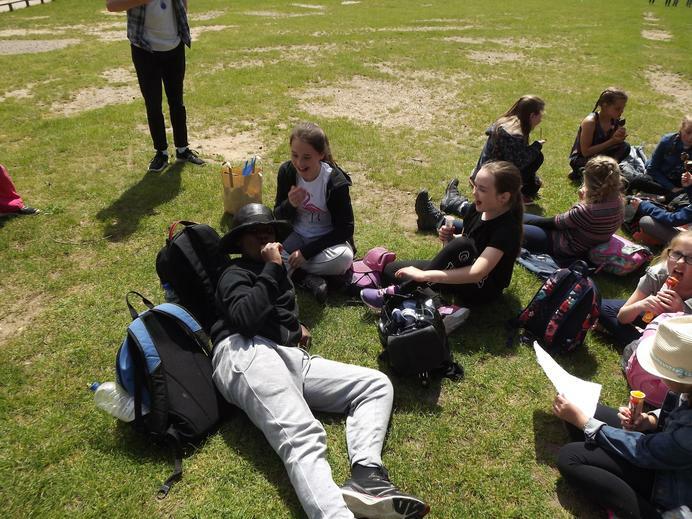 He came to speak to us about the importance of staying safe online as we move towards transitioning from primary school to high school. 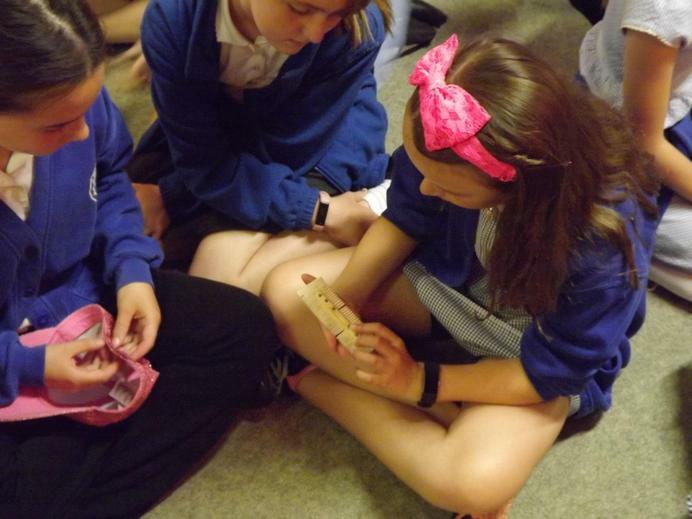 We discussed the various apps and social media platforms which are popular at the moment and the importance of sensible and responsible use of these - including the consequences of their misuse in the short and long term. 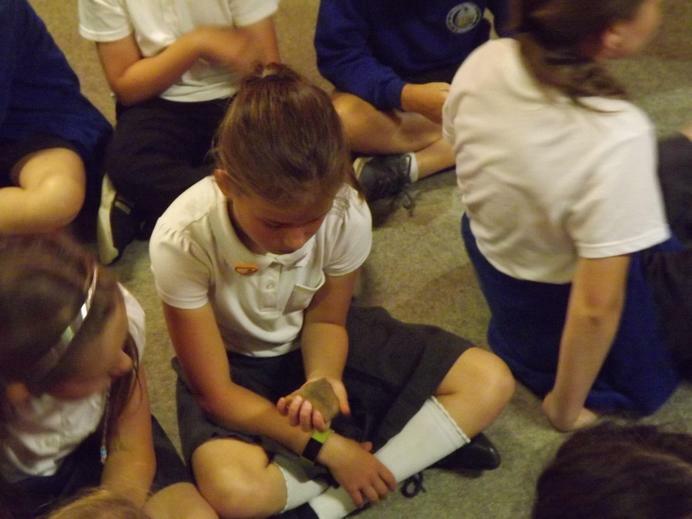 It left us with lots to think about and was a really vital and important topic to discuss. 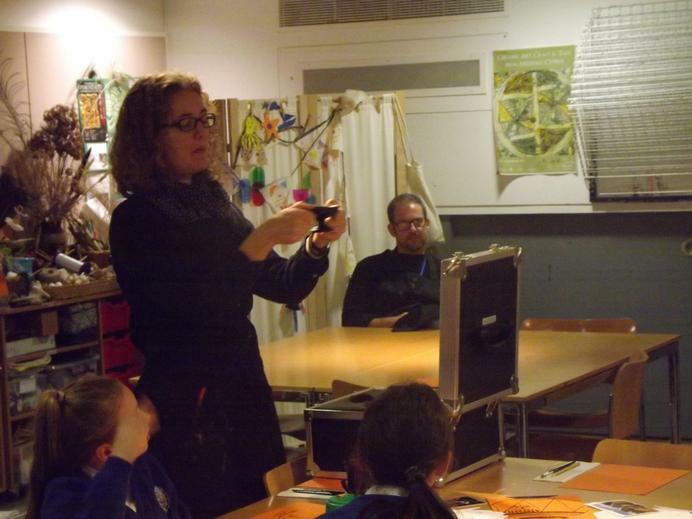 To find out more about staying safe online click here. 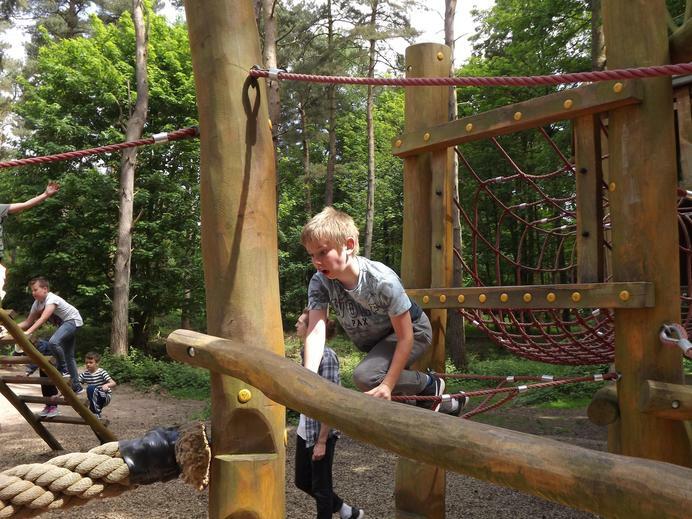 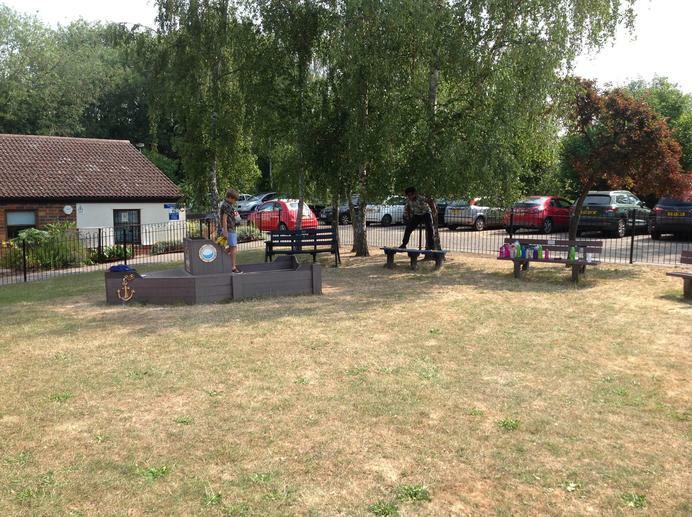 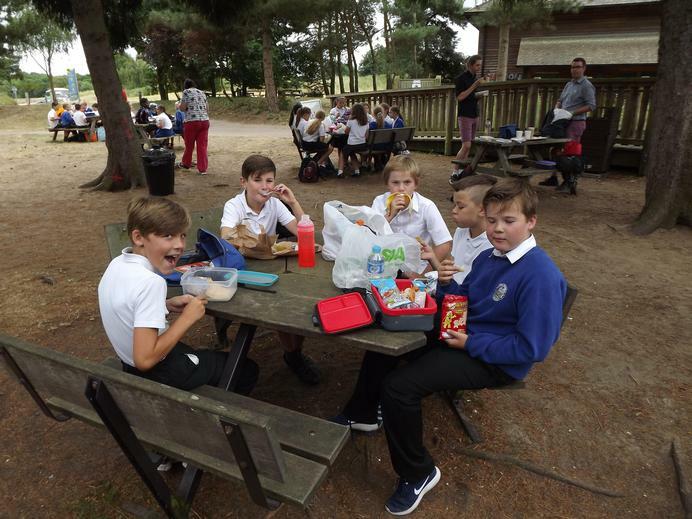 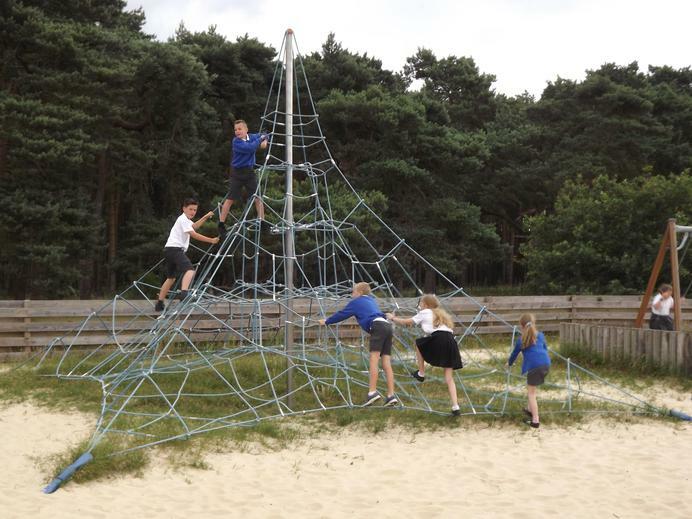 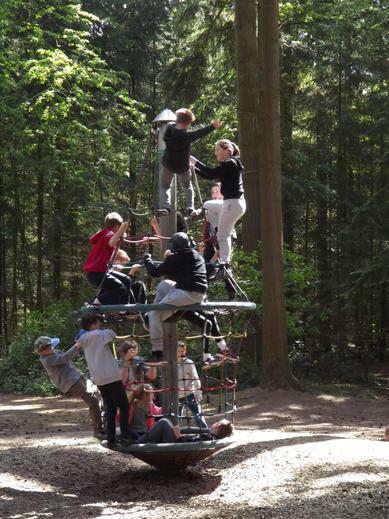 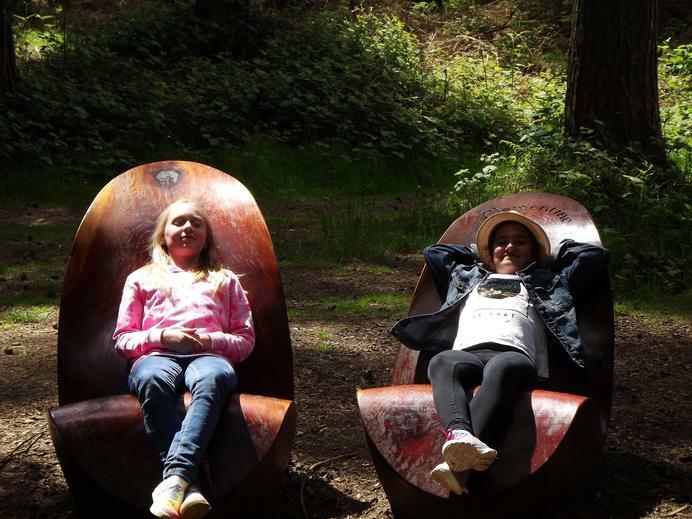 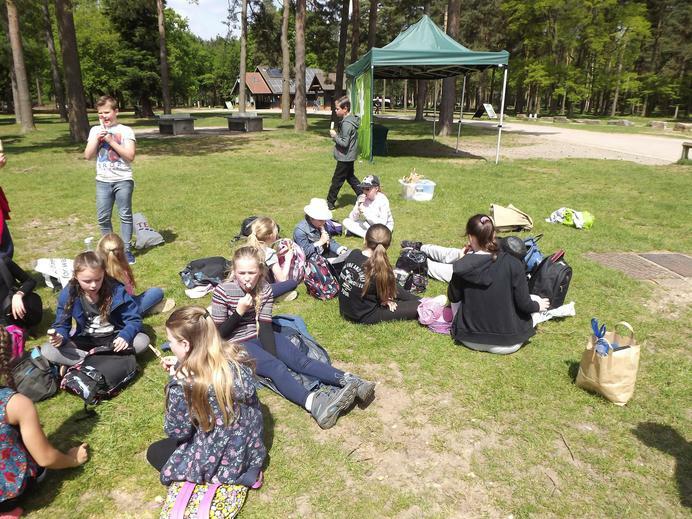 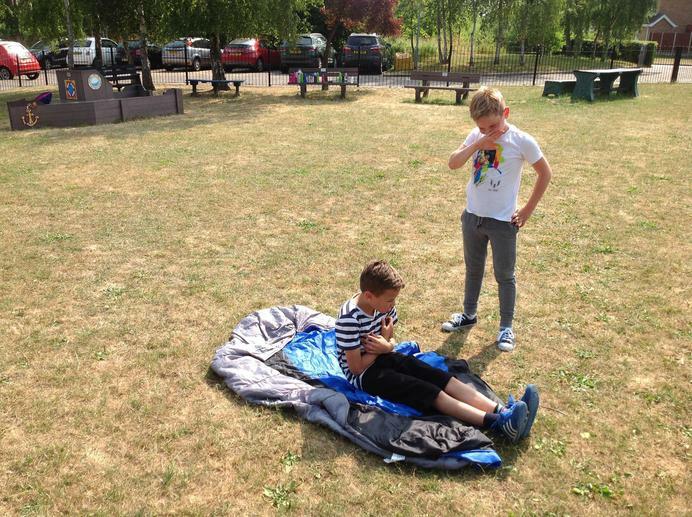 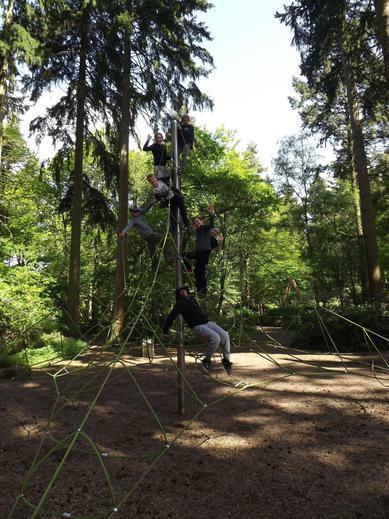 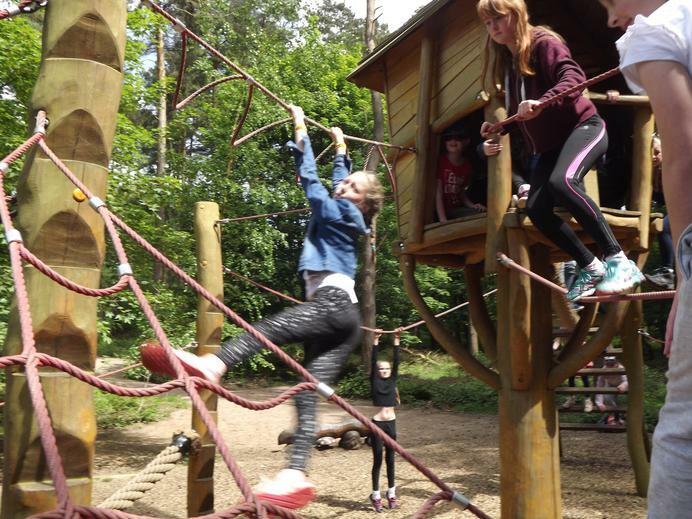 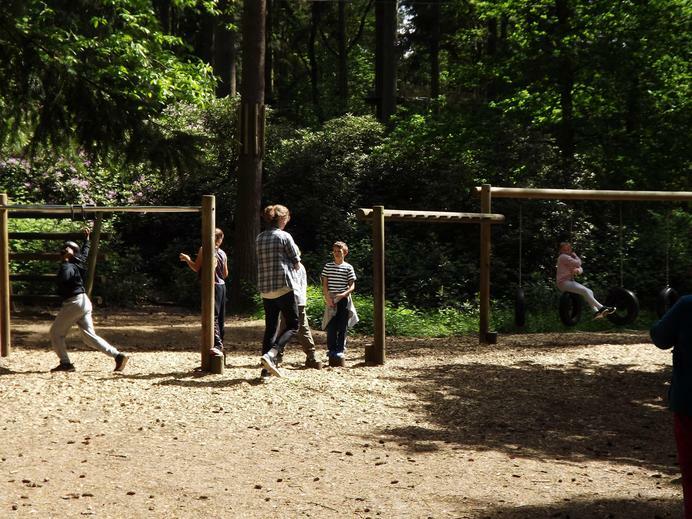 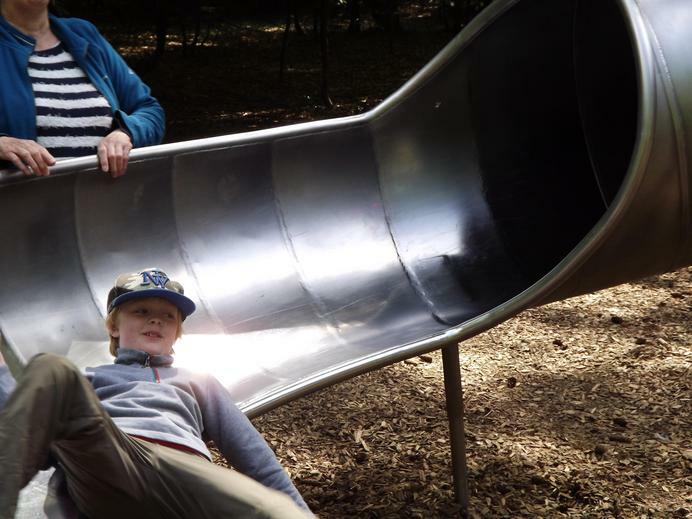 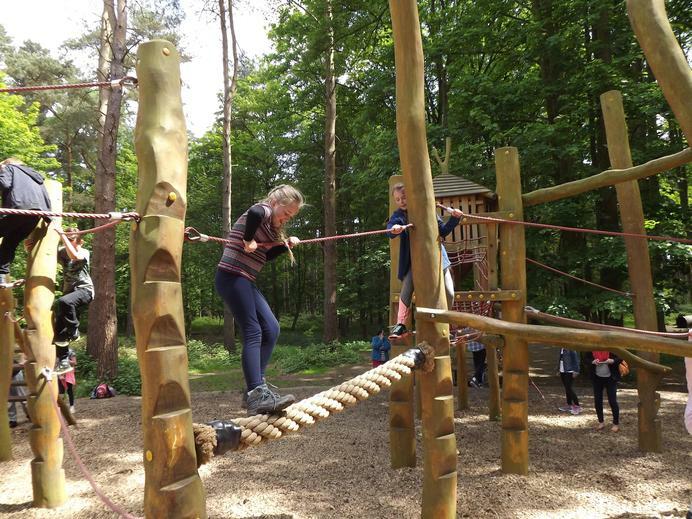 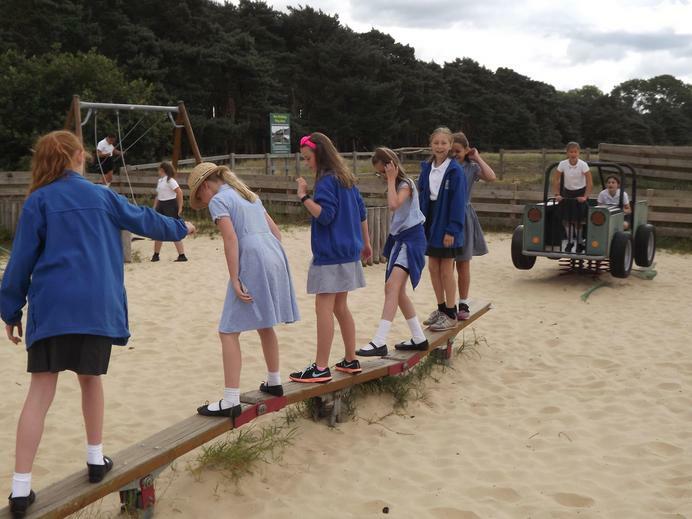 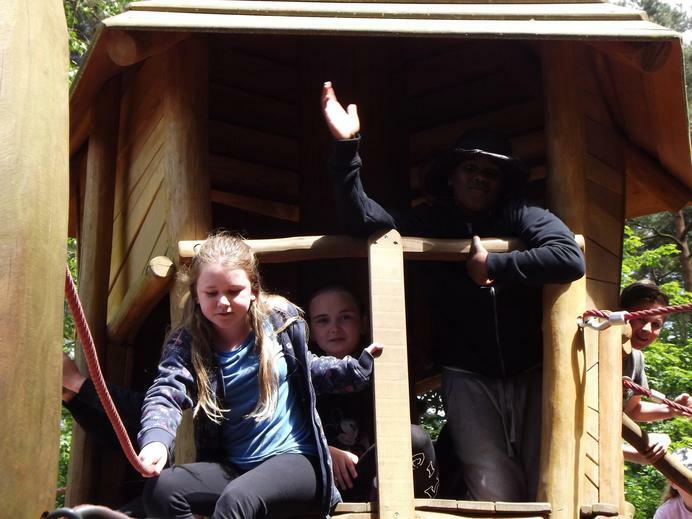 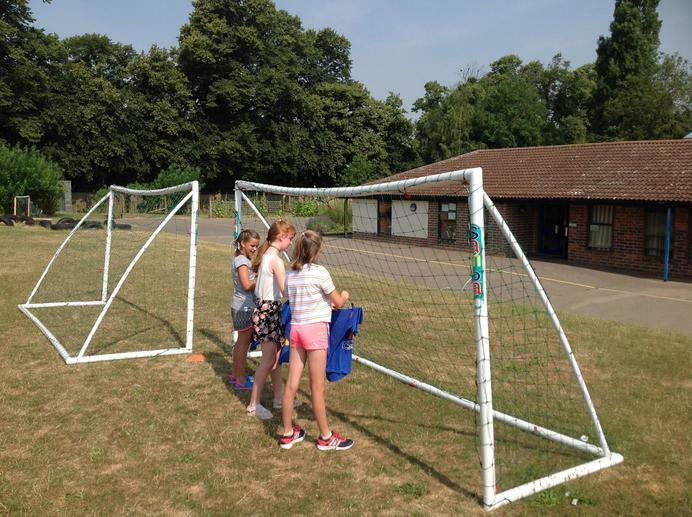 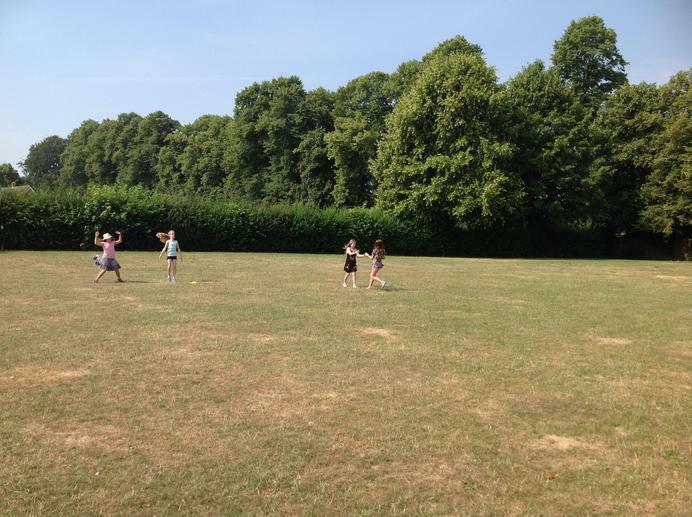 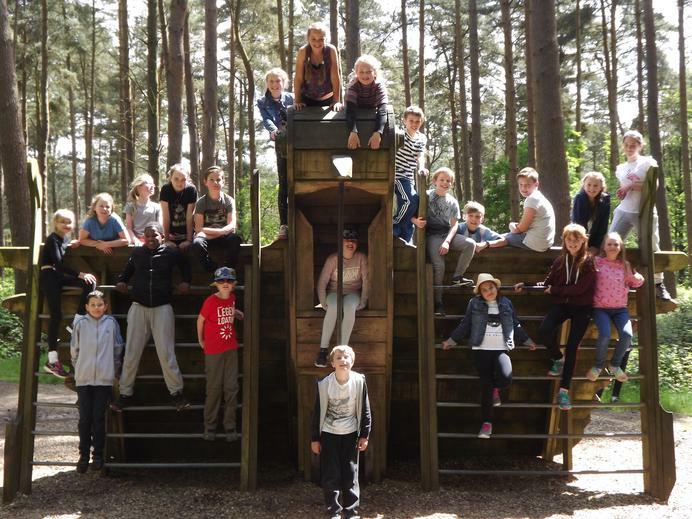 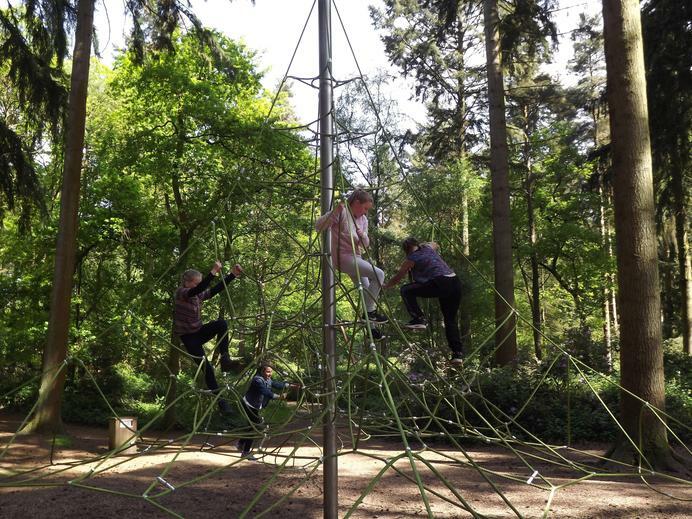 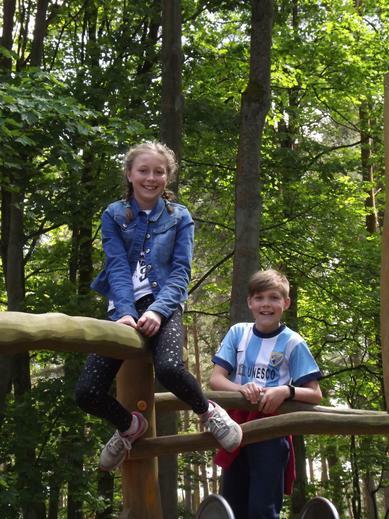 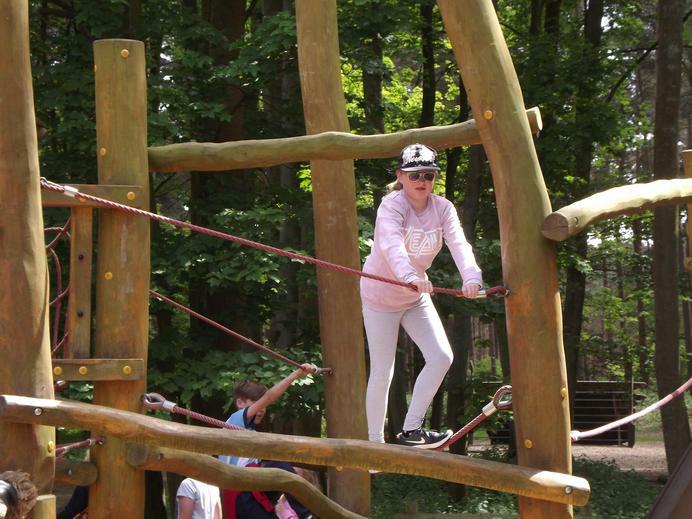 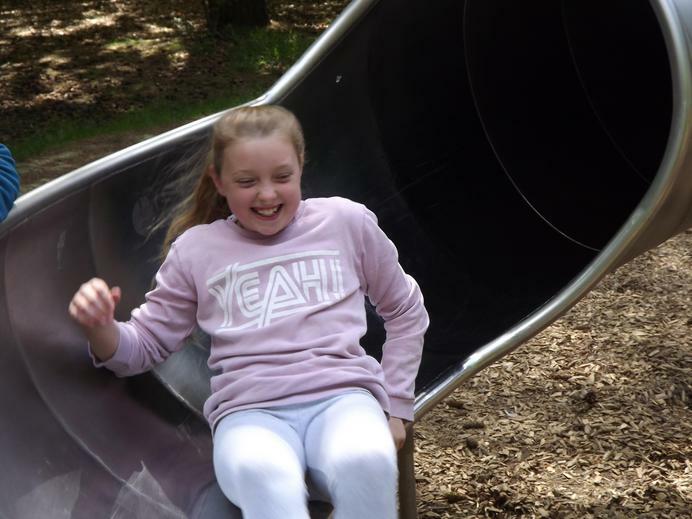 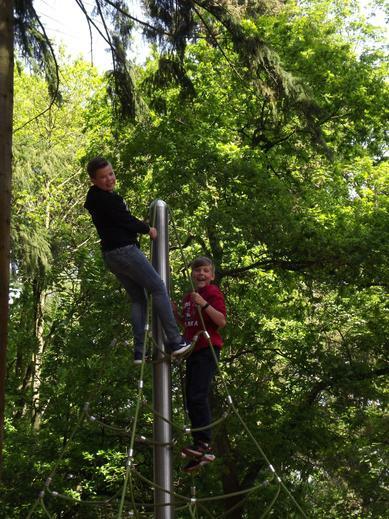 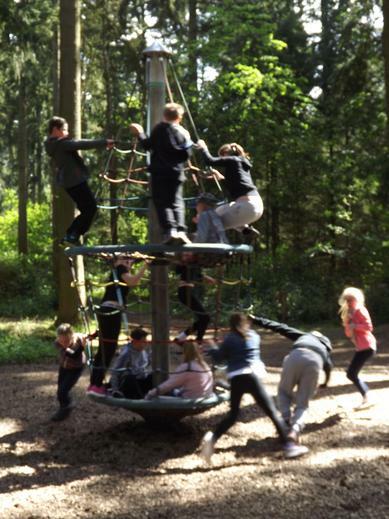 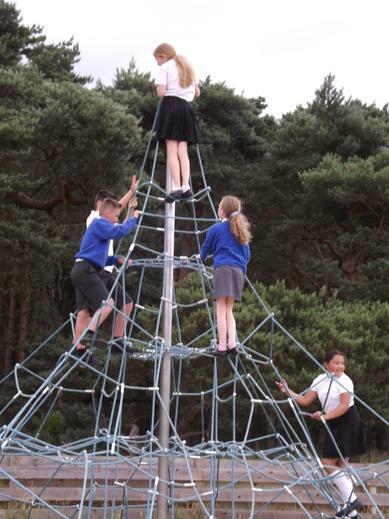 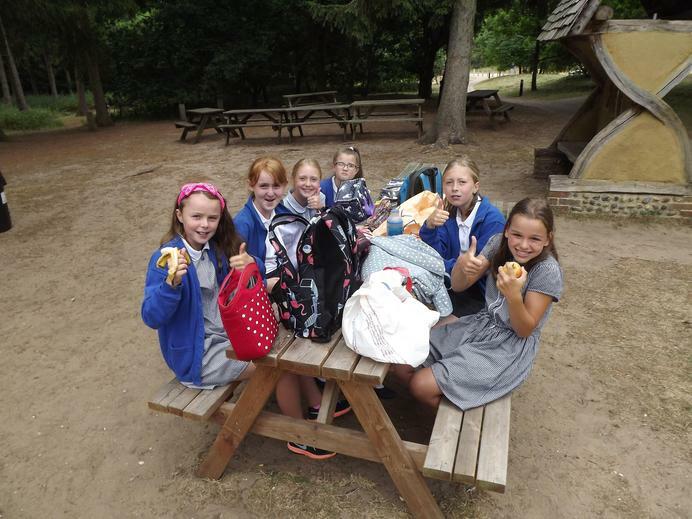 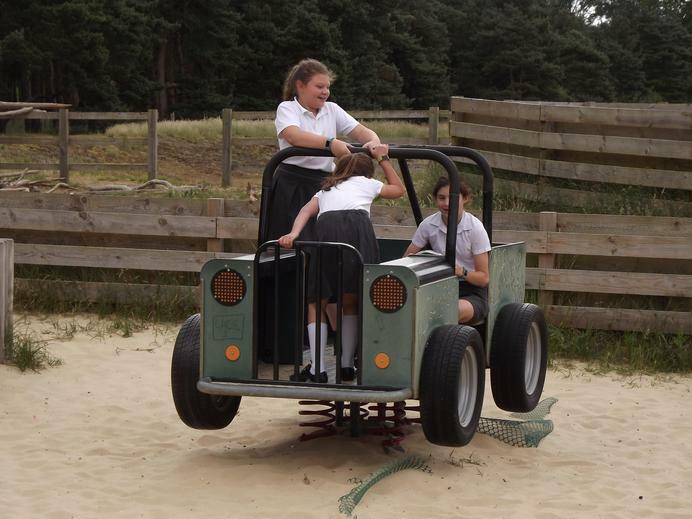 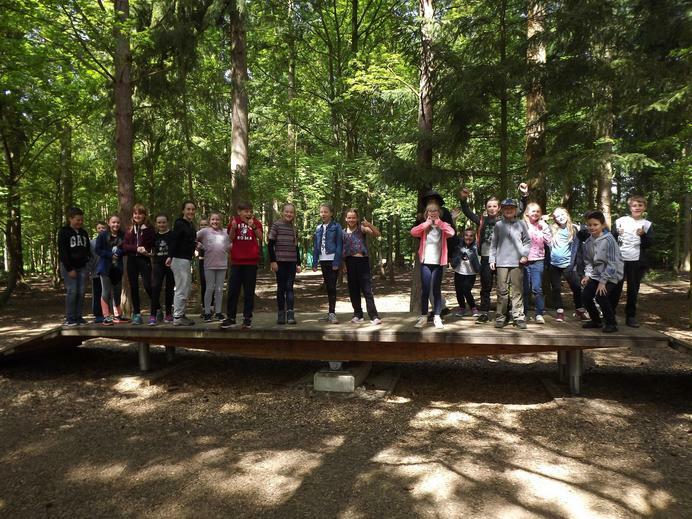 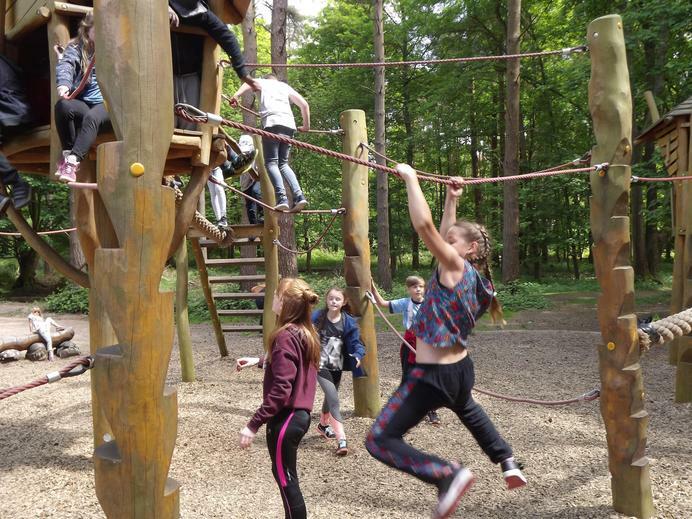 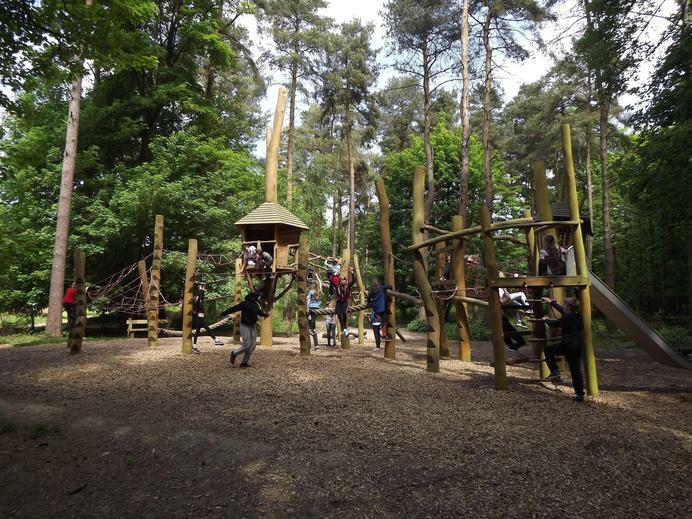 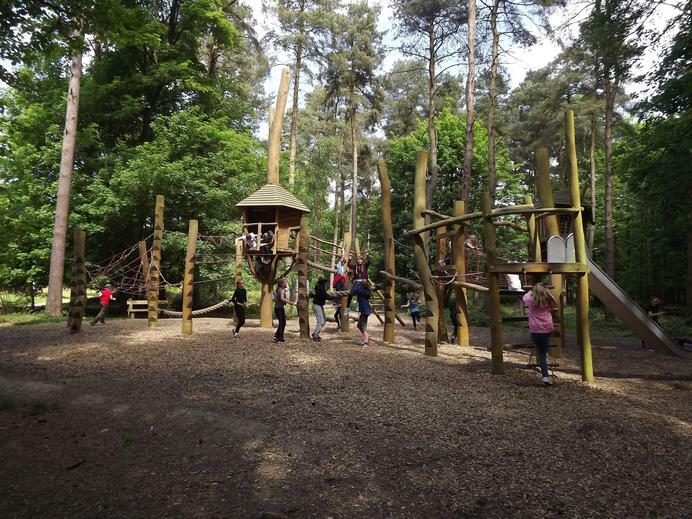 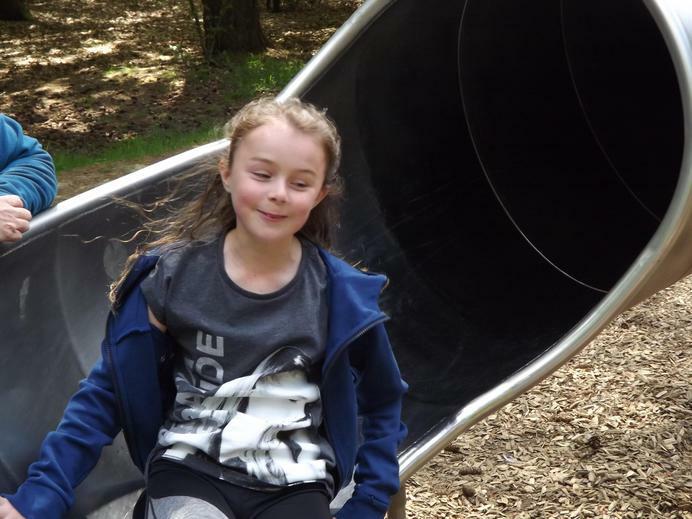 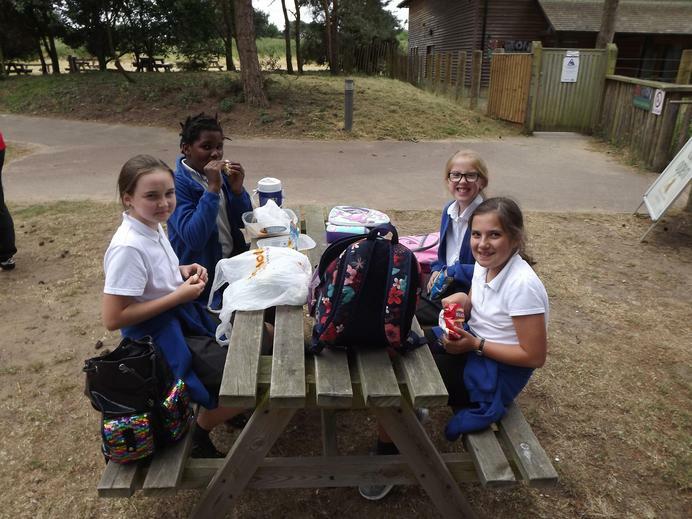 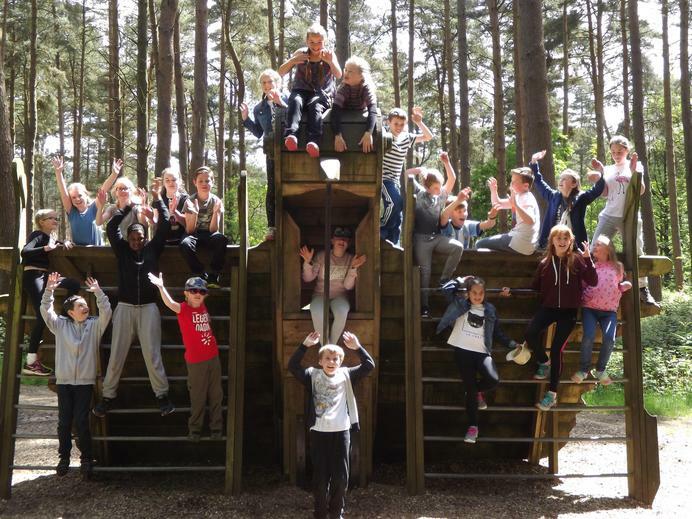 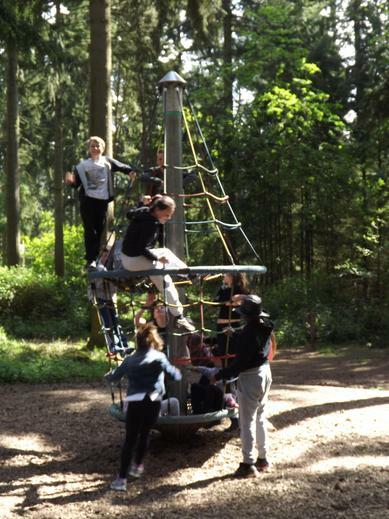 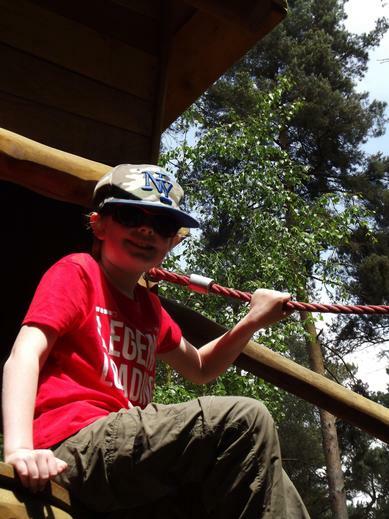 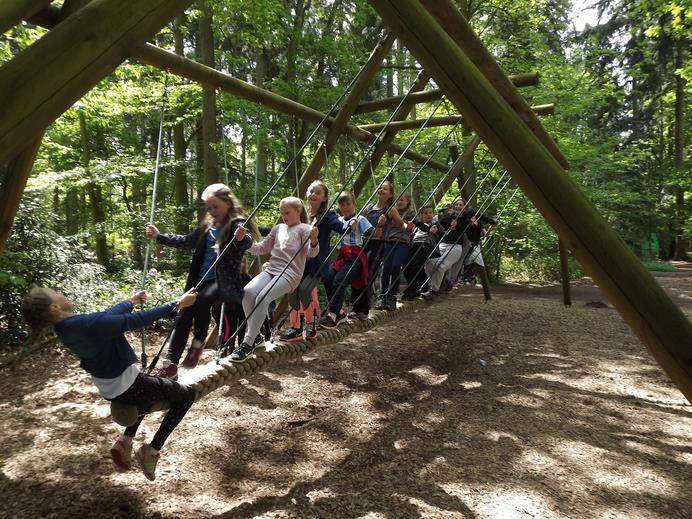 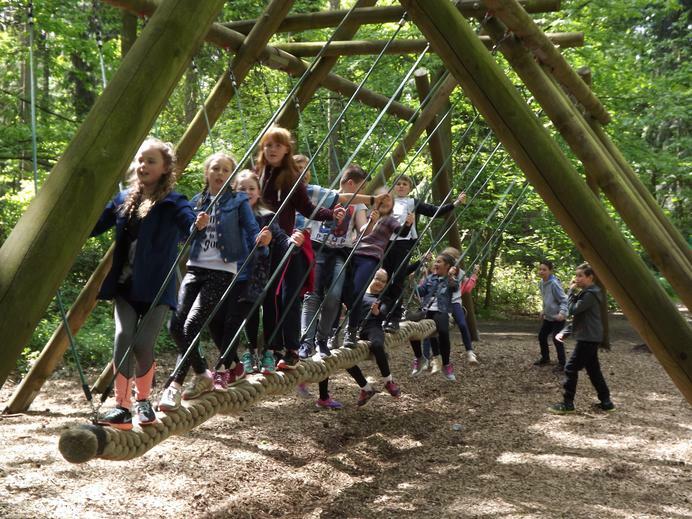 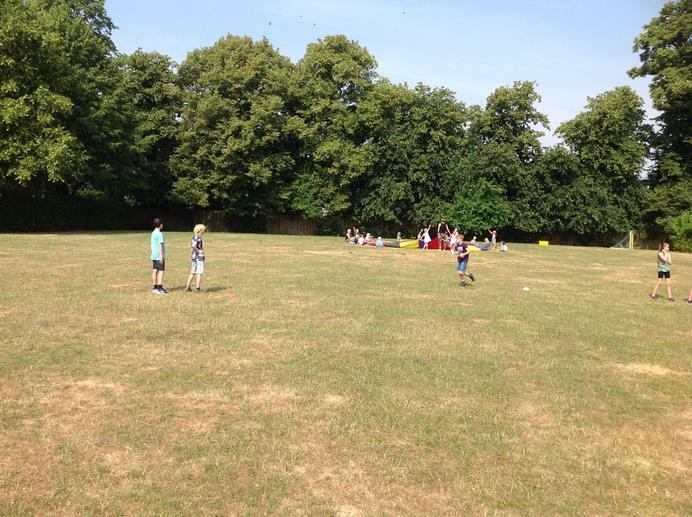 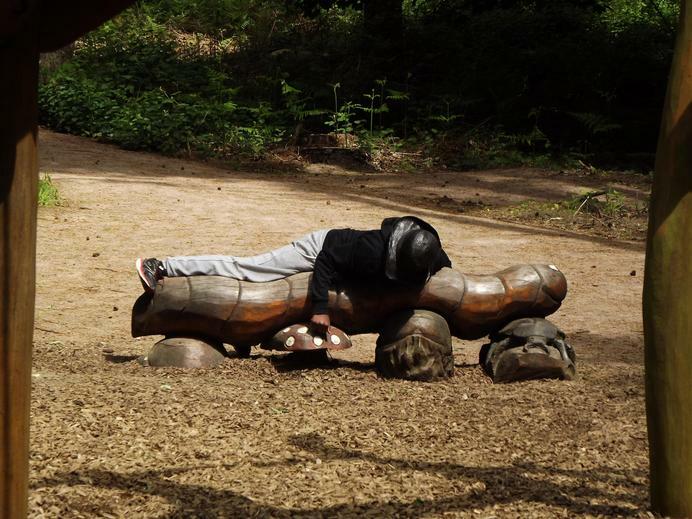 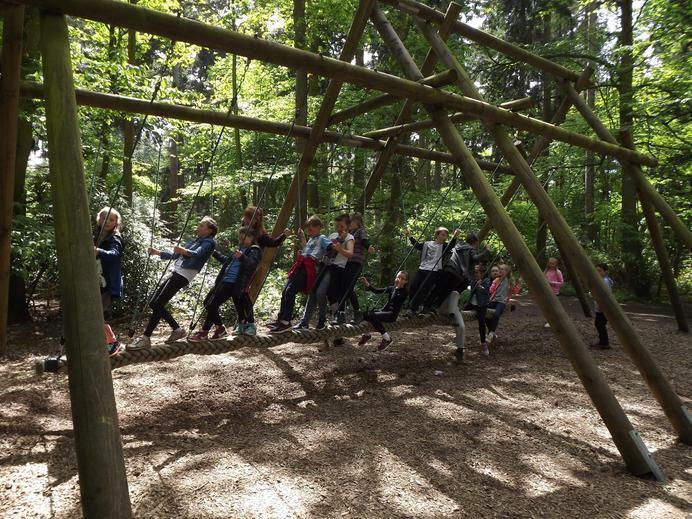 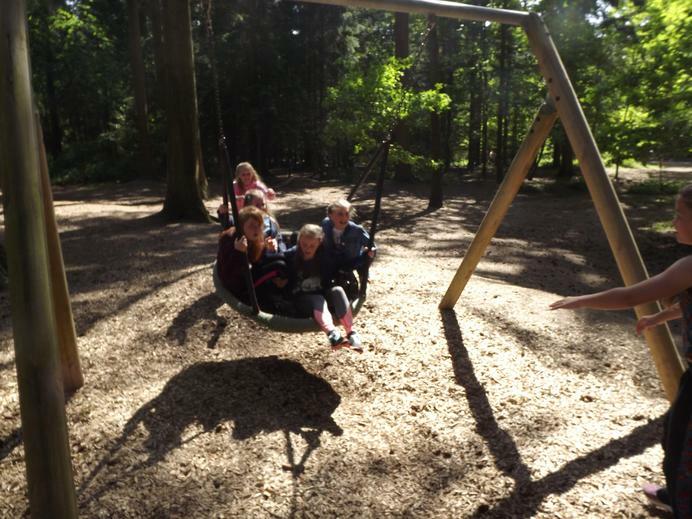 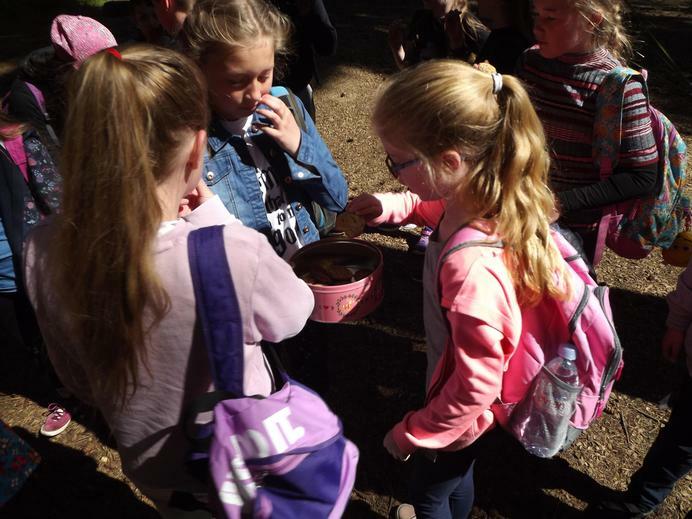 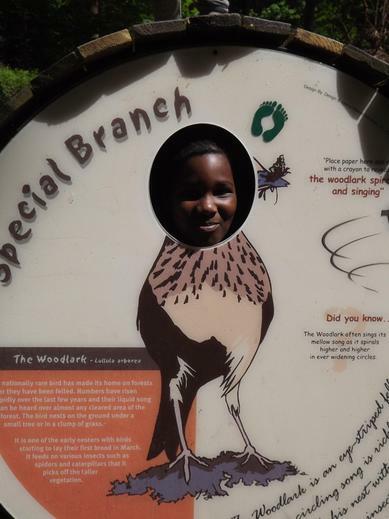 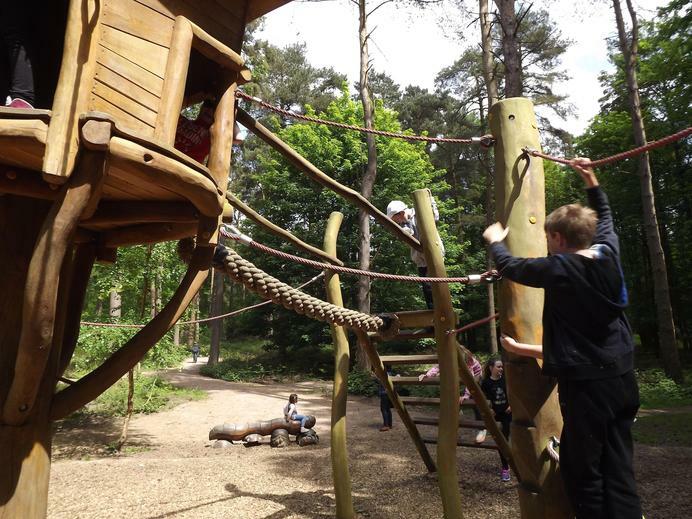 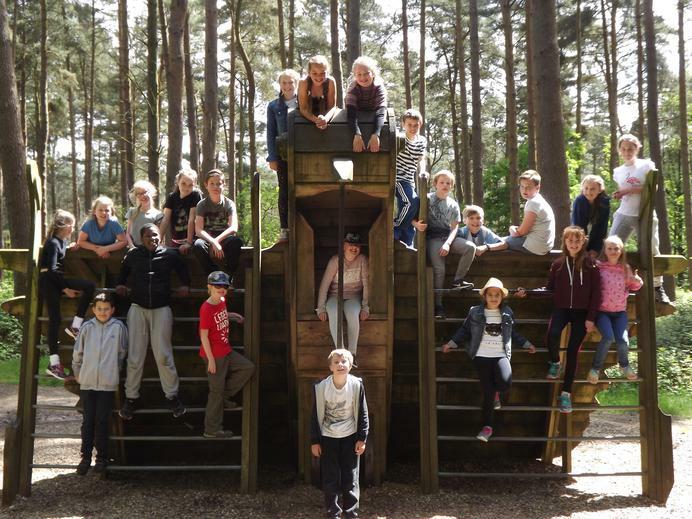 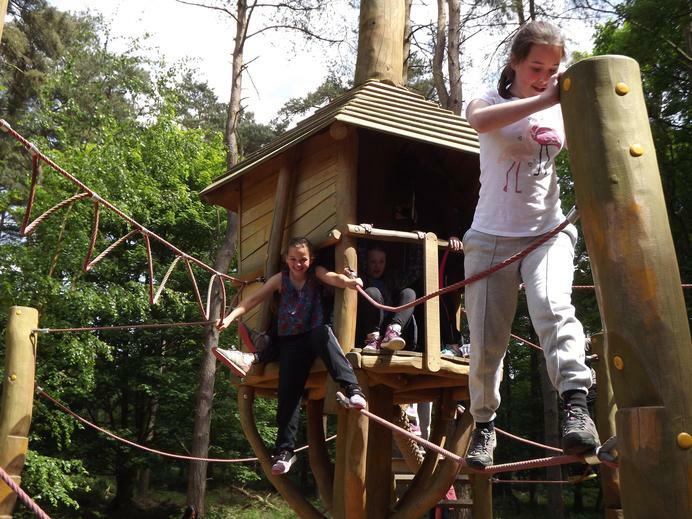 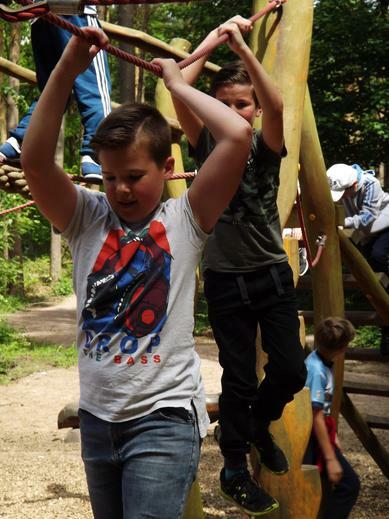 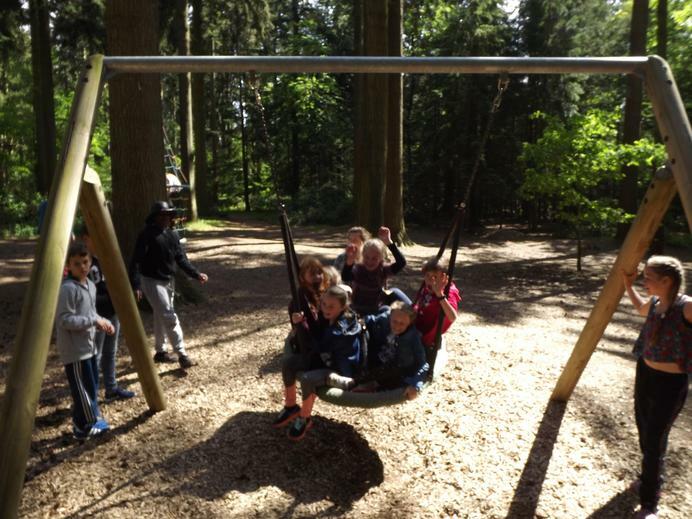 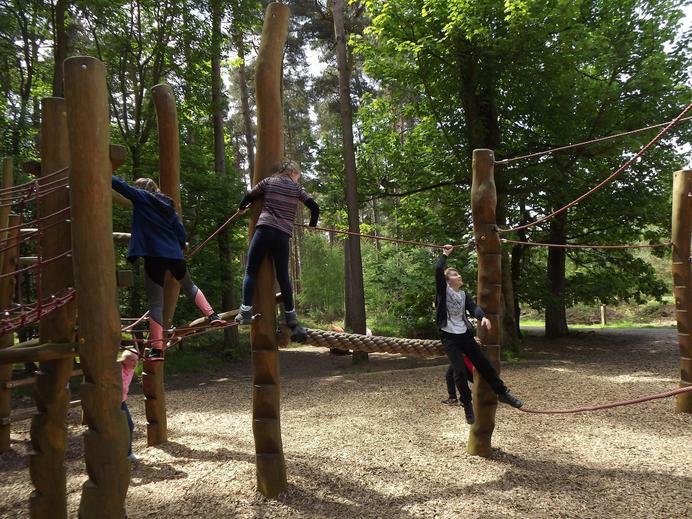 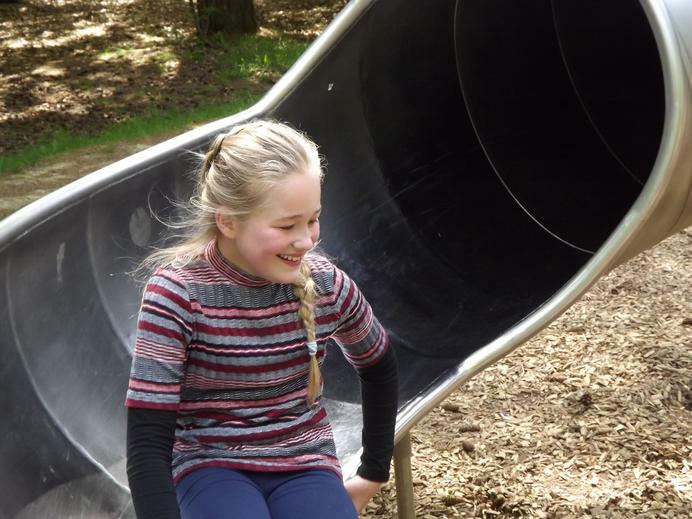 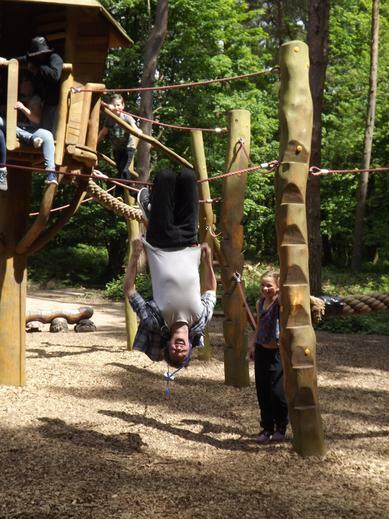 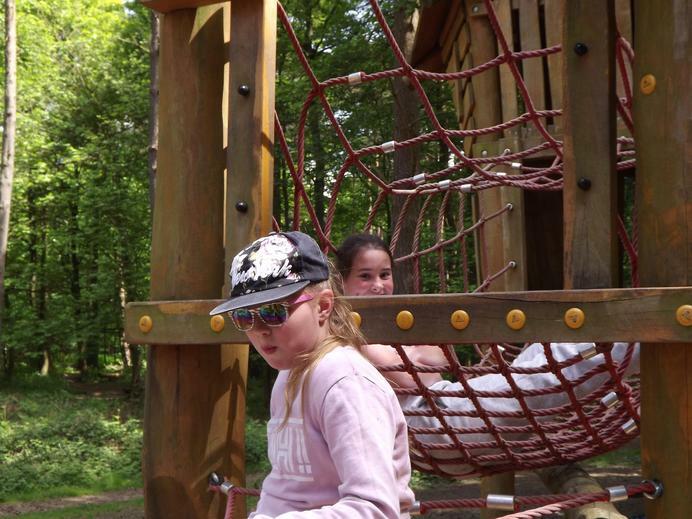 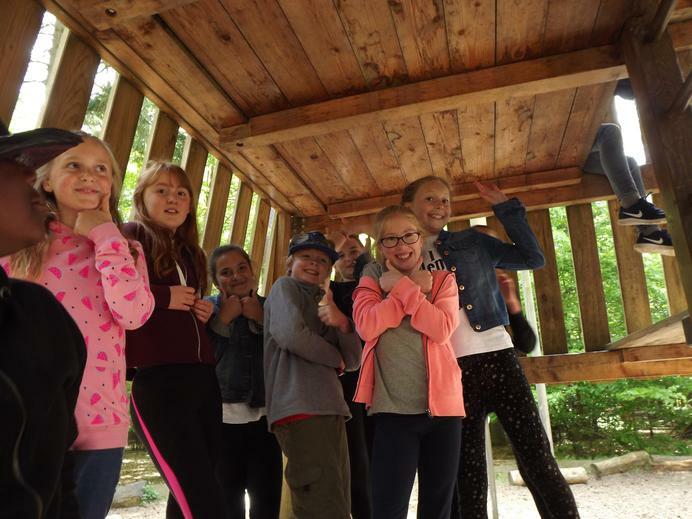 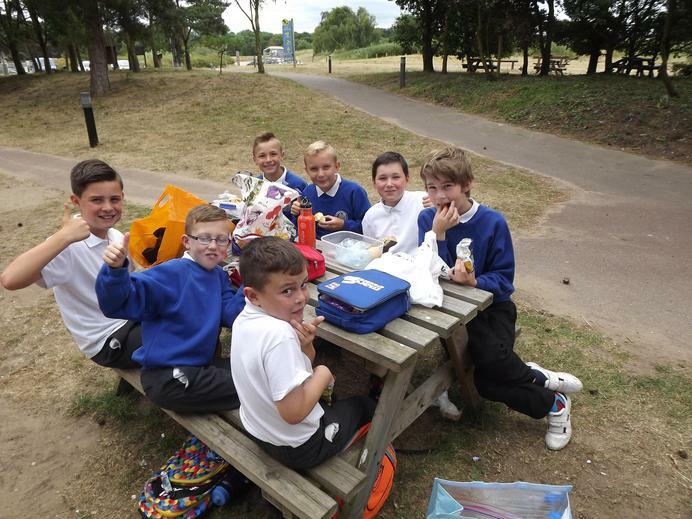 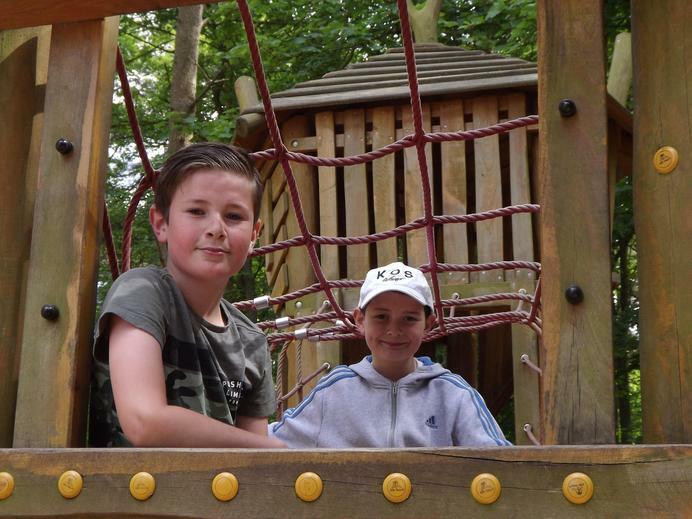 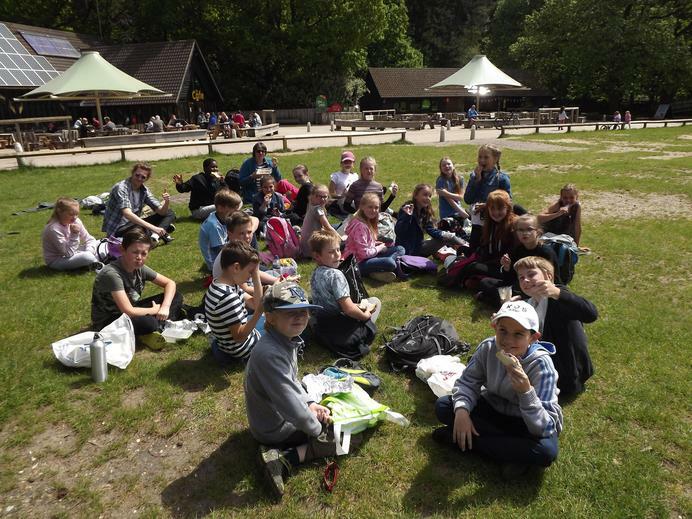 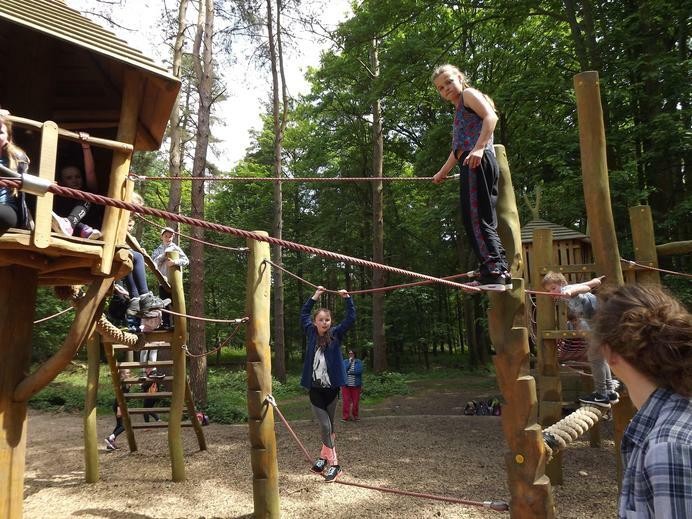 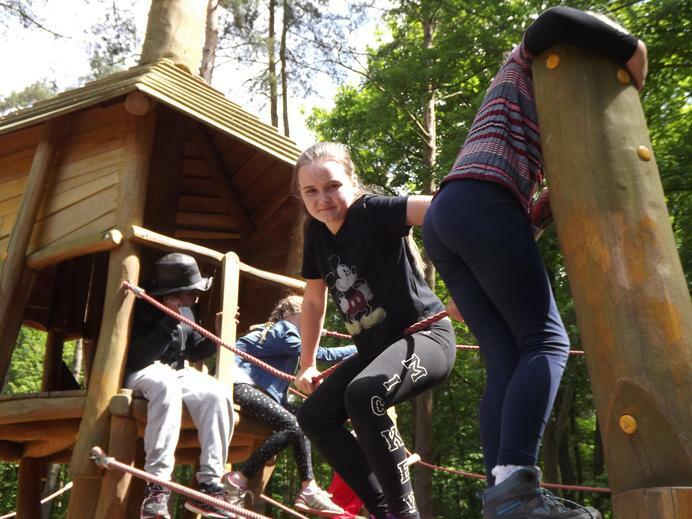 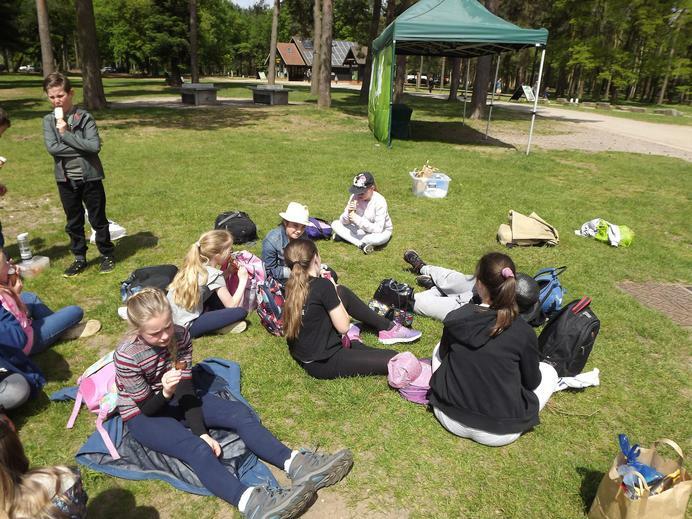 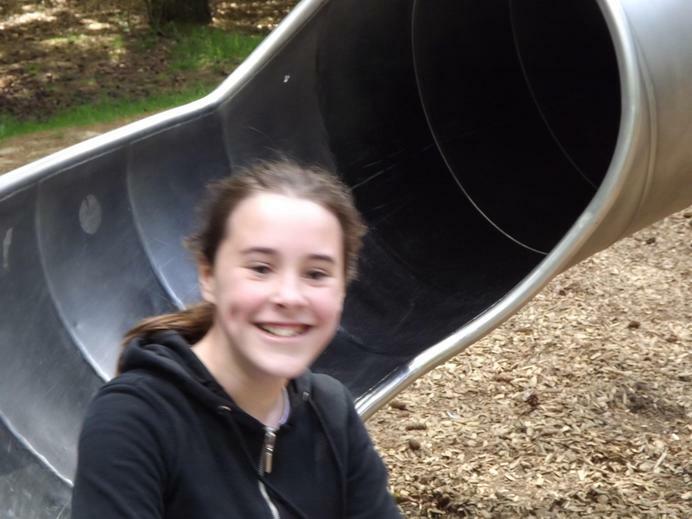 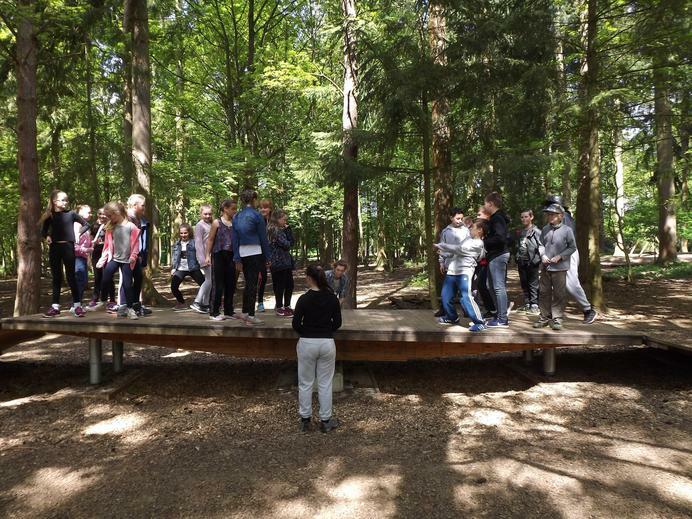 Day of Fun at Thetford Forest to celebrate the end of 'The week ..."
Department for Education Information for parents of pupils in year 6, about 'The week that shall not be named'..
Find out about Year 5 and 6's residential trip by clicking here. 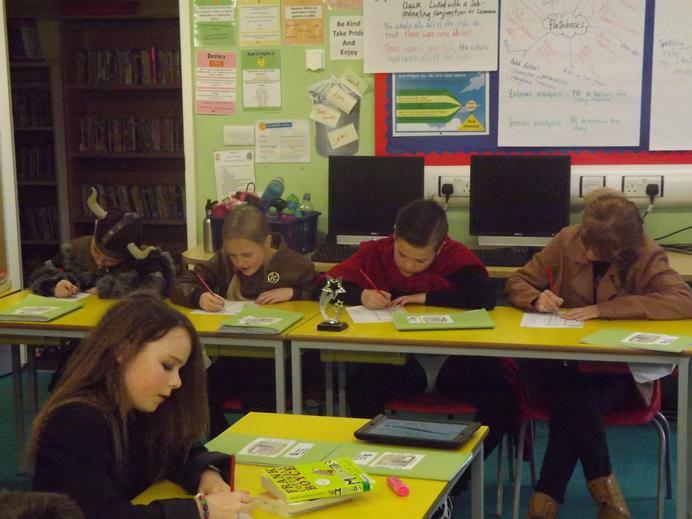 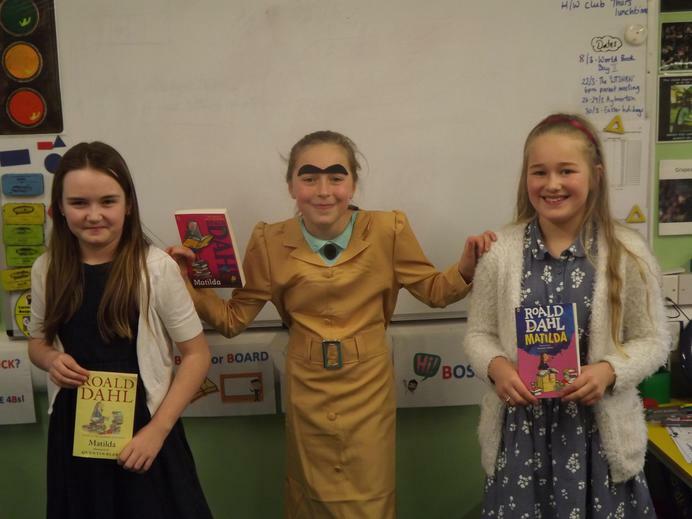 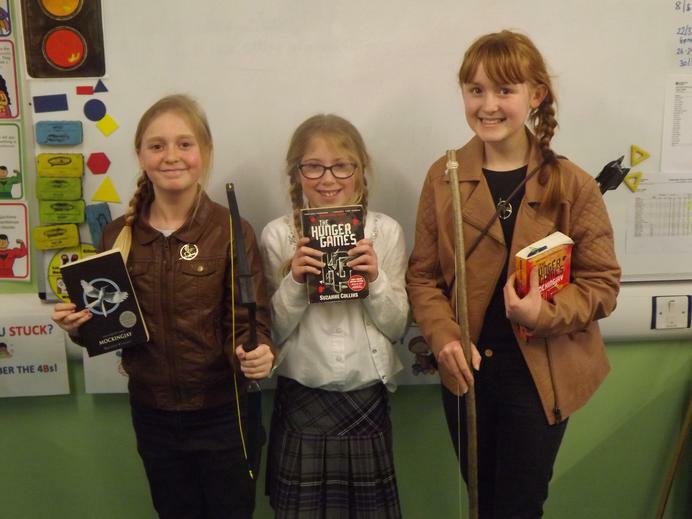 We had great fun dressing up for our re-arranged World Book day celebrations. 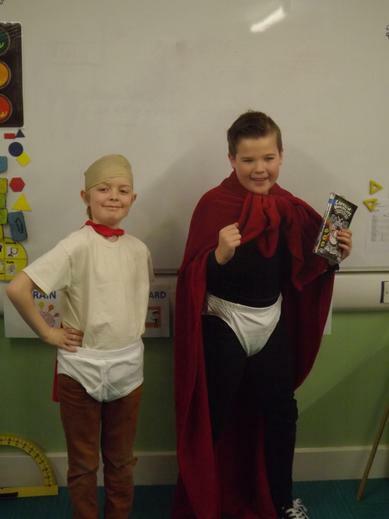 It was wonderful to see the range of costumes that had been created from Captain Underpants to an alien in underpants. 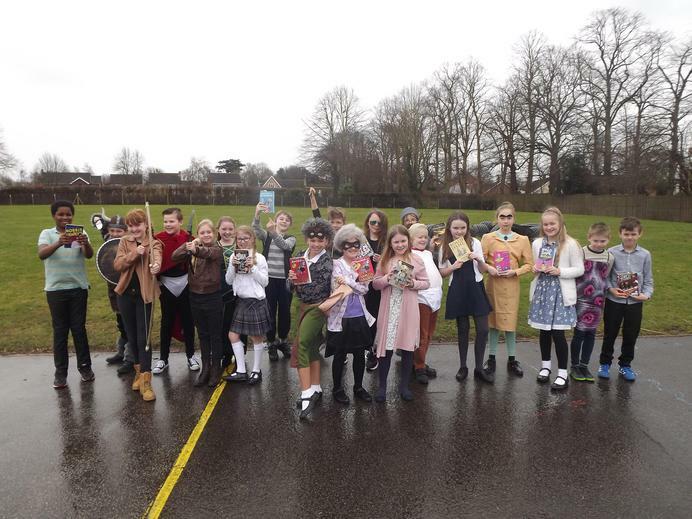 There was also a wide range of authors and books represented too. 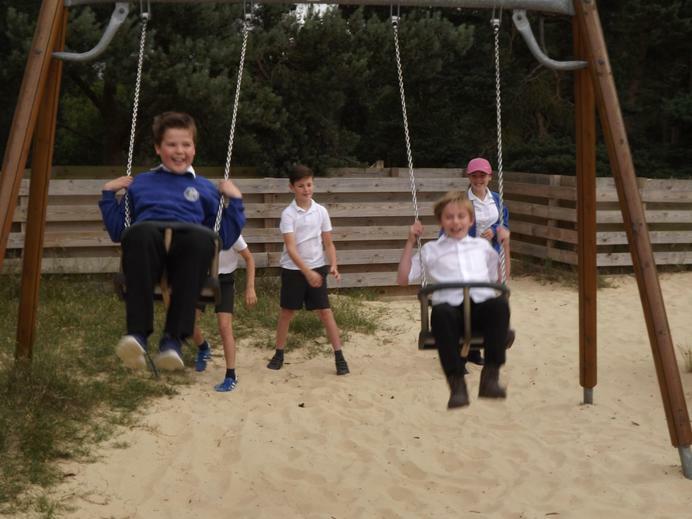 The 'Beast from the East' arrived with maximum impact last week resulting in no school for 3 days! 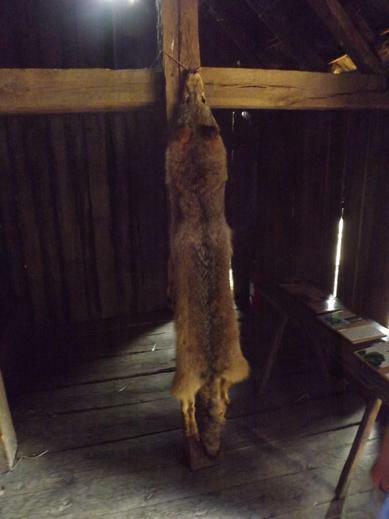 To make sure the Wolves got out and enjoyed the snow (as if they needed any encouragement). 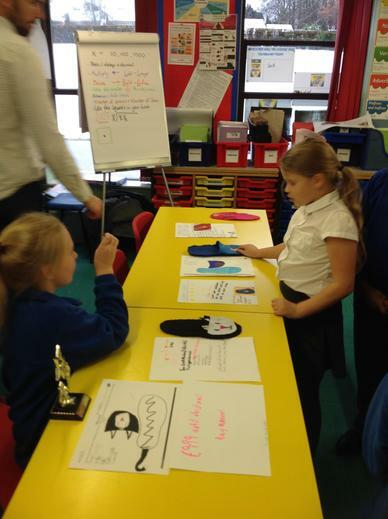 Mr. Gray set up a competition to build the best snow sculpture or snowman. 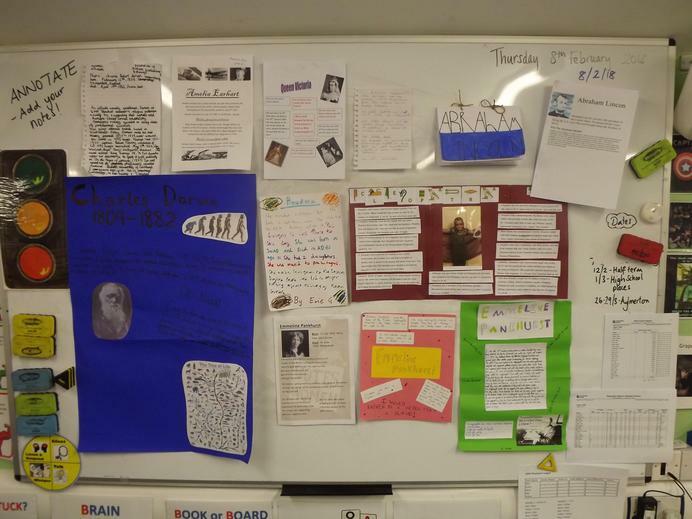 As you see the entries were of a very high standard. 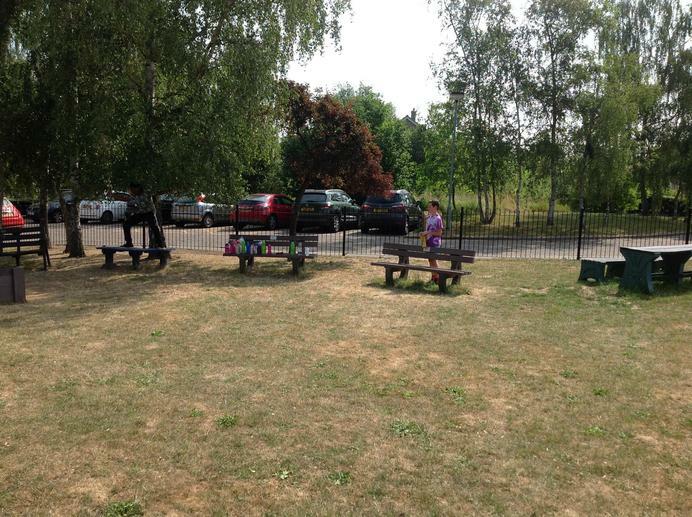 Mr. Newcombe and Miss O'Neill were given the tough task of choosing the winner. 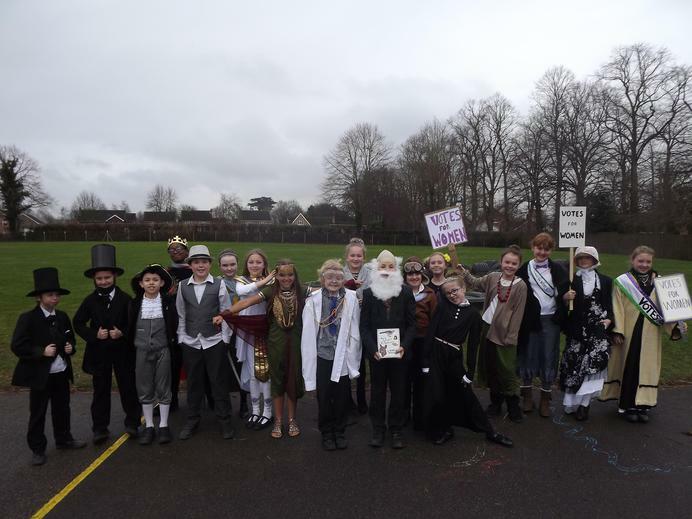 We had a great day celebrating History Day! 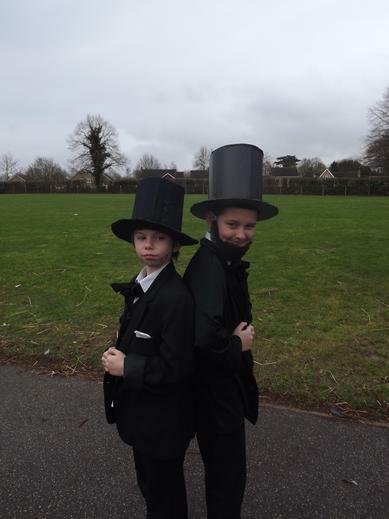 As you can see from the photos, we had to dress up as a pre-World War 2 historical figure. 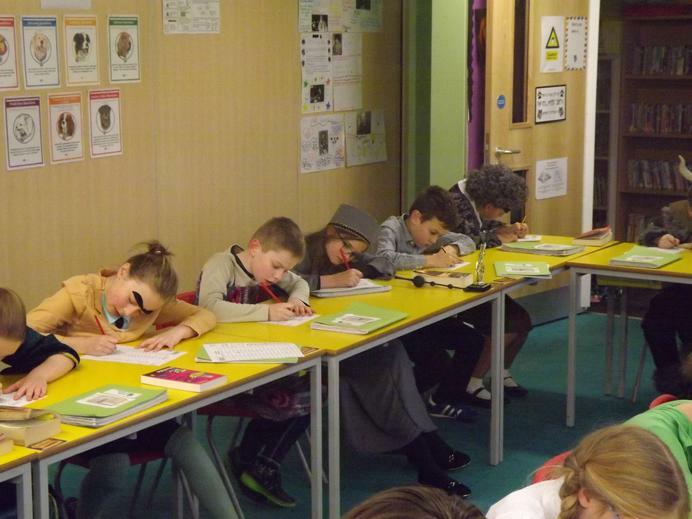 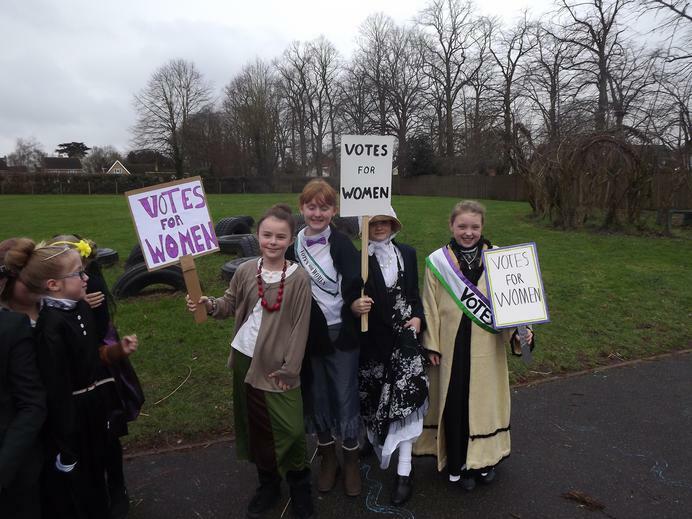 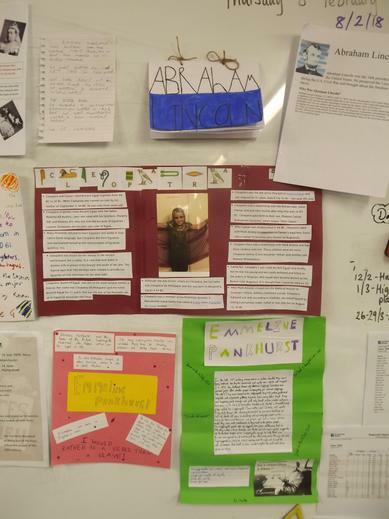 A quick look around the classroom saw Abraham Lincoln sitting next to Ada Lovelace, Albert Einstein chatting with Emmeline Pankhurst while Admiral Nelson and Cleopatra compared half-term plans! 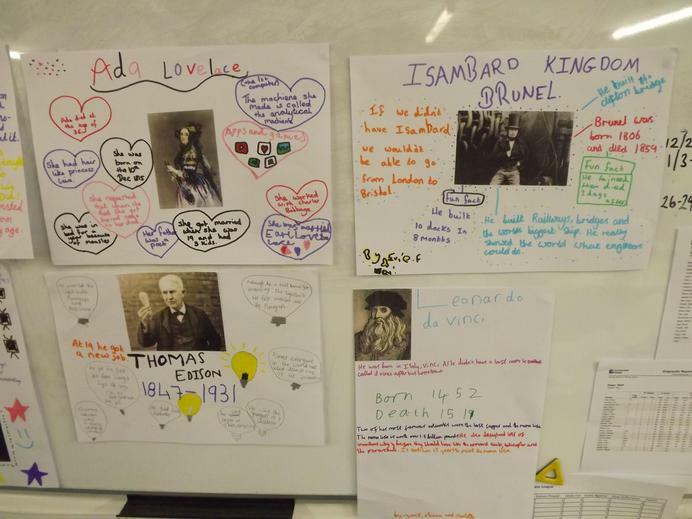 In the morning, we worked within our family groups across the school and learnt about a different historical figure - this included a hands on activity which was related to the historical figure. 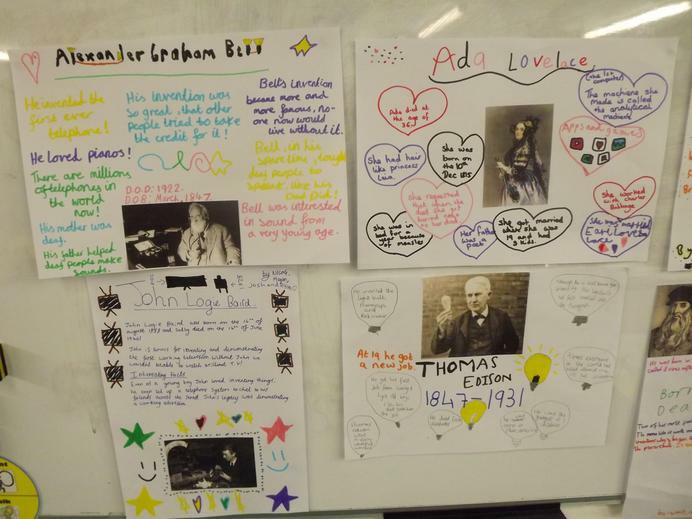 In afternoon, we returned back to our class and created a poster about the historical figure that we had learnt about. 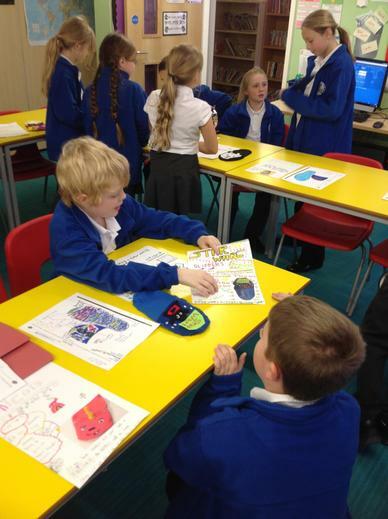 Each group then presented their information to the rest of the class to share their newly gained knowledge. 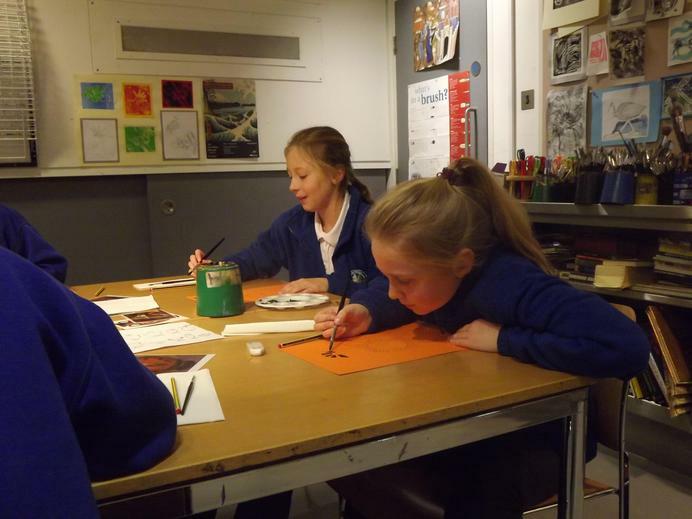 Our day finished off with water-colour painting of self-portraits and a look at the research that had been a homework challenge. 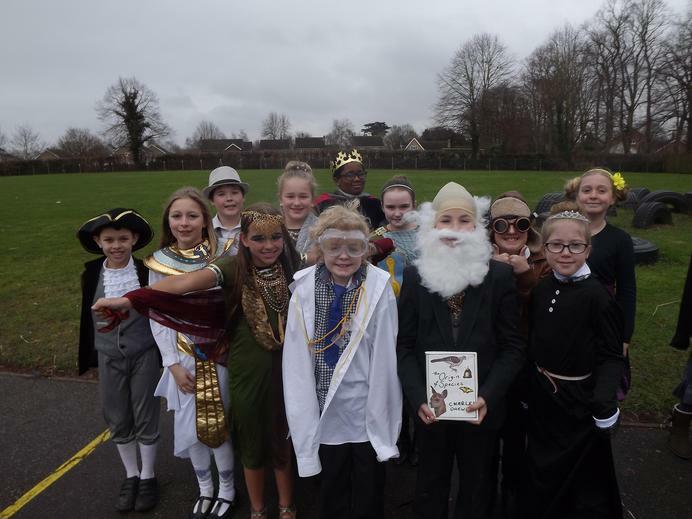 Thank you to the Wolf Pack parents for the excellent efforts in helping the children look the part, it really added to the day and made for some memorable moments! 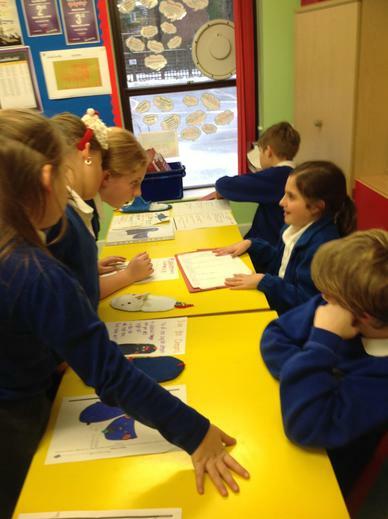 Mr. Gray set the Wolves a challenge in Maths. 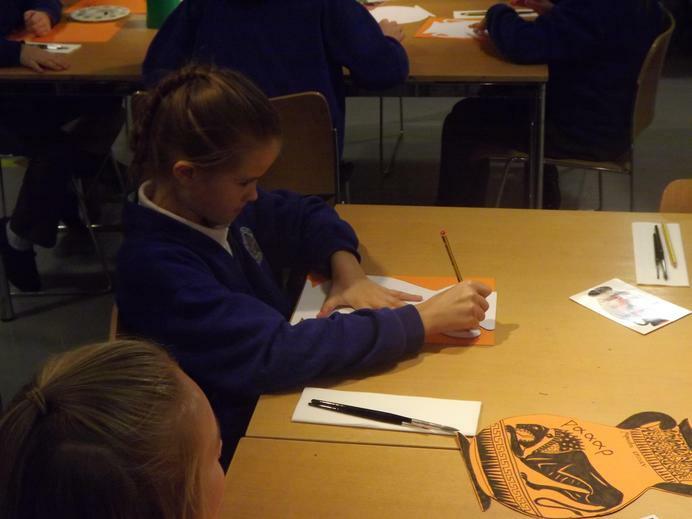 'Bryony's Triangle' (click here to have a go at home) involves folding a a square of paper to create a lotus flower before colouring in the smallest 'petal' of the flower. 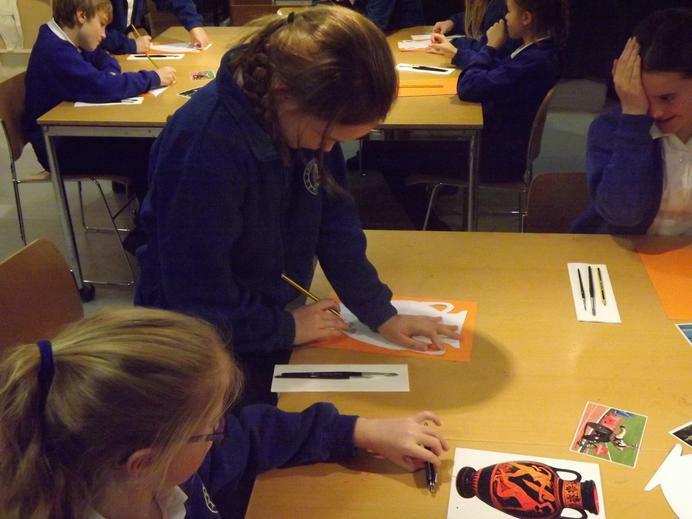 The challenge is then to work out (as a fraction) how much of the original paper square has been coloured in. 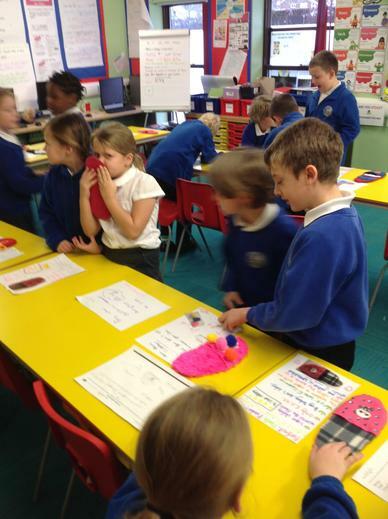 This problem caused a lot of discussion and a bit of frustration but the Wolves kept persevering with the challenge! 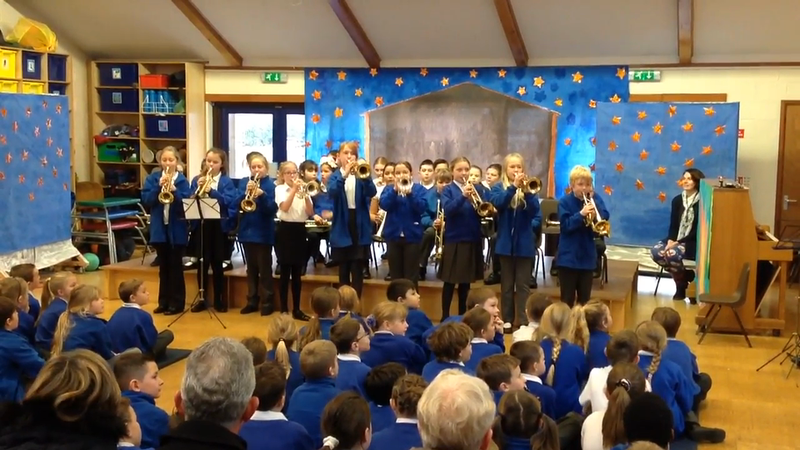 Today we were treated to a brilliant festive performance by our brass players. 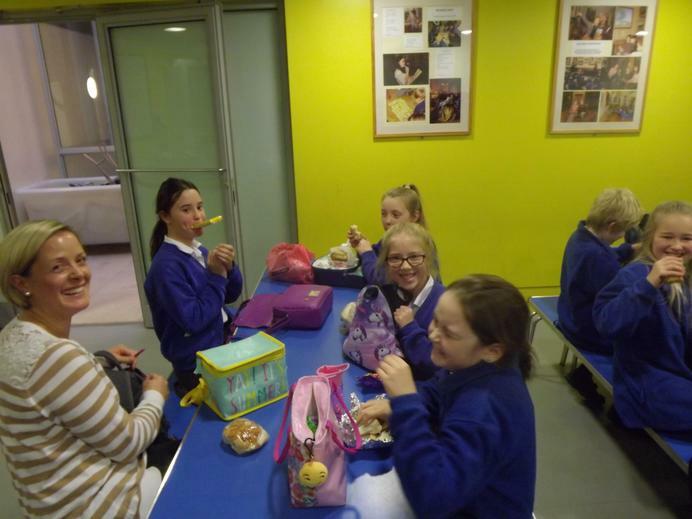 This was a celebration of their hard work with Mrs Blyth and got the whole school into the festive spirit. 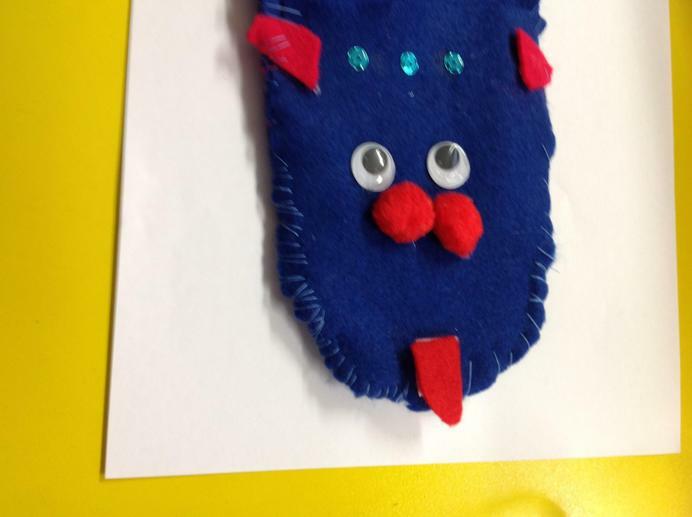 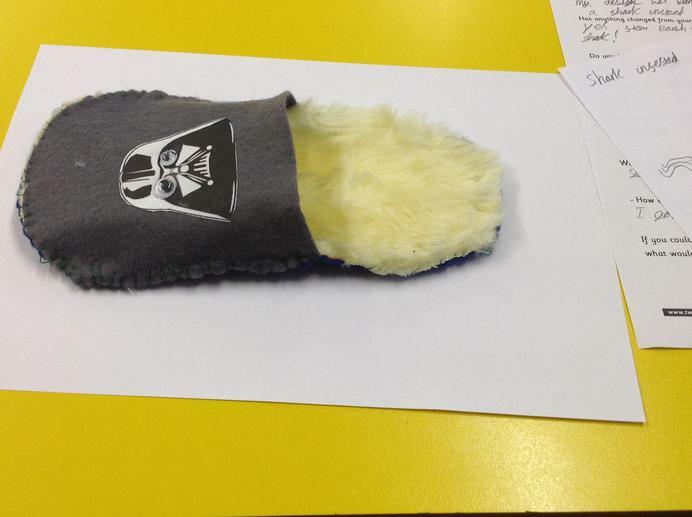 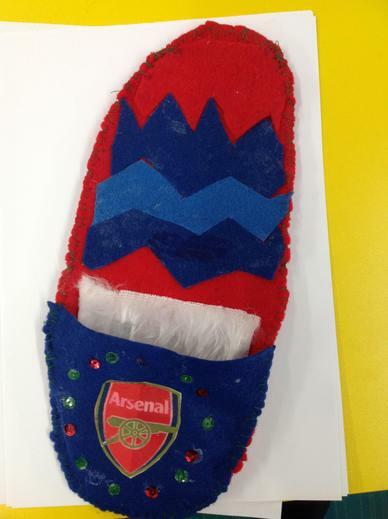 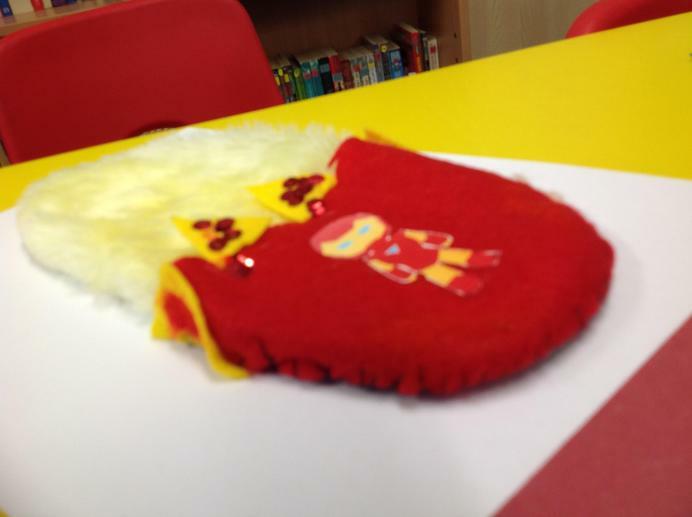 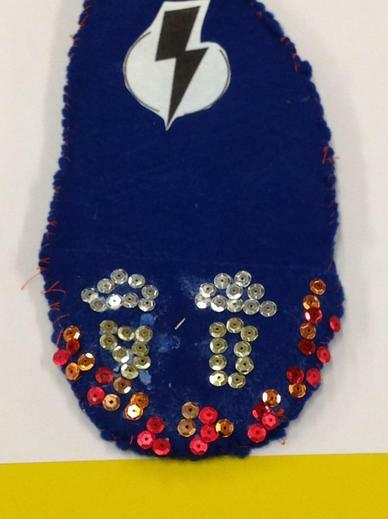 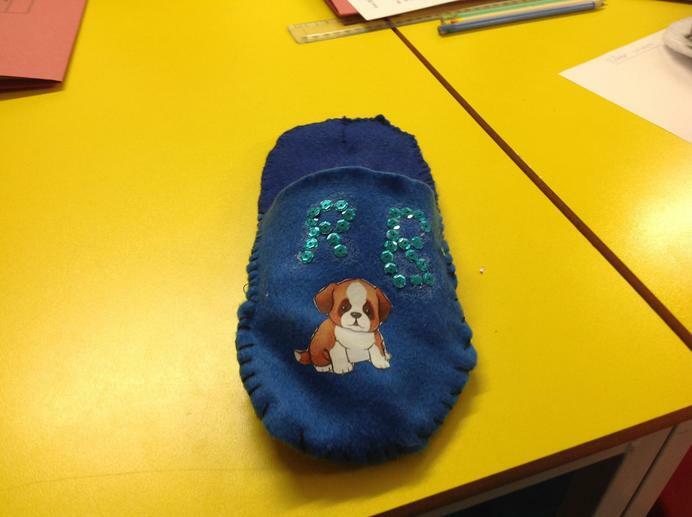 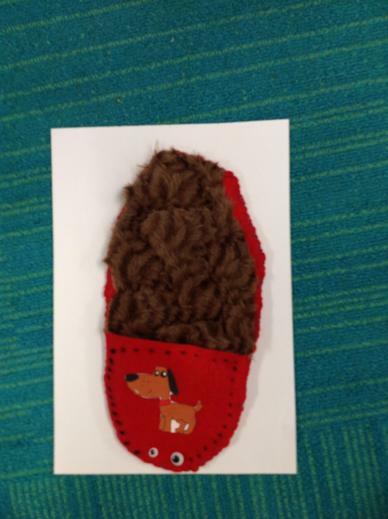 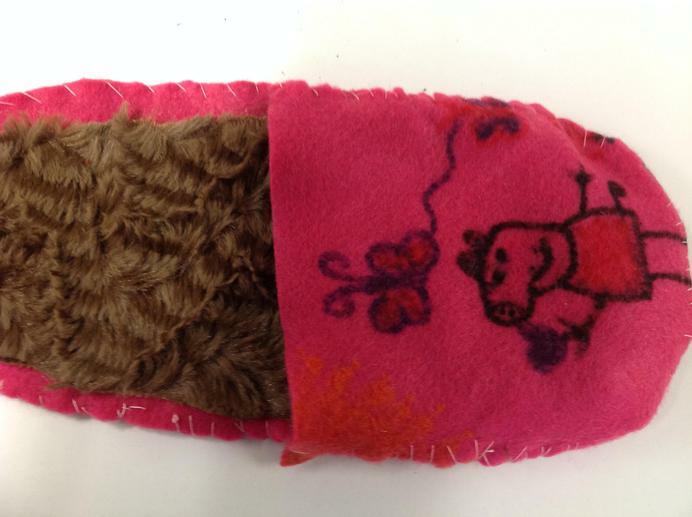 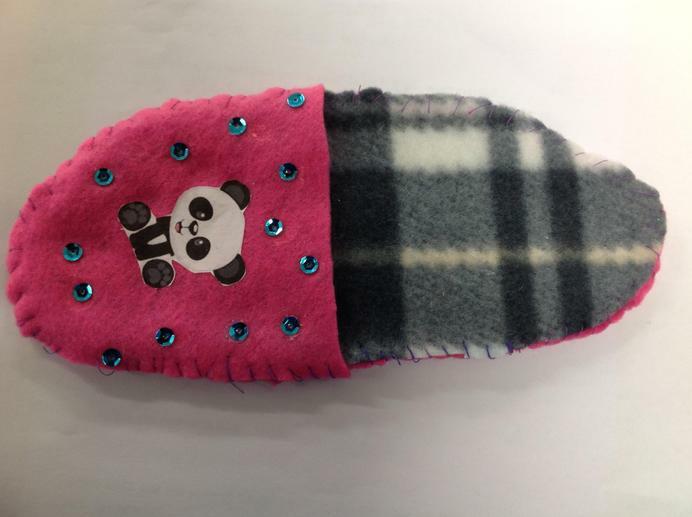 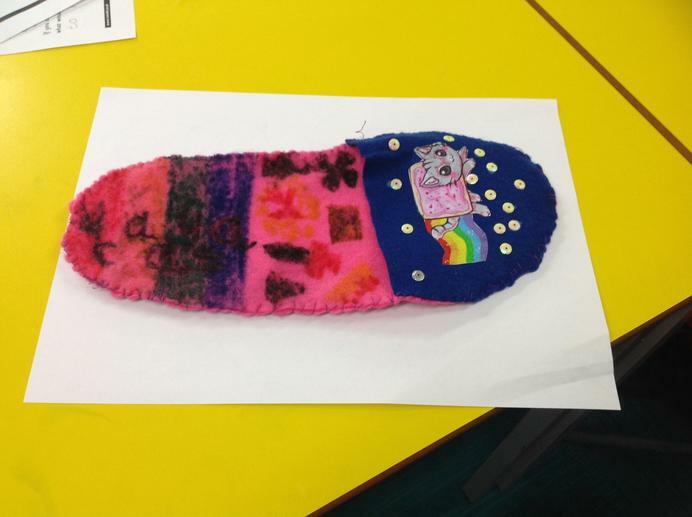 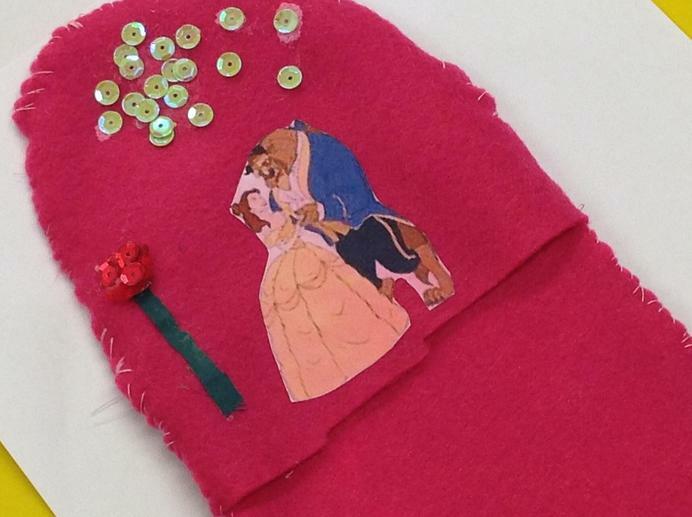 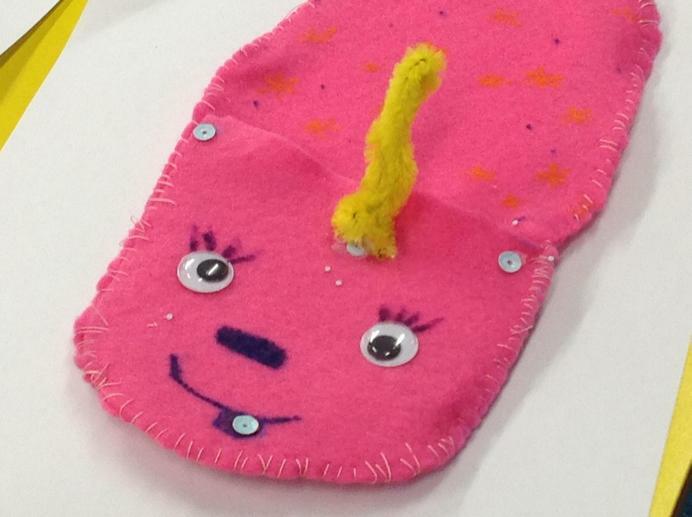 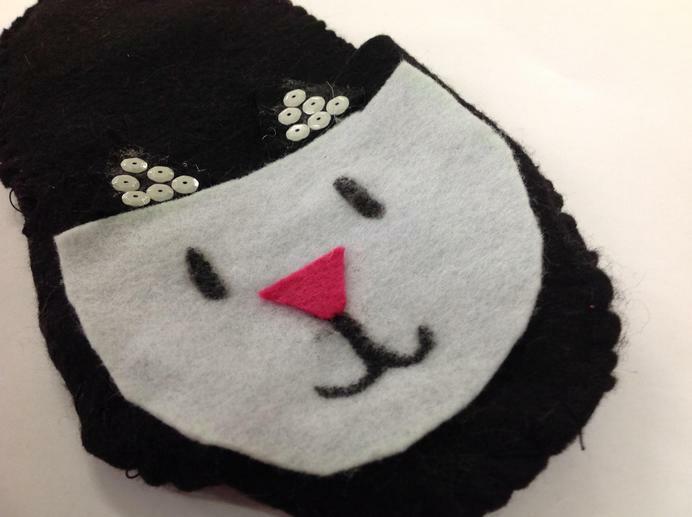 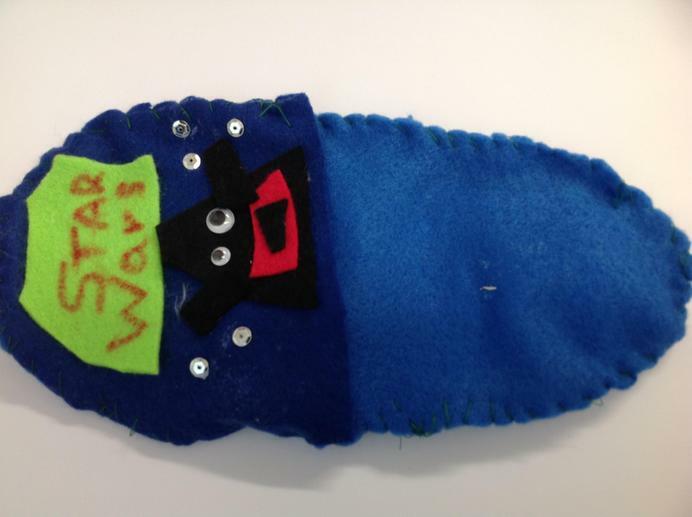 This week the Wolves finished their 'Design a Slipper' project with Mrs. Fielder. 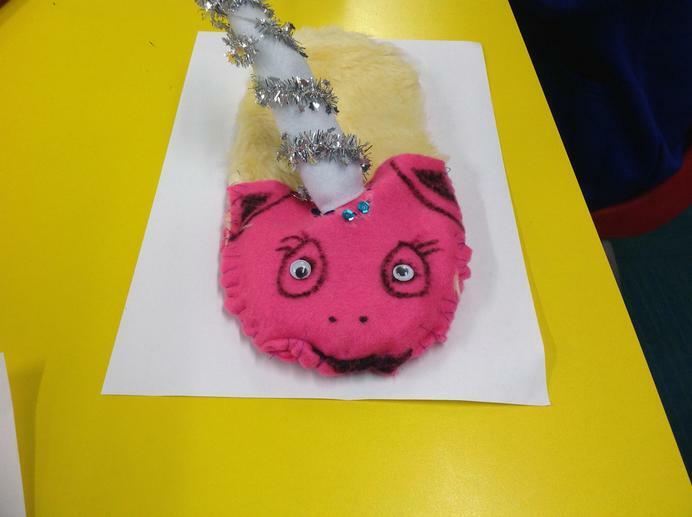 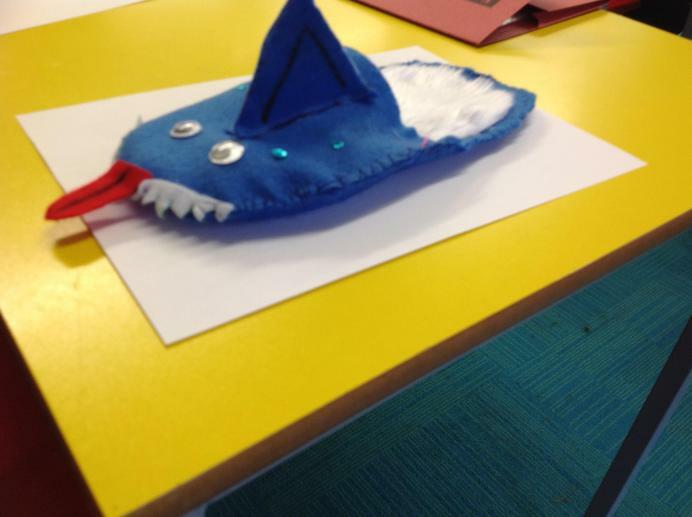 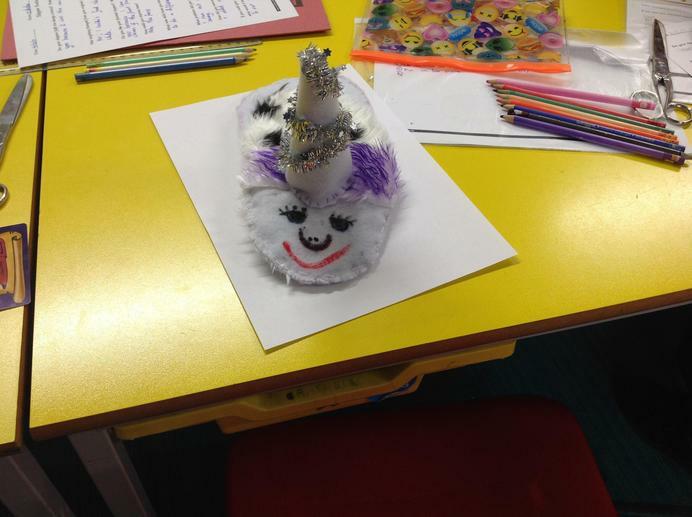 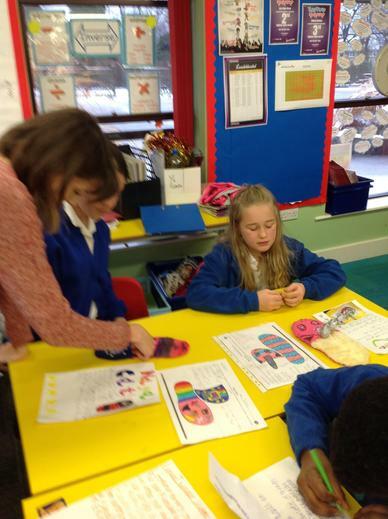 After spending time carrying out market research; designing and making the slipper; and producing promotional material, it was time to show their work to the public (Elephant class and Miss O'Neill). 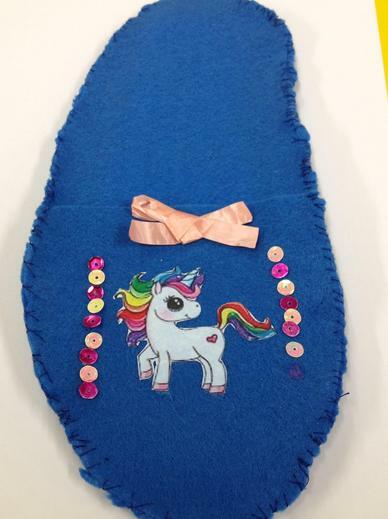 The feedback was positive and the Wolves have finished the project with lots of new skills - so their no excuses when scouts and guides badges need sewing on or knees in trousers need sewing up. 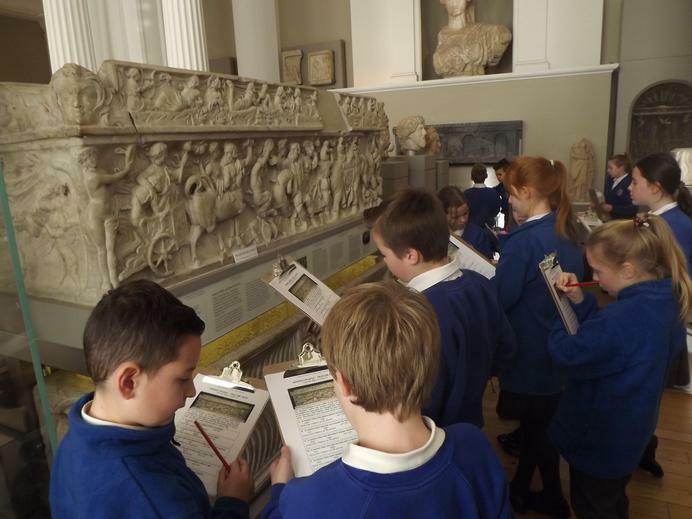 As part of our history unit on the Ancient Greeks, the Wolves (and their Penguin friends) visited the Fitzwilliam Museum in Cambridge. 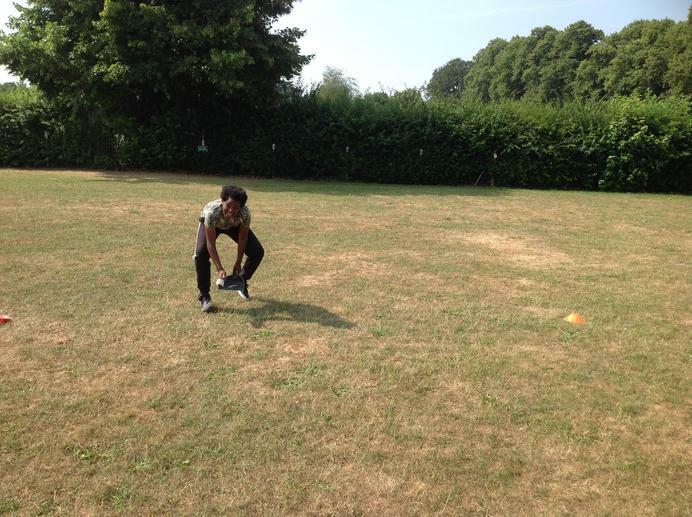 The day consisted of two sessions. 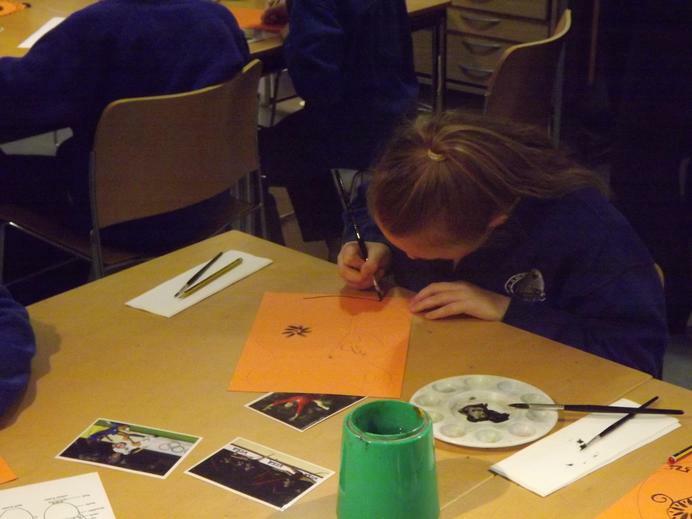 The first part of the day was spent in the art studio. 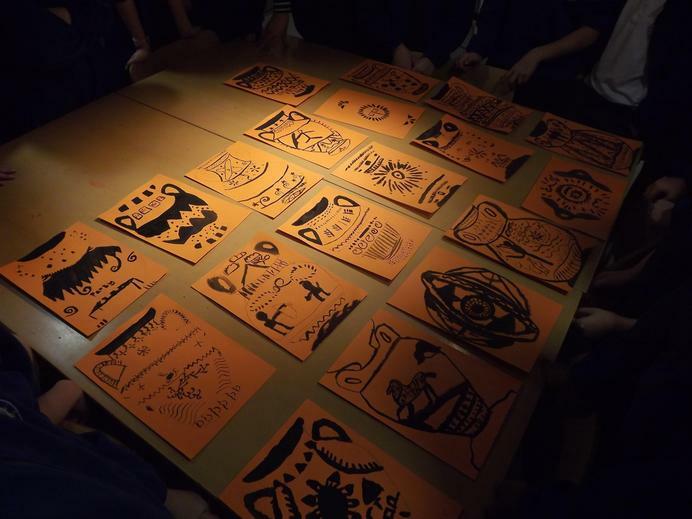 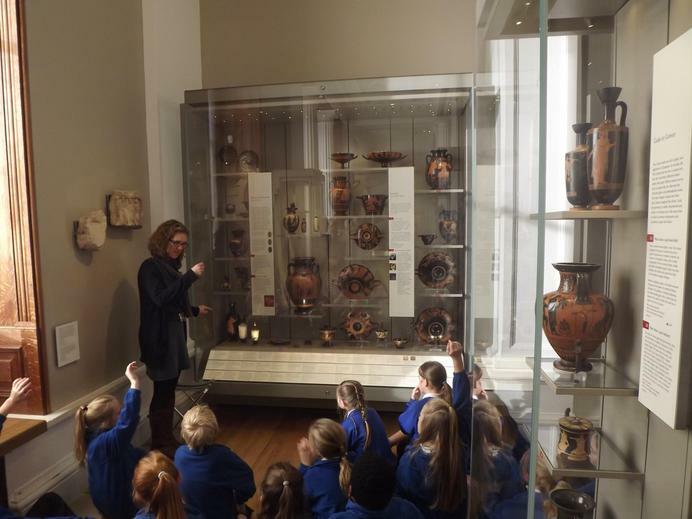 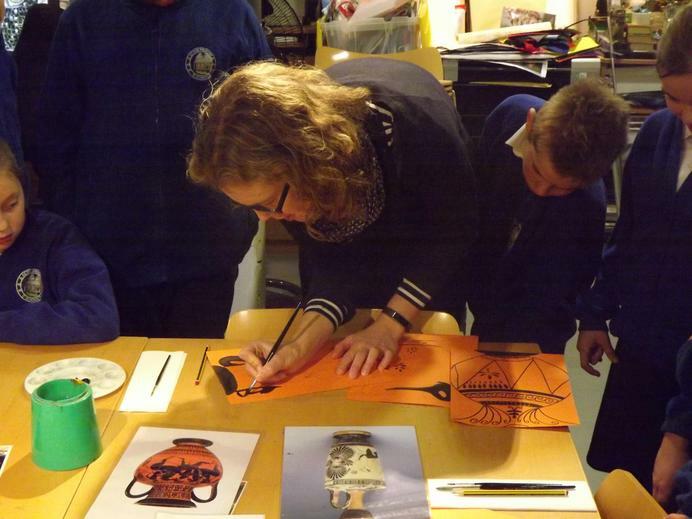 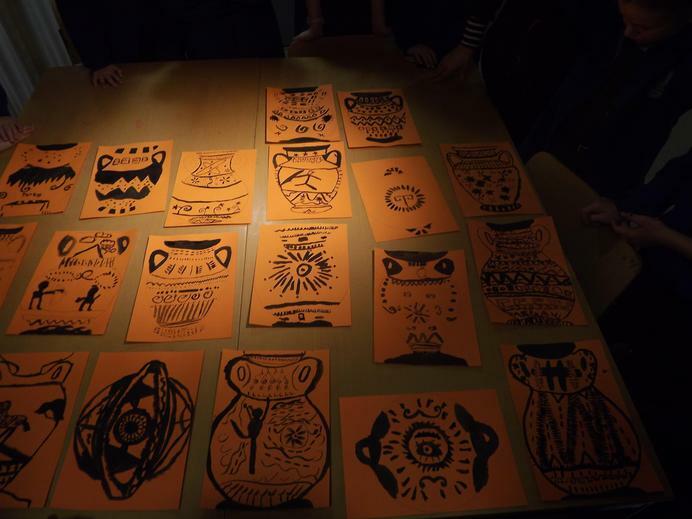 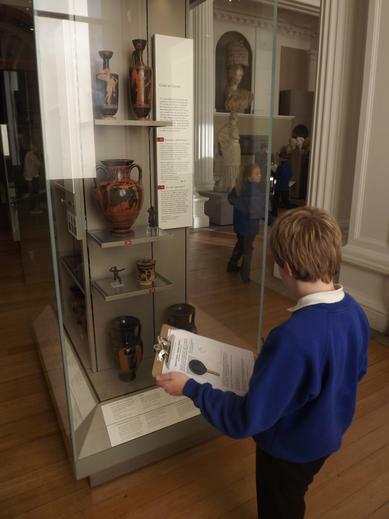 Here we learnt about the different types and uses of pots and pottery during the ancient Greek period. 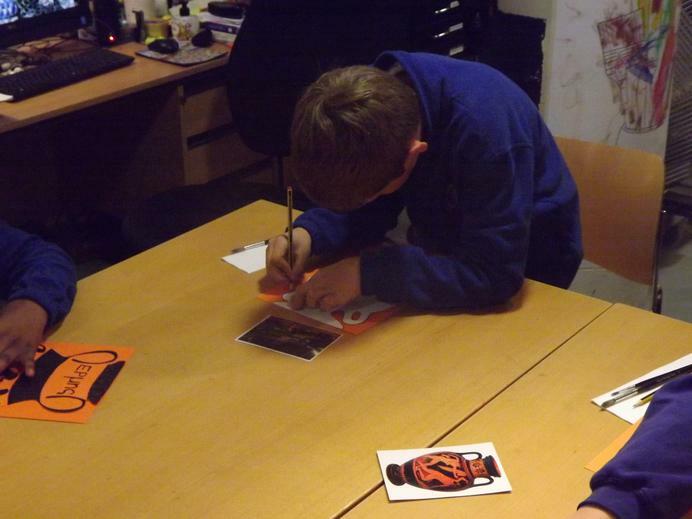 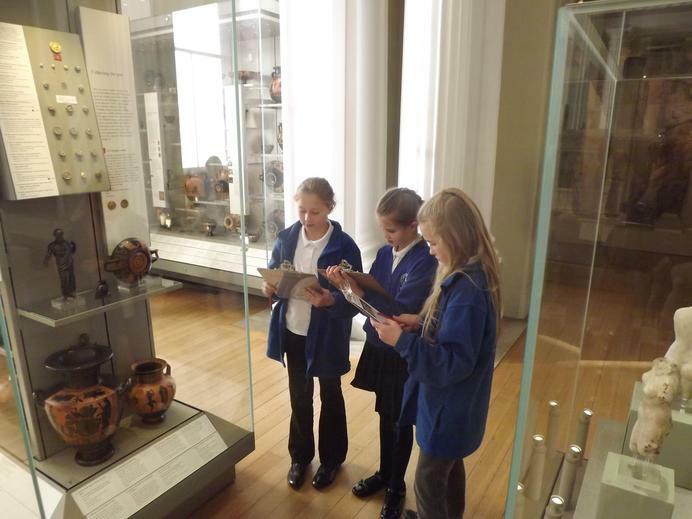 We looked at photos and replica pots before designing our own pots. 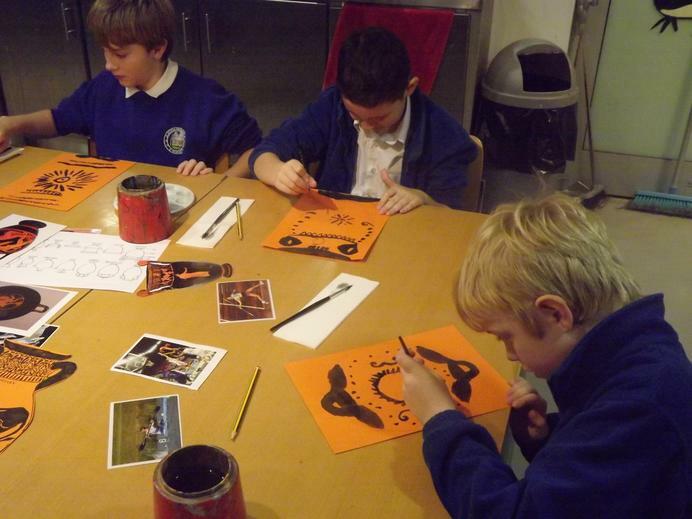 Some of the Wolves incorporated sporting themes into their designs while others used repeated patterns – incorporating the different brush strokes. 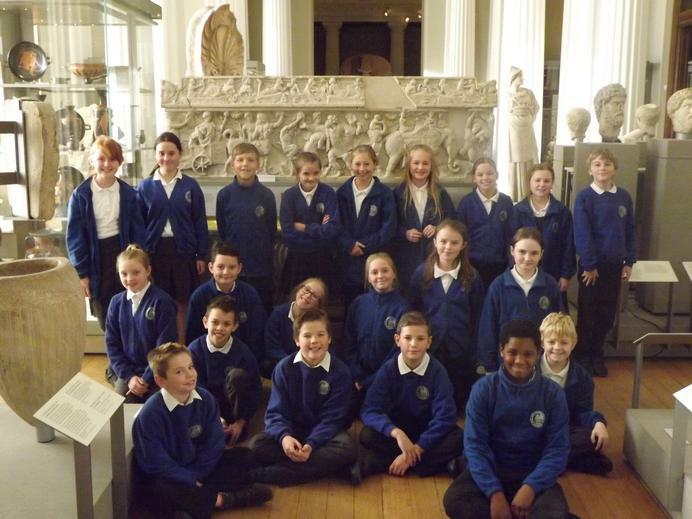 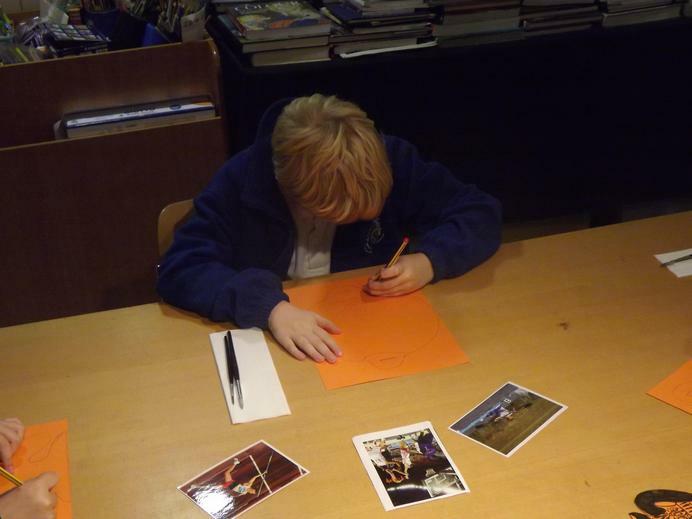 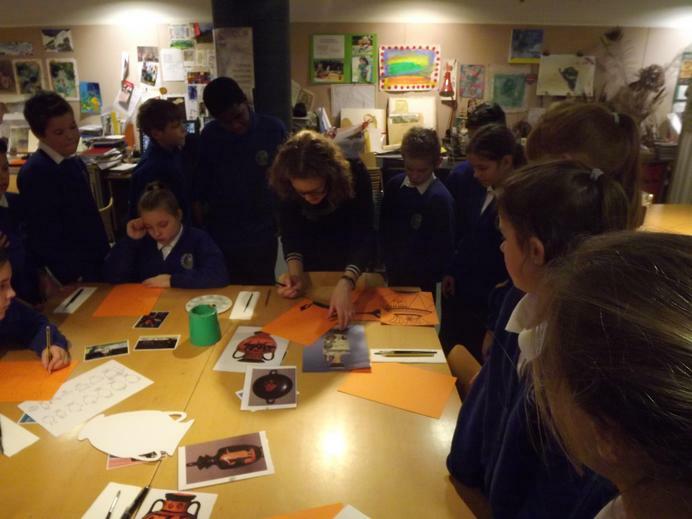 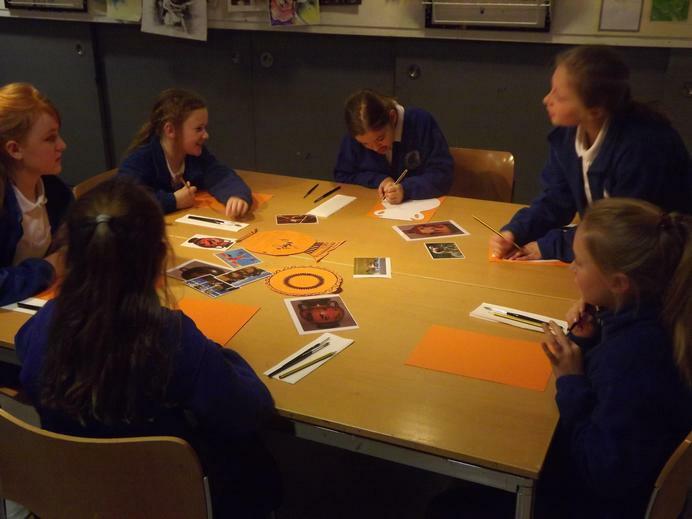 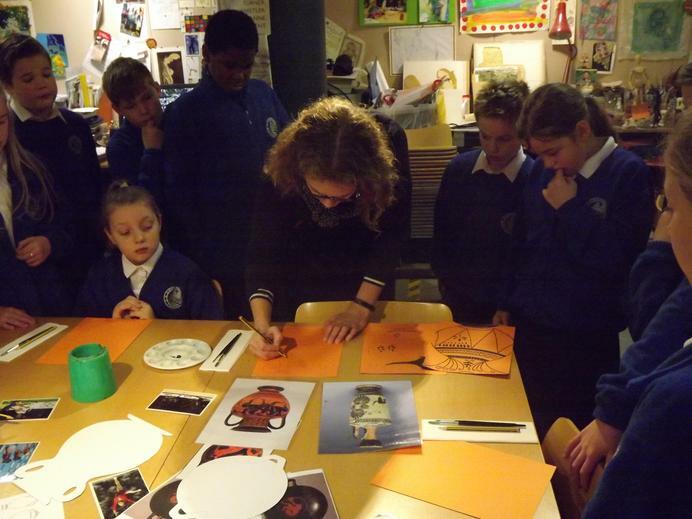 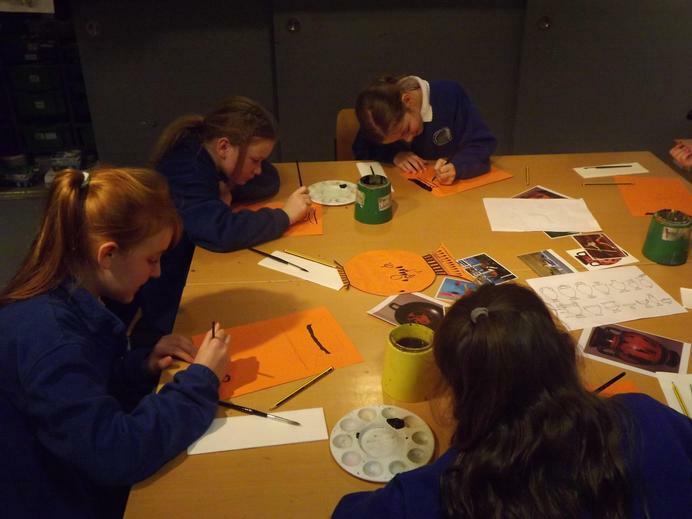 The staff were so impressed that they have asked permission for some of our work to be uploaded on to the Fitzwilliam Museum webpage. 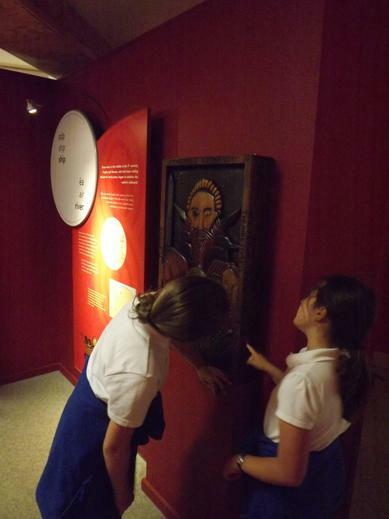 After lunch, we headed up into the galleries. 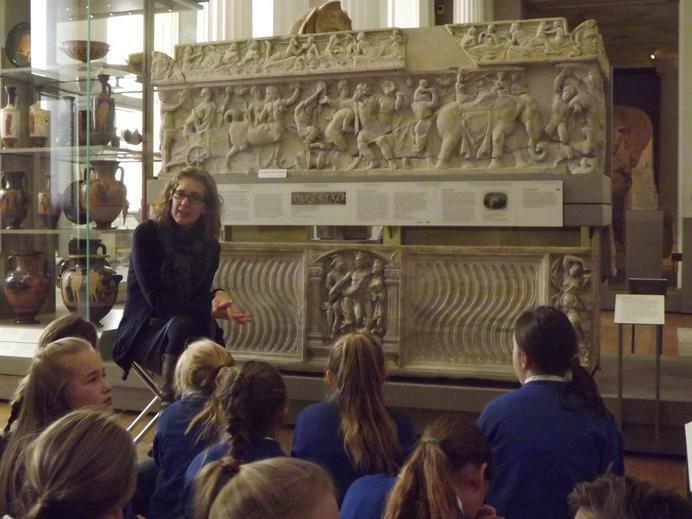 When we were there, Kate, our guide, told us a Greek myth to explain the seasons; we learnt to be historical detectives while looking at a beautiful sarcophagus; and learnt more about pottery – the many different people who played a part in the creation of the beautiful pots and the stories that they tell. 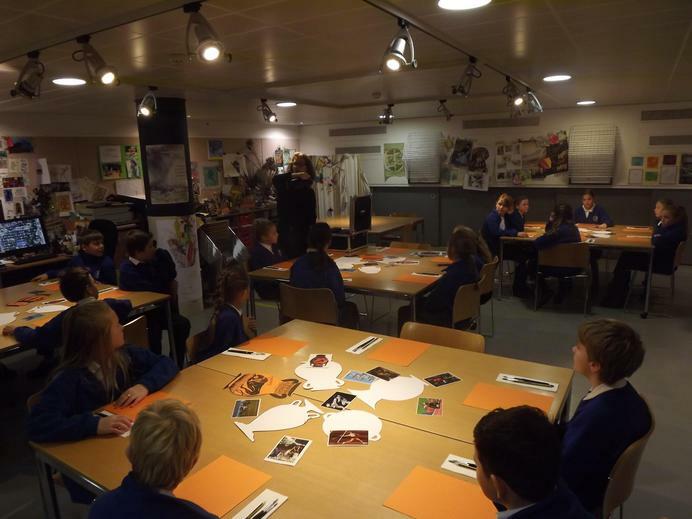 It was a wonderful day, full of learning. 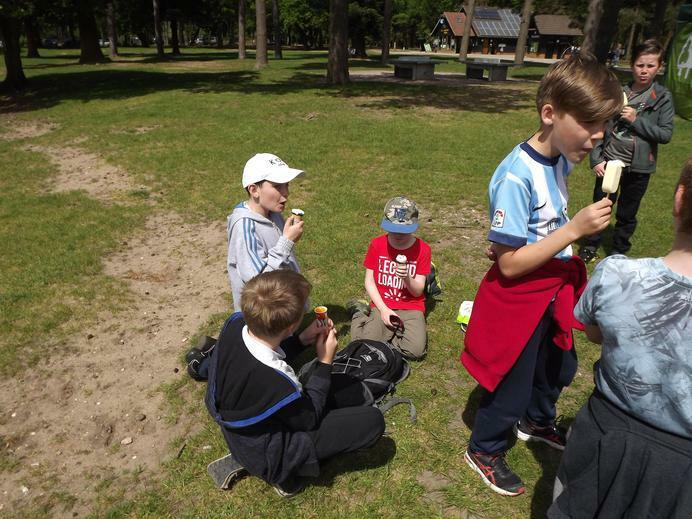 Hopefully some recounts of the day will appear on the webpage shortly. 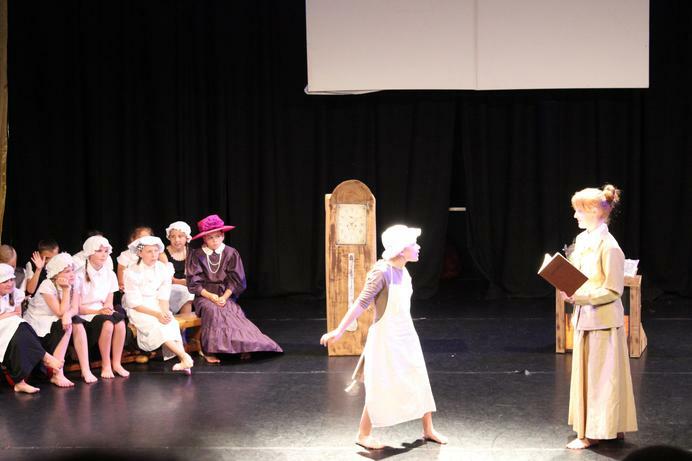 Today, we were visited by a group of Year 13 BTEC Drama students from OSA. 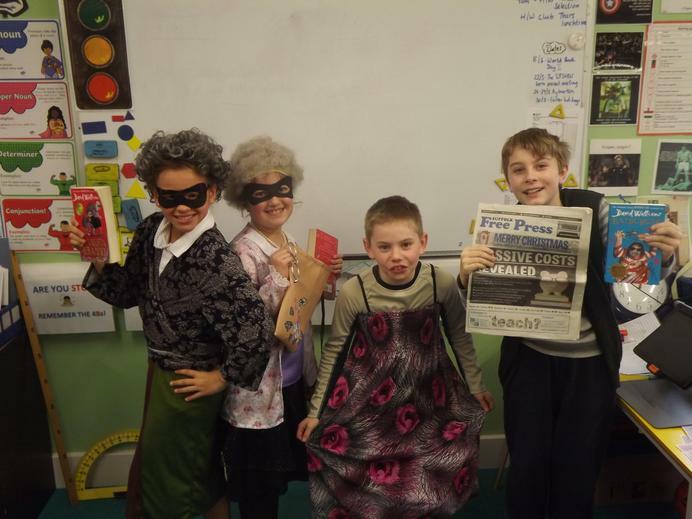 We took part in an interactive community theatre performance. 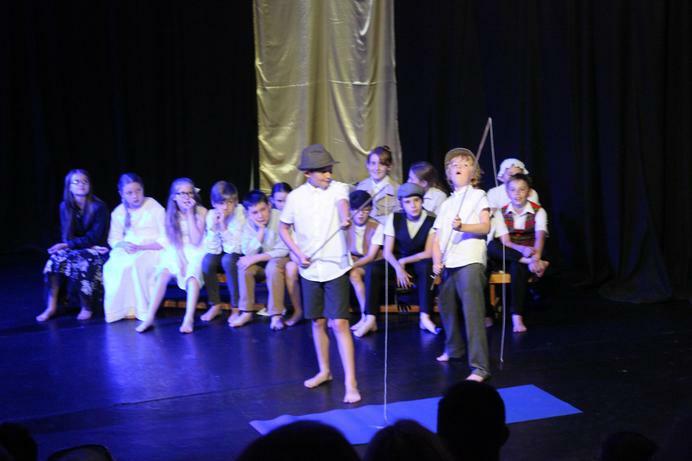 During the performance, which highlighted different situations which children find themselves when using social media, the Wolves had to act as the actors' brains and help them tackle the situation; thinking about what the actors should say and how they should deal with the situation. 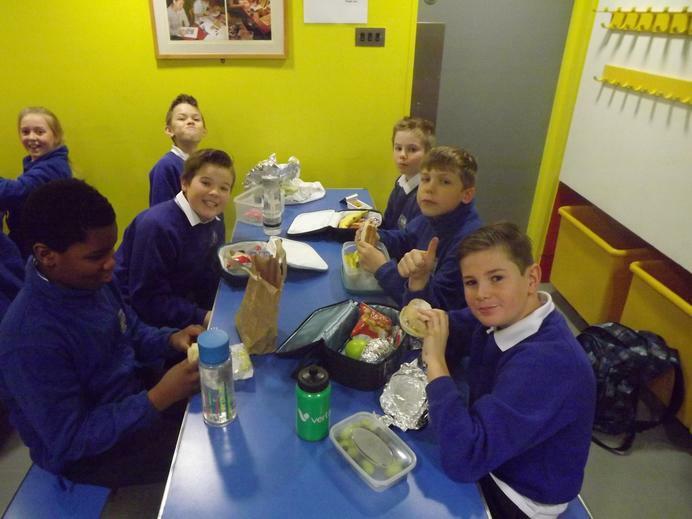 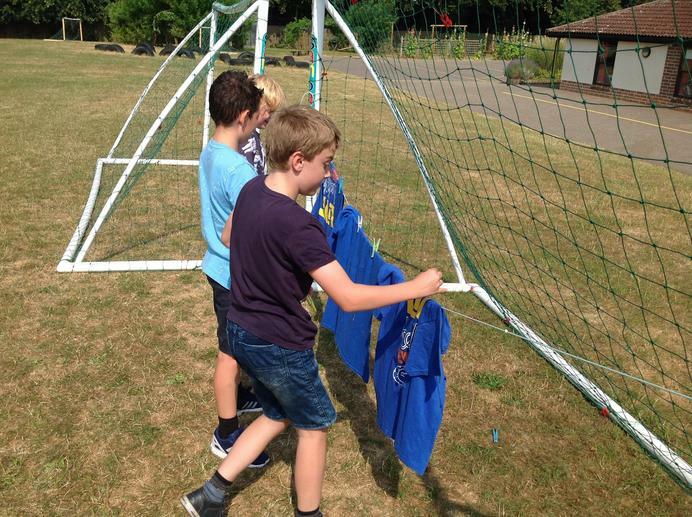 As part of the British Legion's Poppy Appeal, the Wolves have been responsible for raising money for the appeal by selling poppies, bracelets and 'snap-bands' during playtimes. 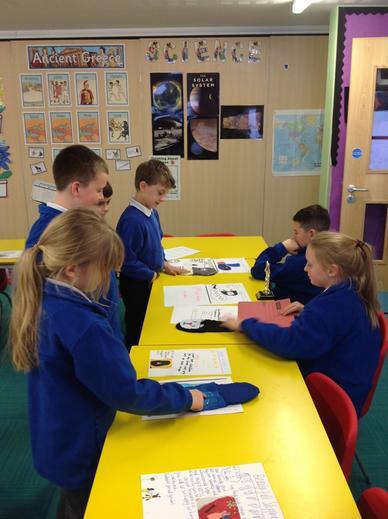 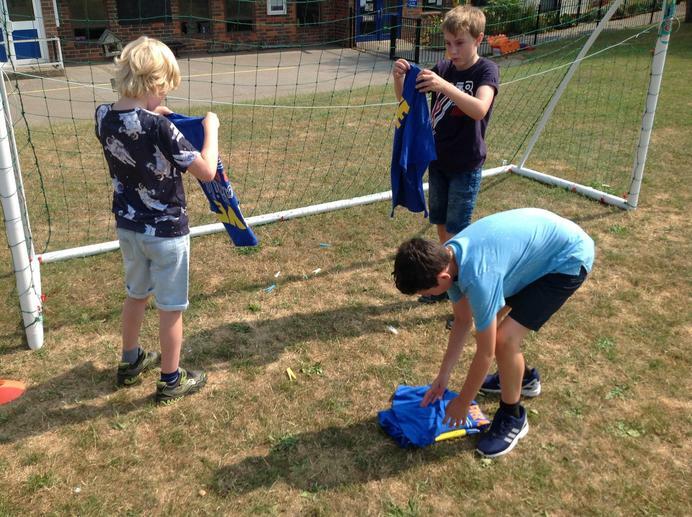 The Wolves volunteered to give up their free time to organise and sell the items. 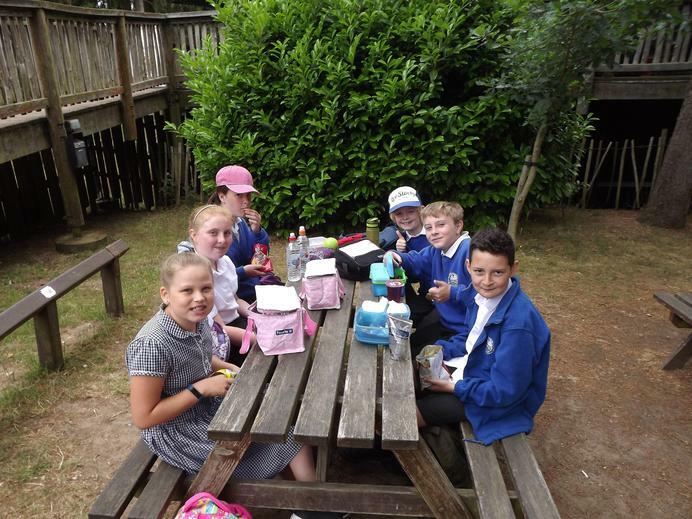 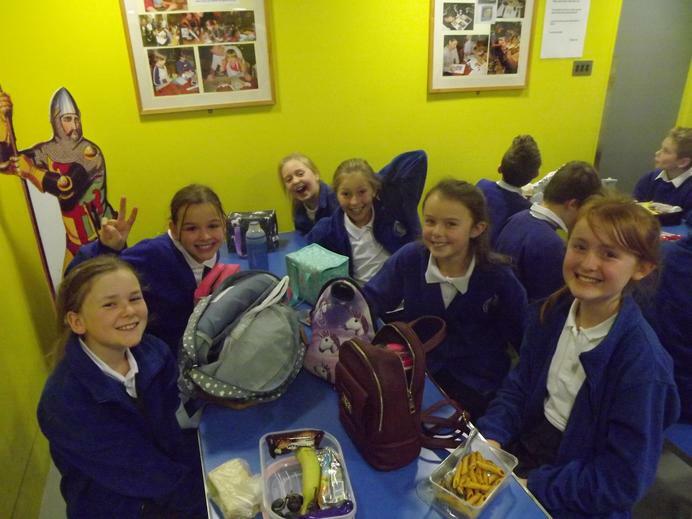 It was great to see the care and kindness shown to their friends, especially the younger children. 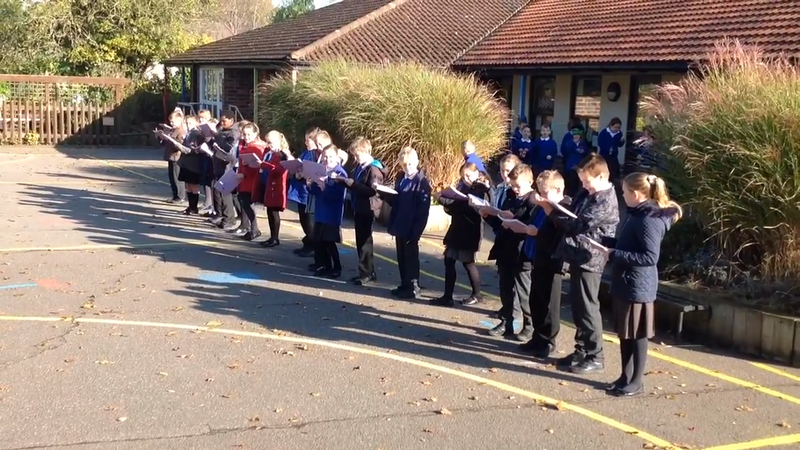 The Wolf Pack also led for the reading and singing in our Remembrance Assembly when we were joined by two paratroopers from the Colchester barracks. 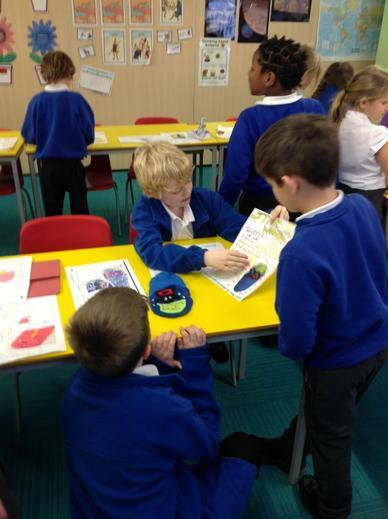 We have been using Story Stepping to plan our next independent write. 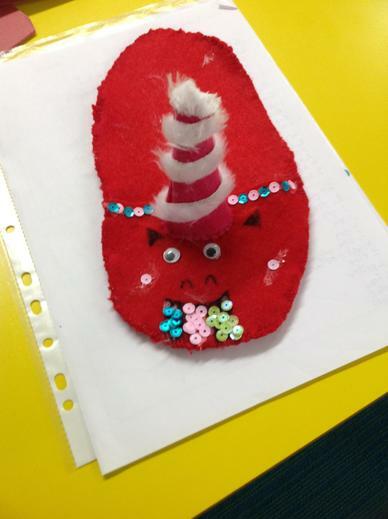 As part of our unit looking at the book 'The Eighteenth Emergency' by Betsy Byars, we will be writing a story about a child overcoming a problem with a bully. 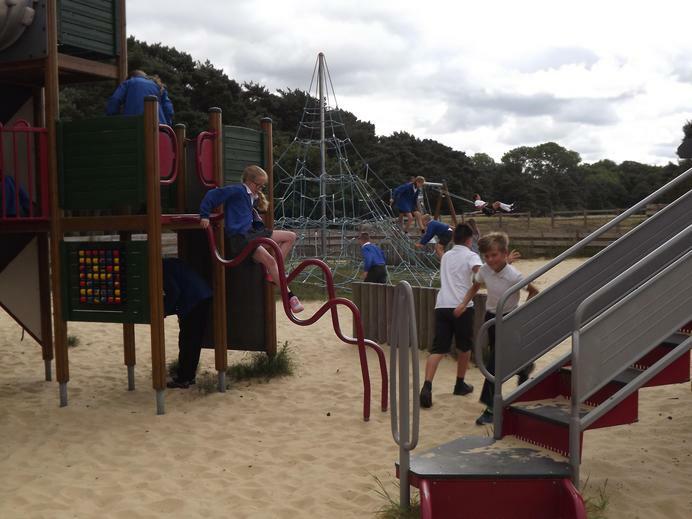 For each step, we had to add an adverbial phrase, a preposition, an exciting verb and an expanded noun phrase. 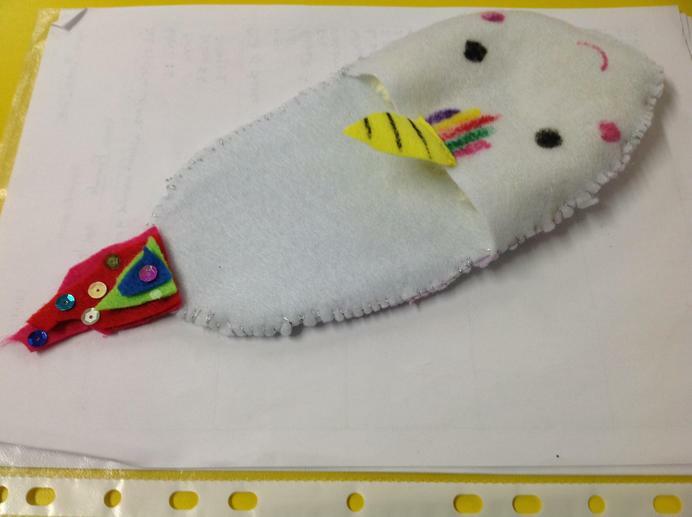 At the end, we put it altogether (watch the noisy video) and we will be using the plans to write our stories tomorrow. 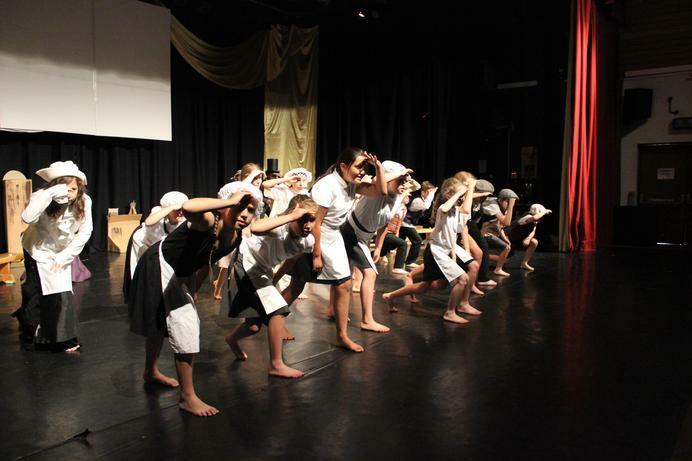 Today we worked with Westend in Schools to create a Divali themed Bollywood dance routine. 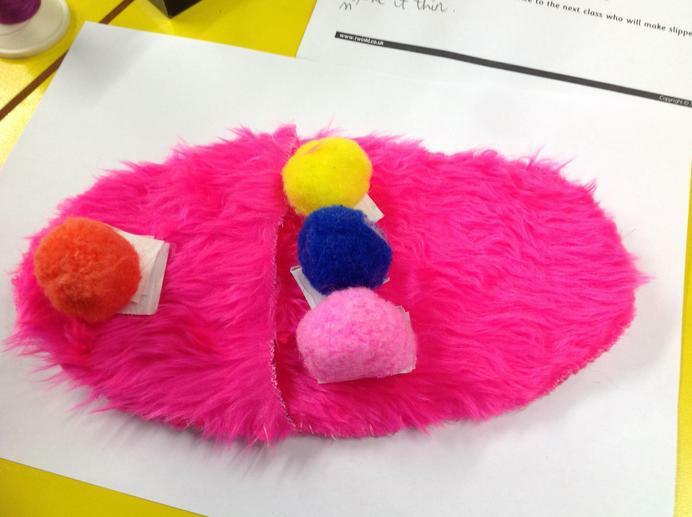 After working through each segment, we put it altogether. 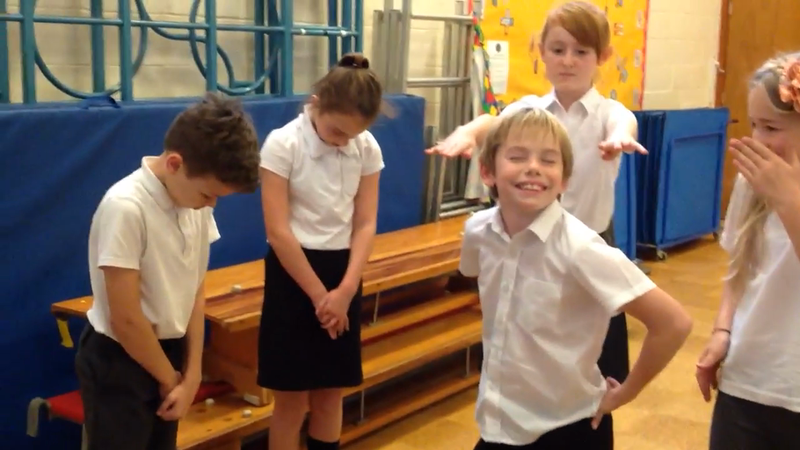 We hope you enjoy watching our moves! 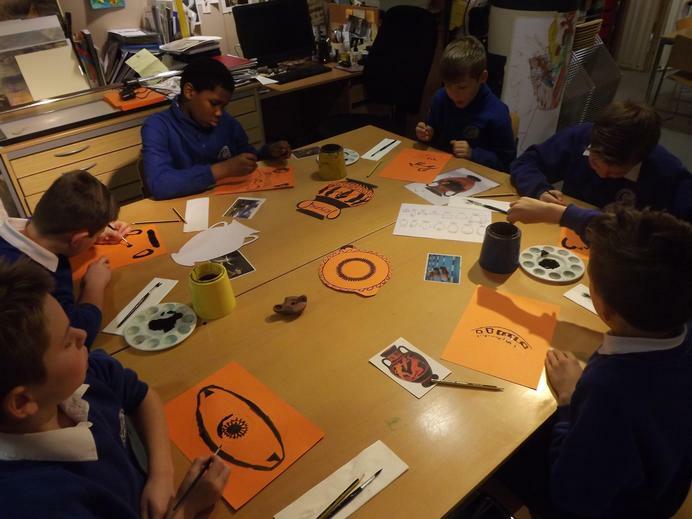 We have now finished our artwork influenced by Picasso. 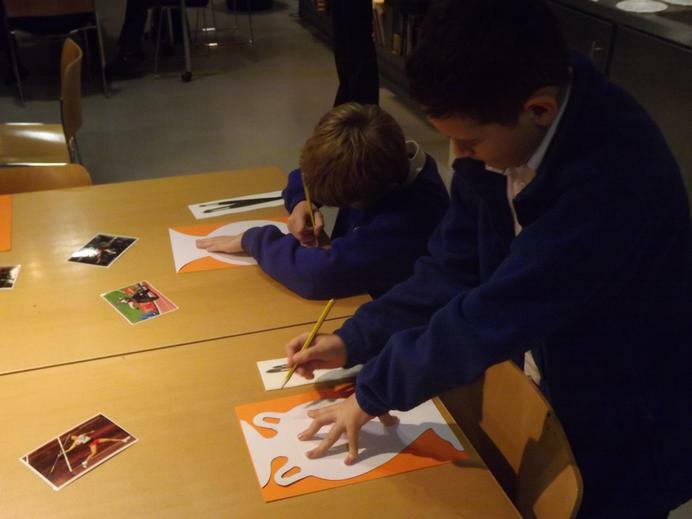 We began by studying a selection of Picasso's Cubist work focusing on his guitar collages. 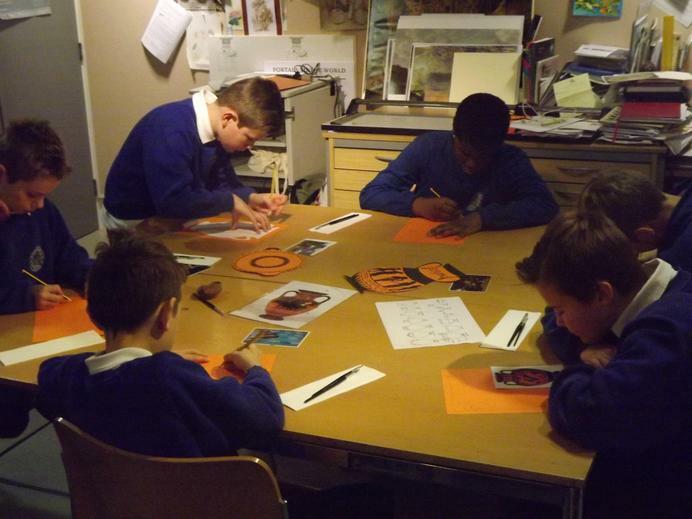 After sketching guitars, we aimed to make the form of the guitar recognisable even though its proportions were distorted and its general shape disjointed. 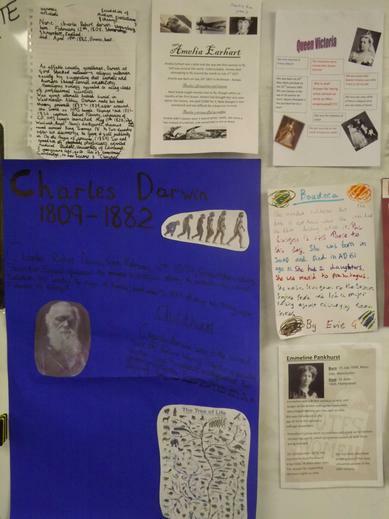 We are really proud of our work and it looks great on the walls outside our classroom. 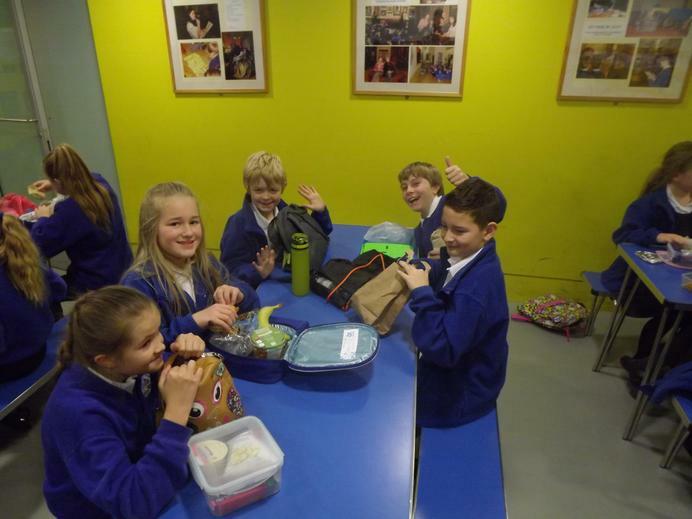 Thank you to everyone who donated cakes to our sale today (especially George in Year 2 despite not being a Wolf!). 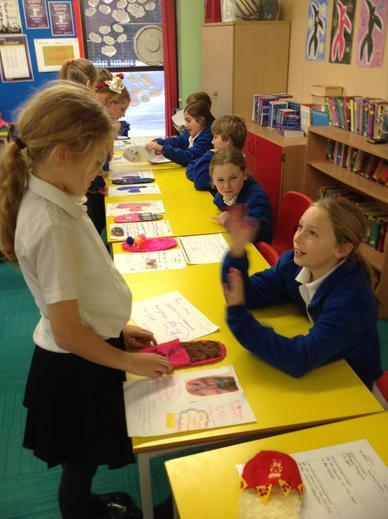 Everything was sold and we raised £65 for class funds (a post Week-that-shall-not-be-named treat). 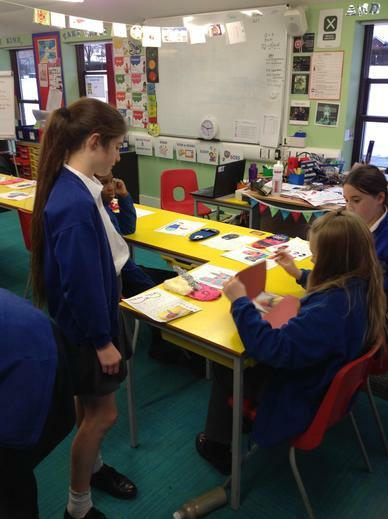 Thank you to FOAS for organising and manning the stall for us too. 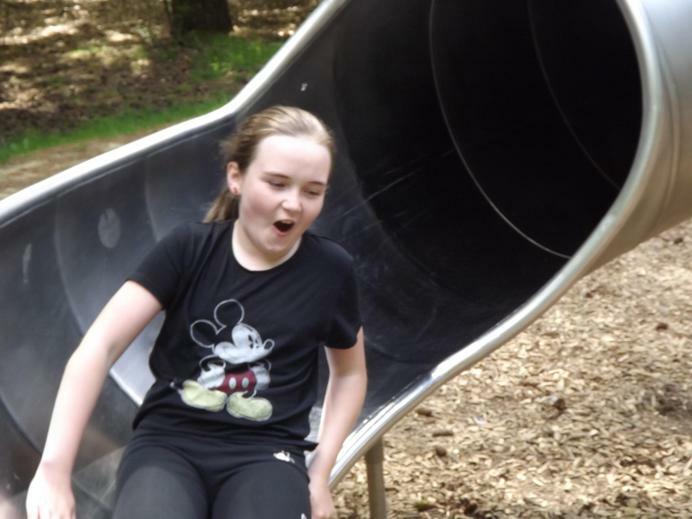 To apply online for your child's high school place or to find out more about the local high schools please use the links below. 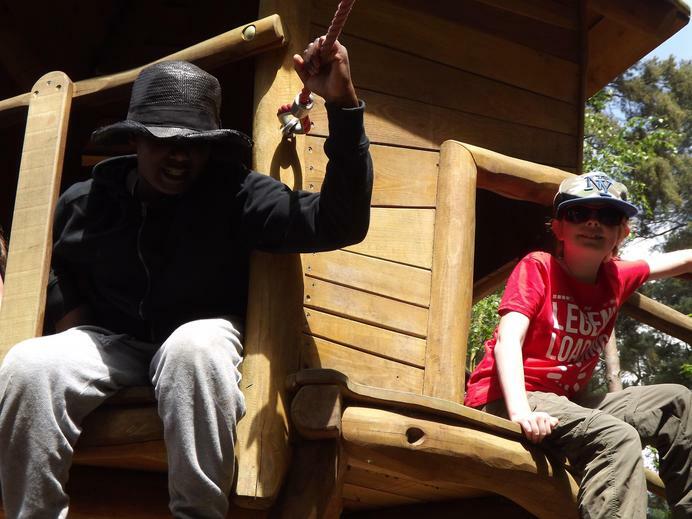 Remember that all applications must be made by 31st October 2017. 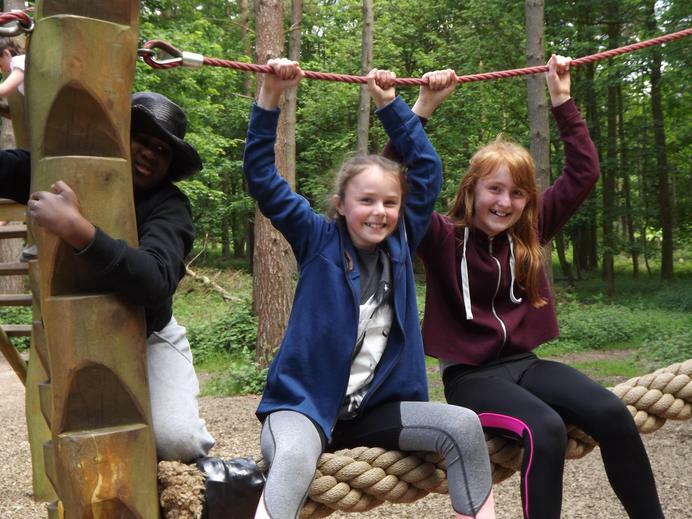 Suffolk County Council Apply for your child's place via this link from 12th September to 31st October 2017. 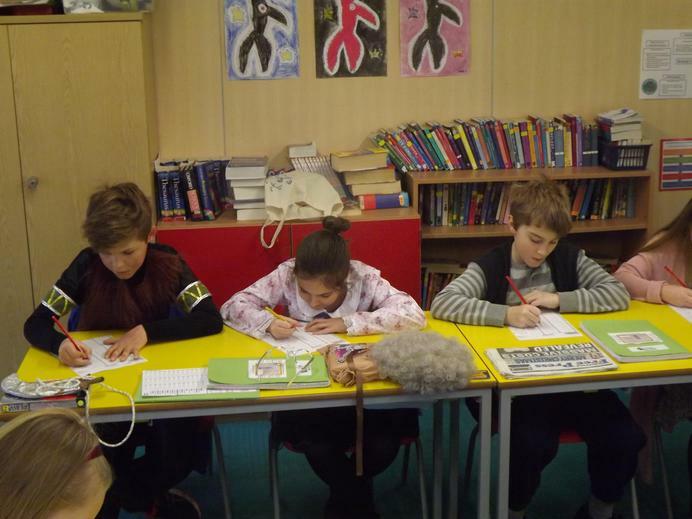 As part of our unit on Rudyard Kipling's Jungle Book and Just So Stories, it would be useful if the children were familiar with the stories of 'Rikki-Tikki-Tavi' and 'Mowgli's Brothers'. 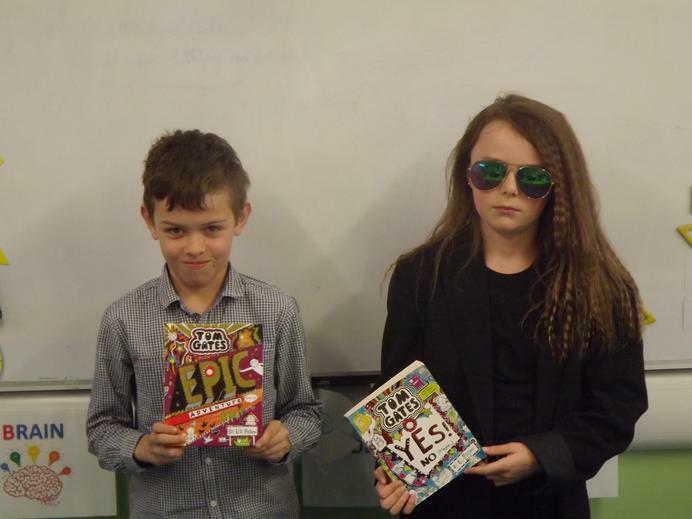 Times Table Rockstars Practise your tables and try and become a Rock God! 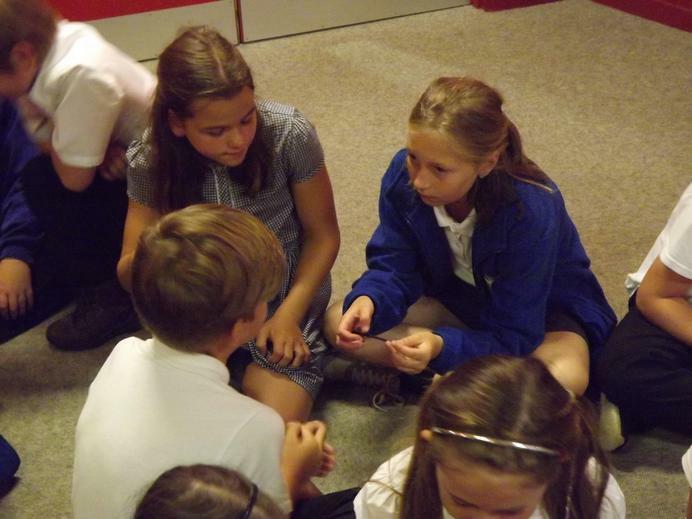 Watch the video to find out how to add, subtract, multiply and divide fractions. 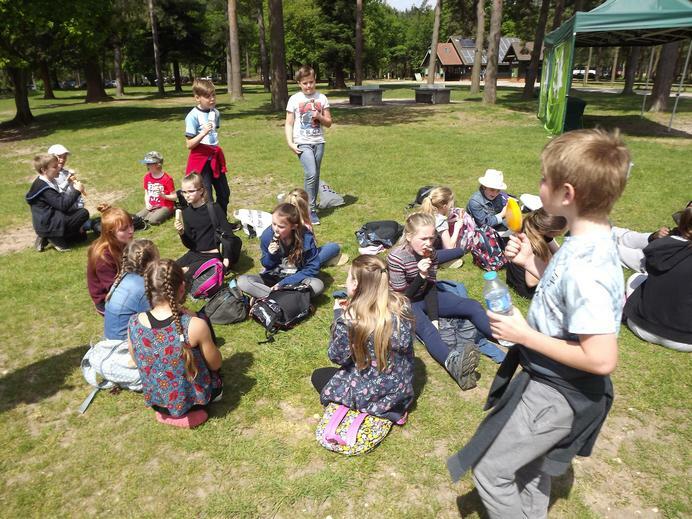 To find out what the Wolf pack got up to last year use the link below.